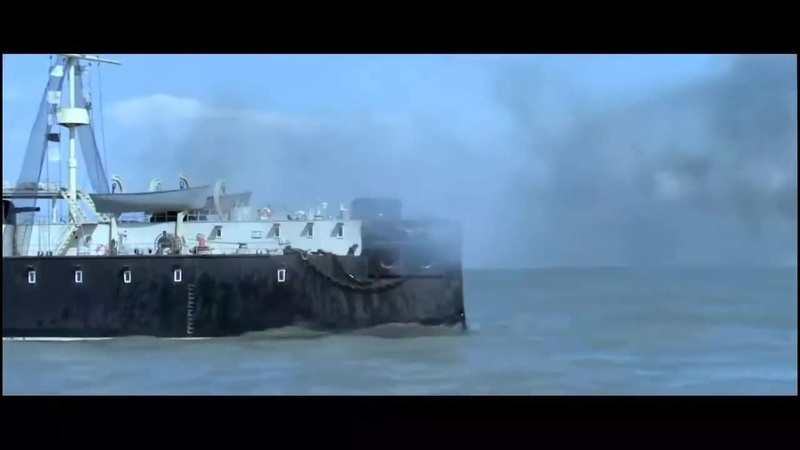 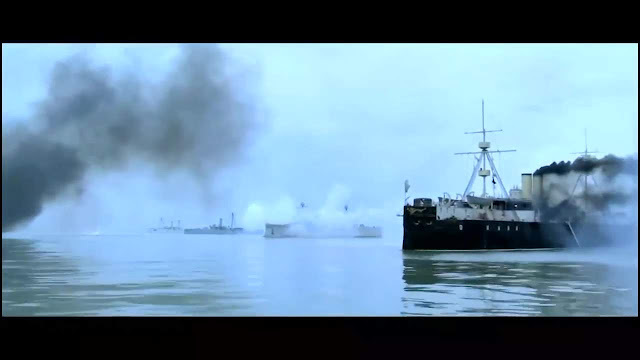 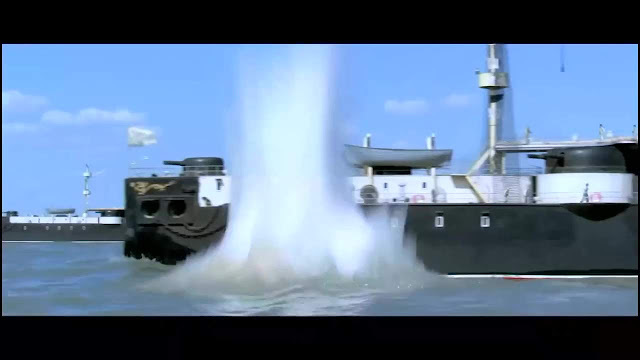 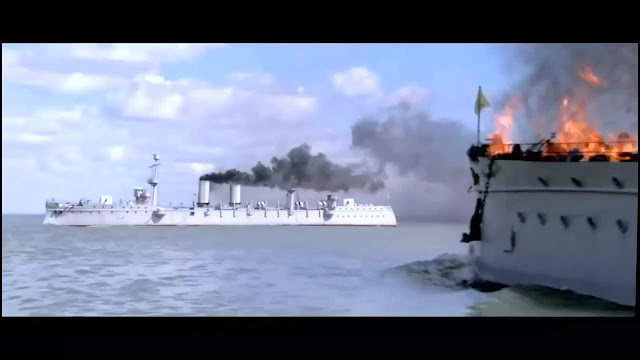 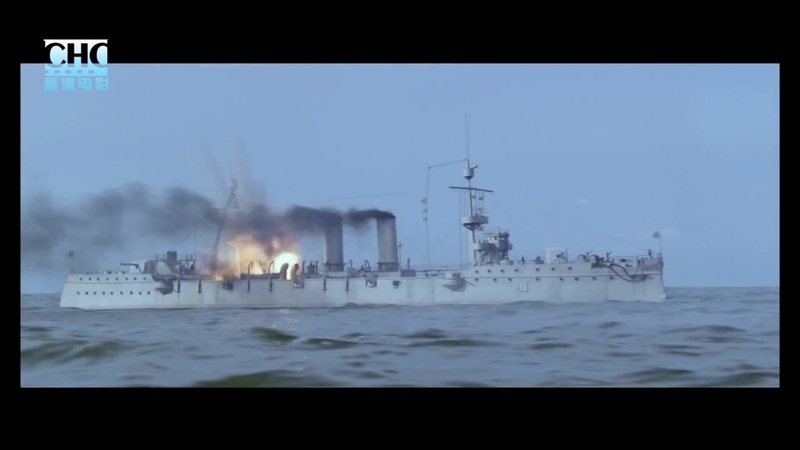 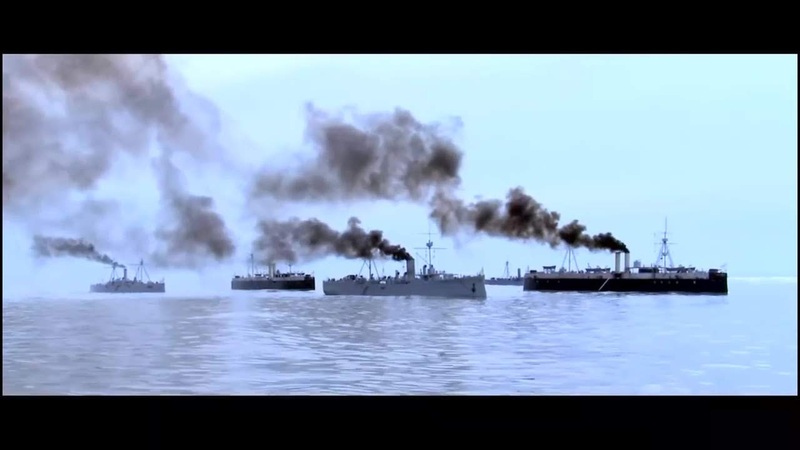 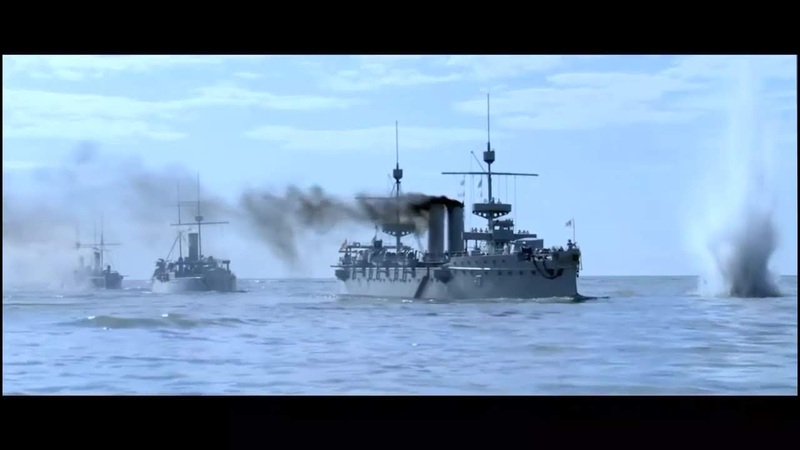 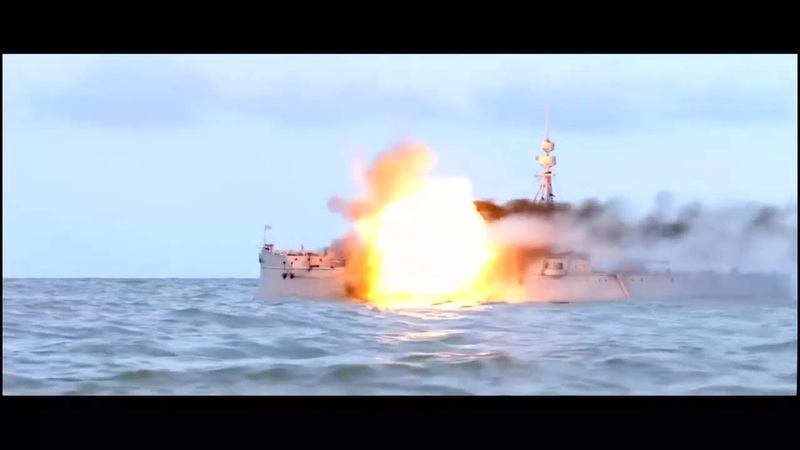 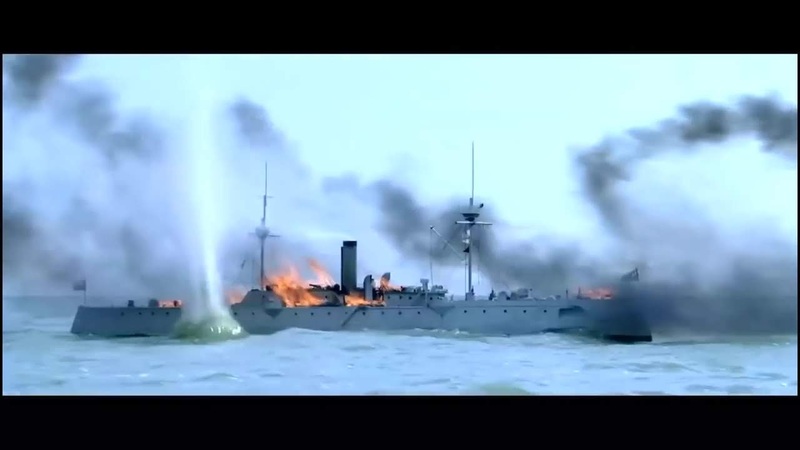 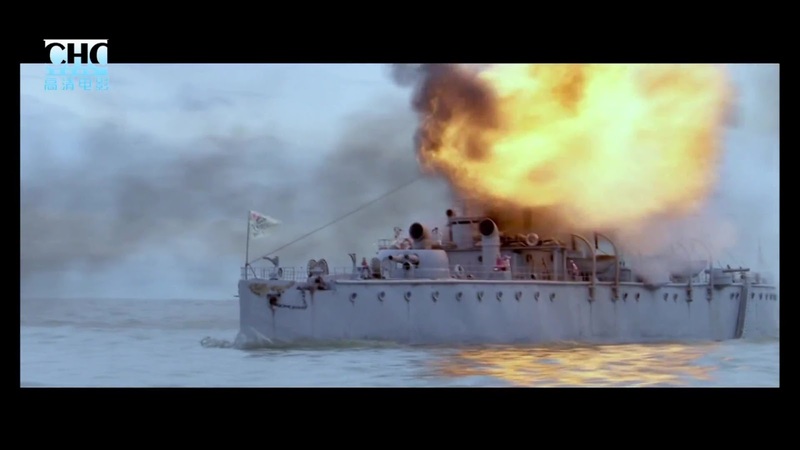 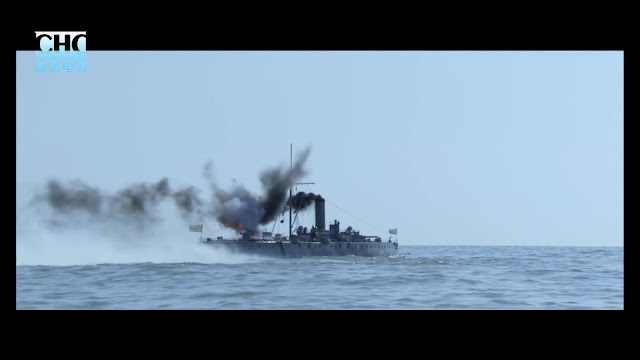 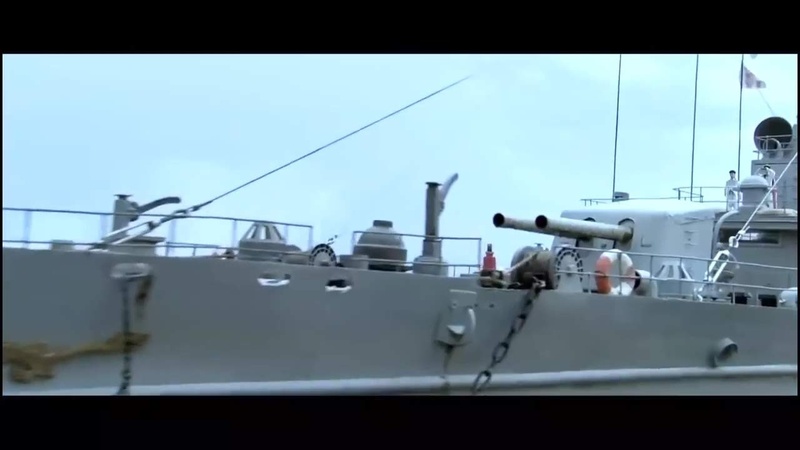 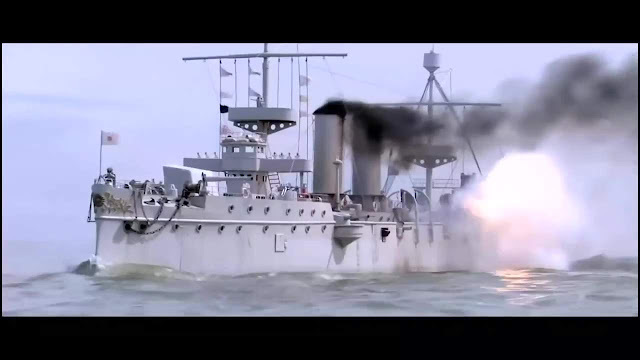 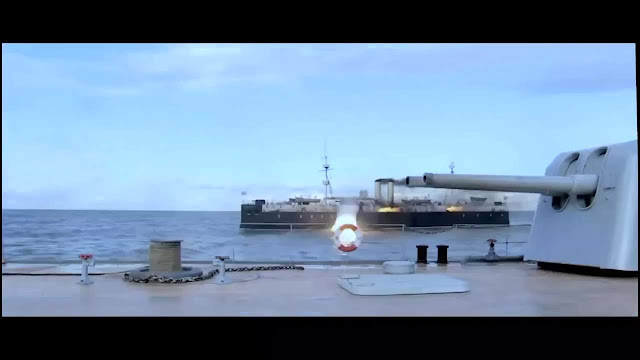 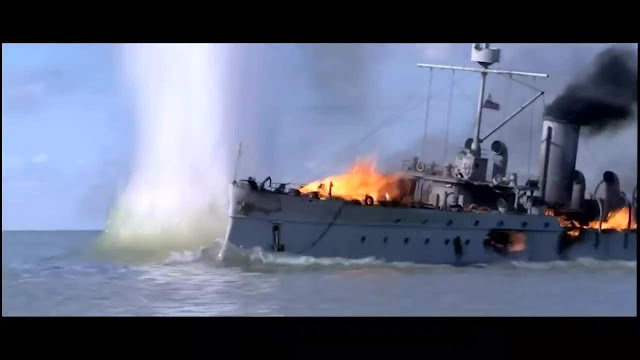 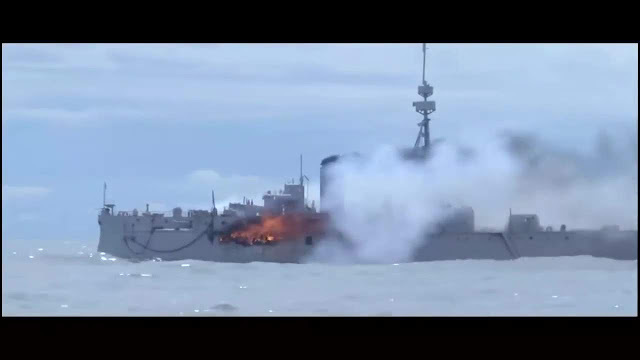 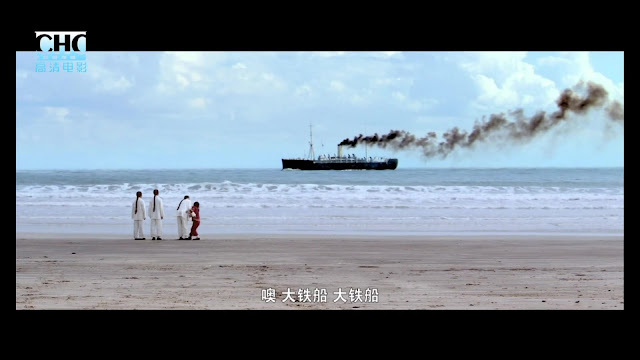 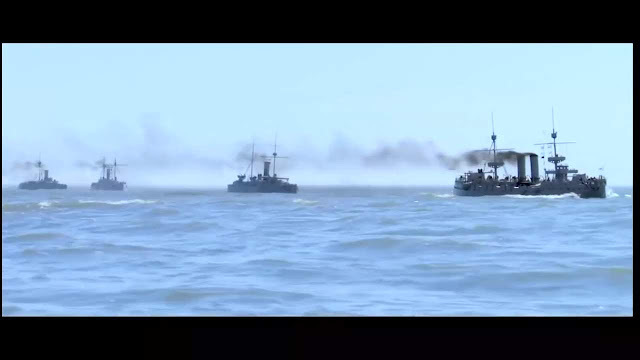 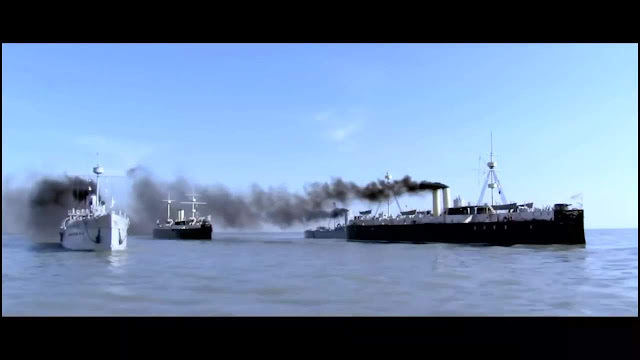 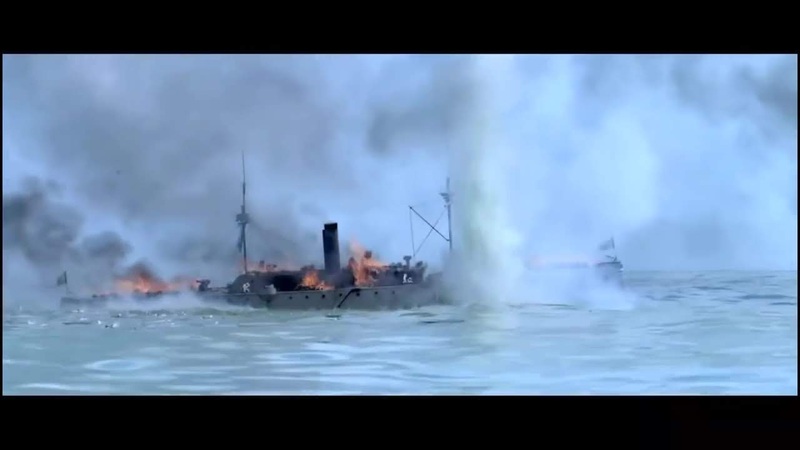 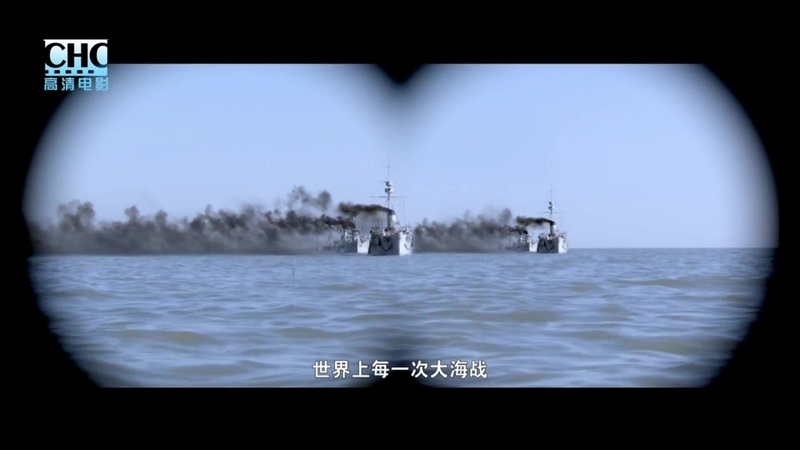 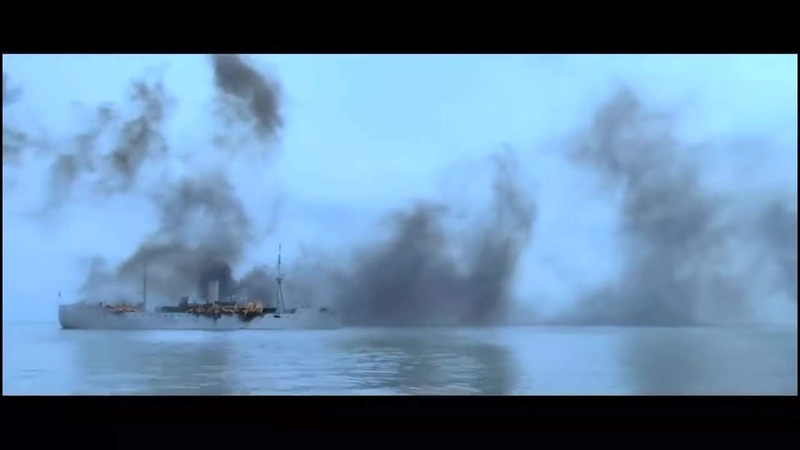 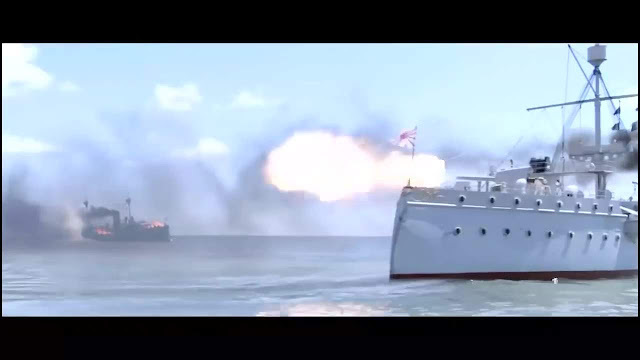 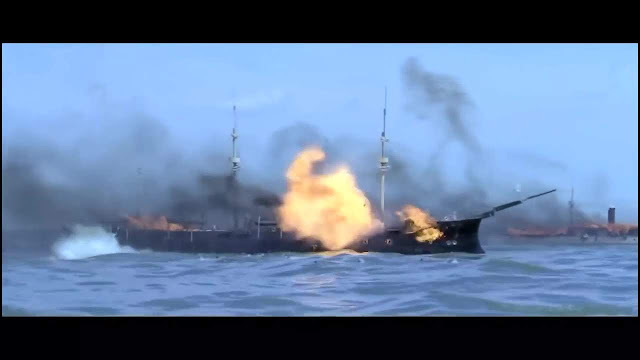 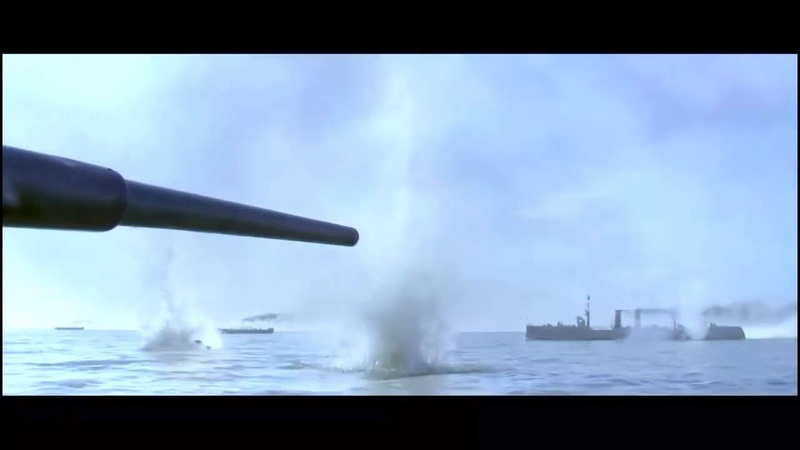 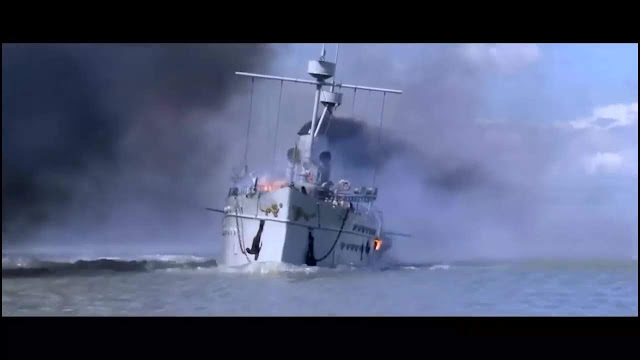 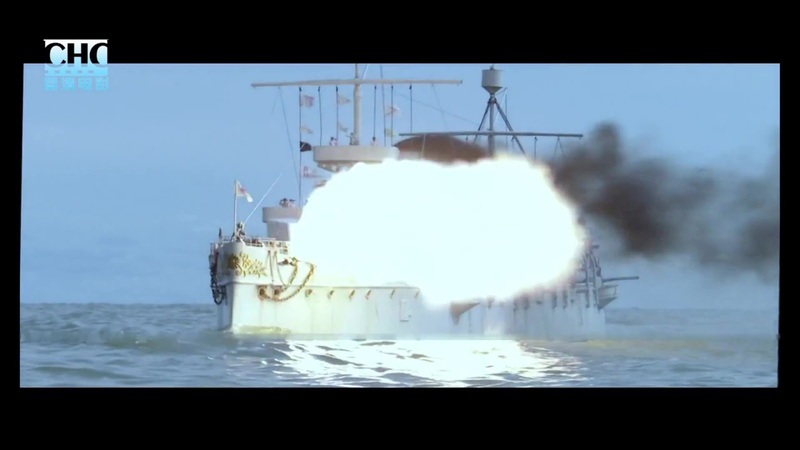 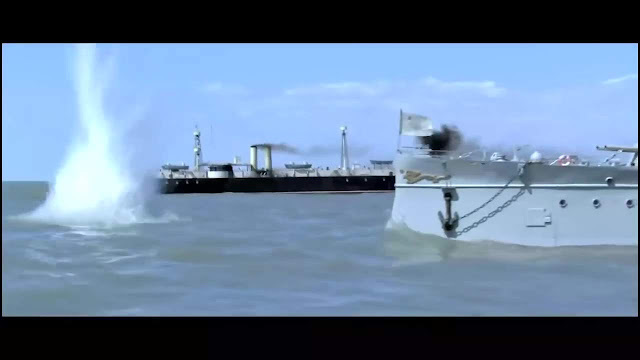 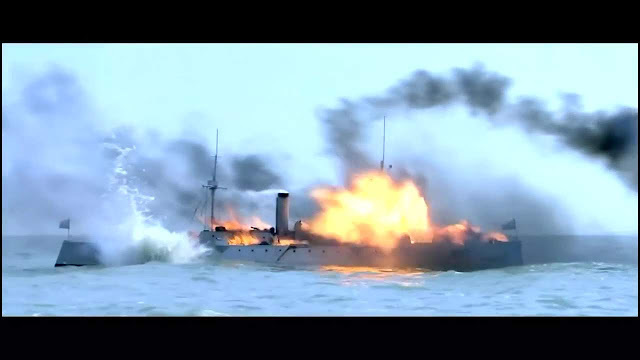 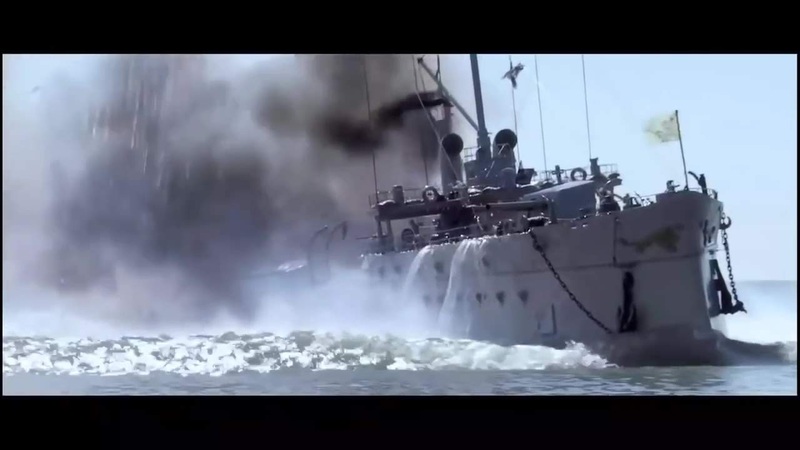 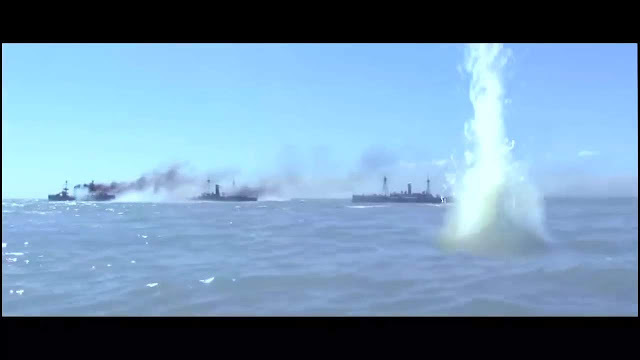 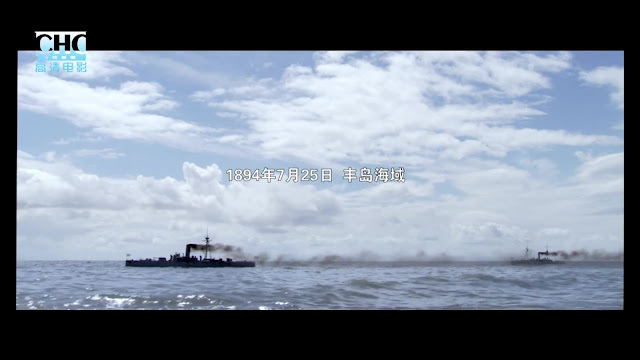 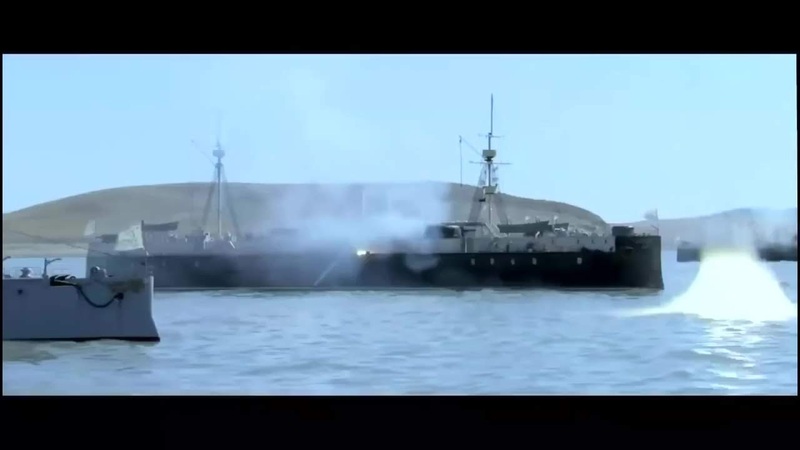 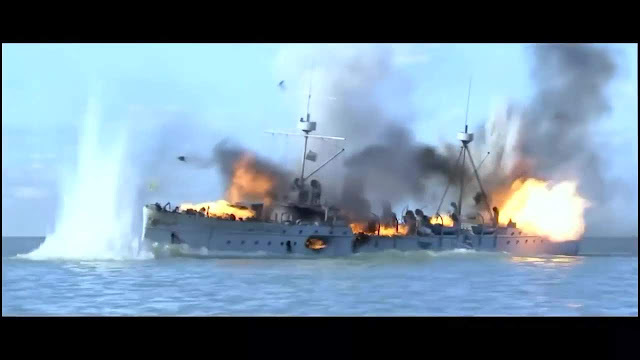 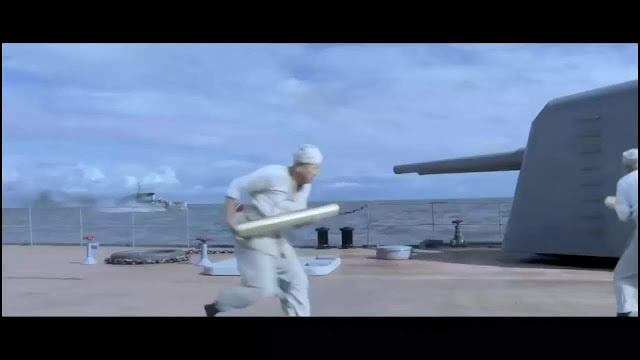 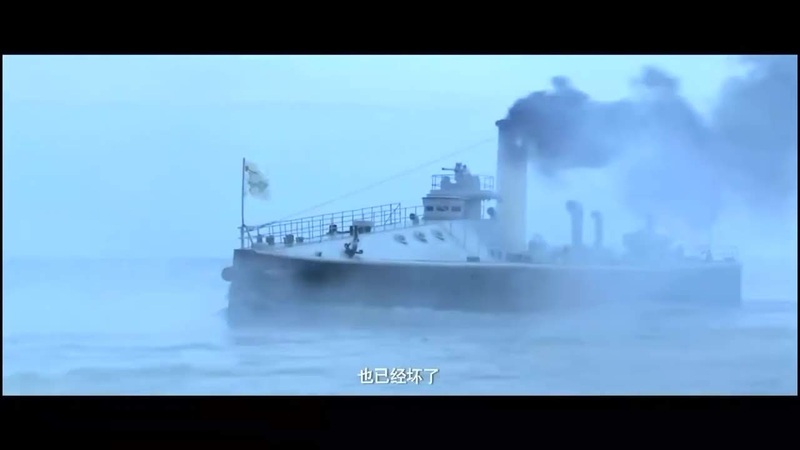 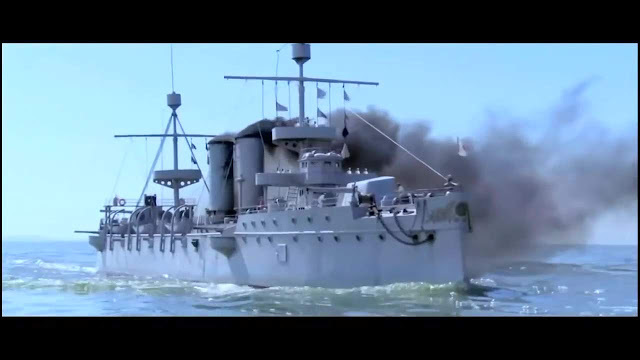 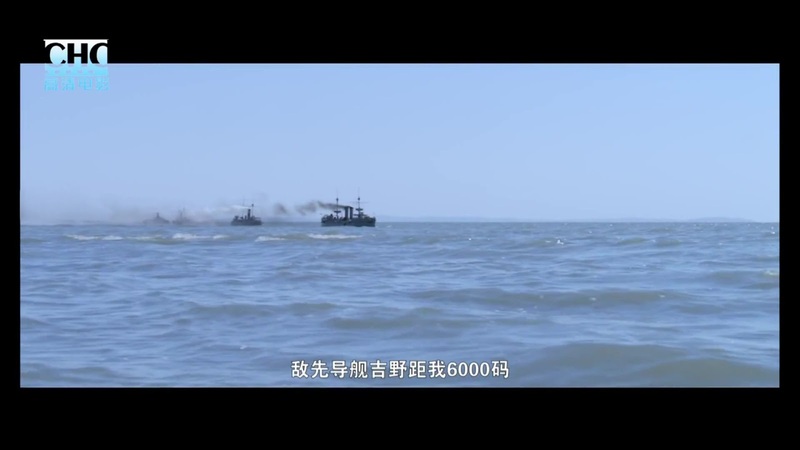 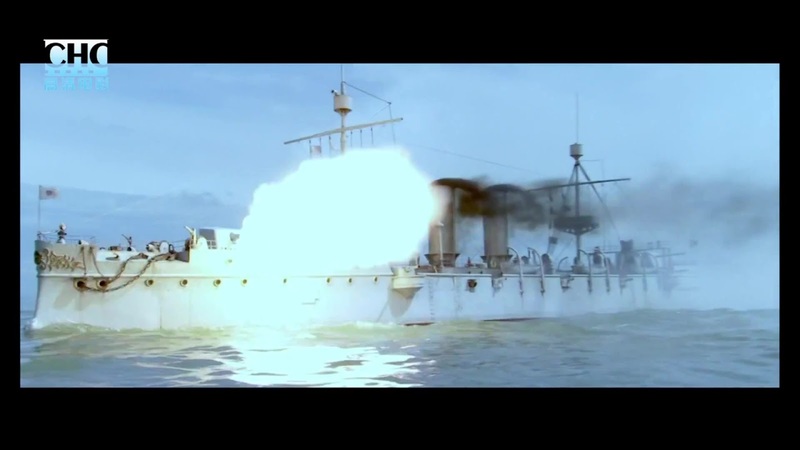 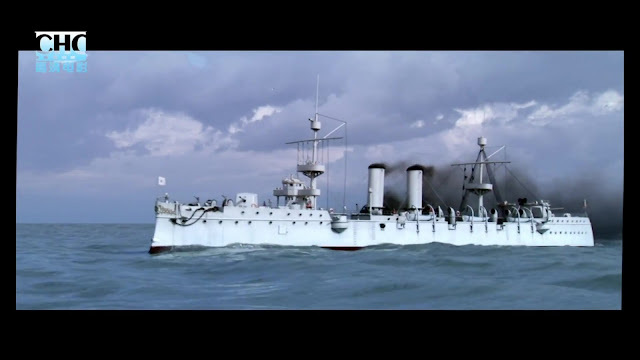 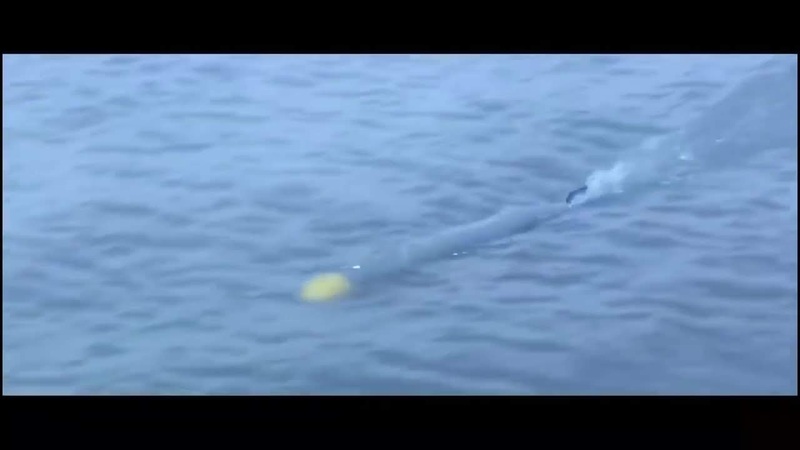 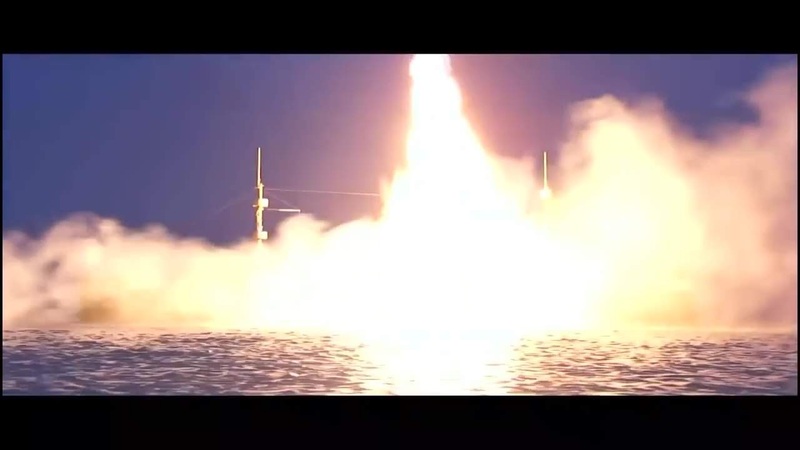 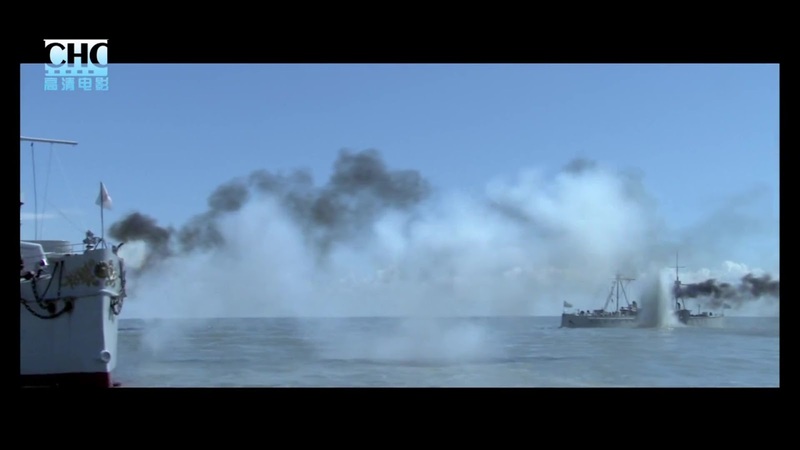 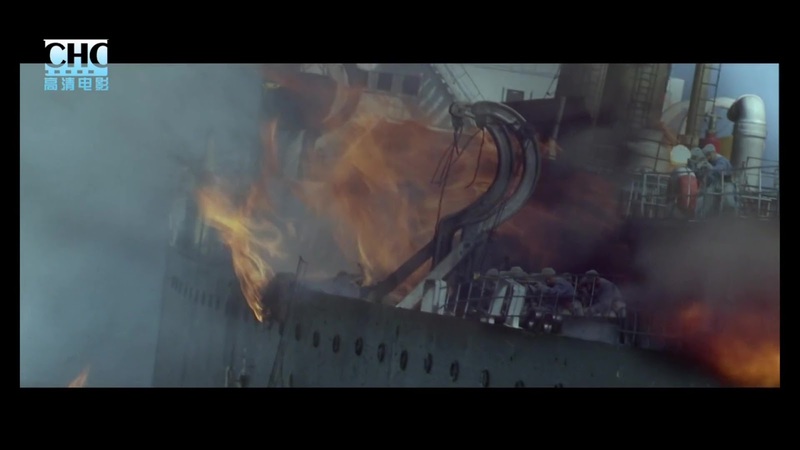 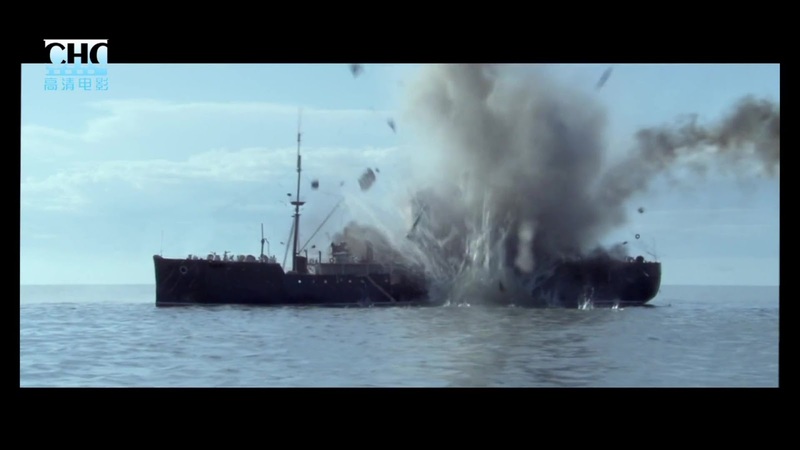 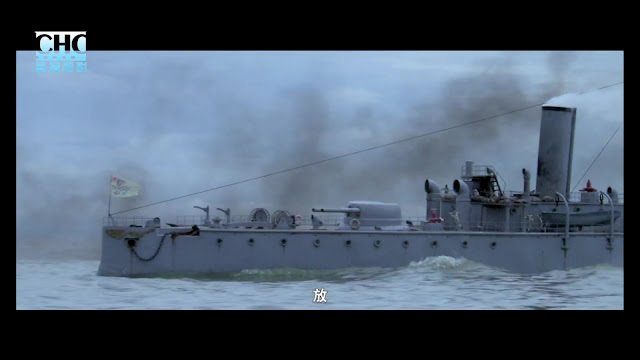 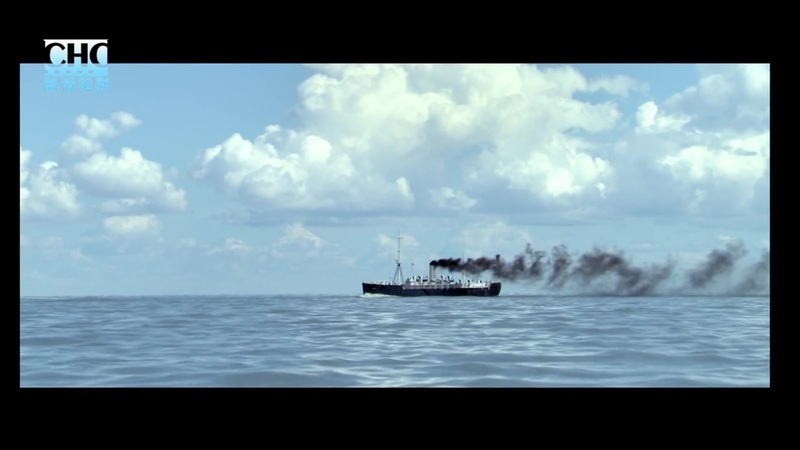 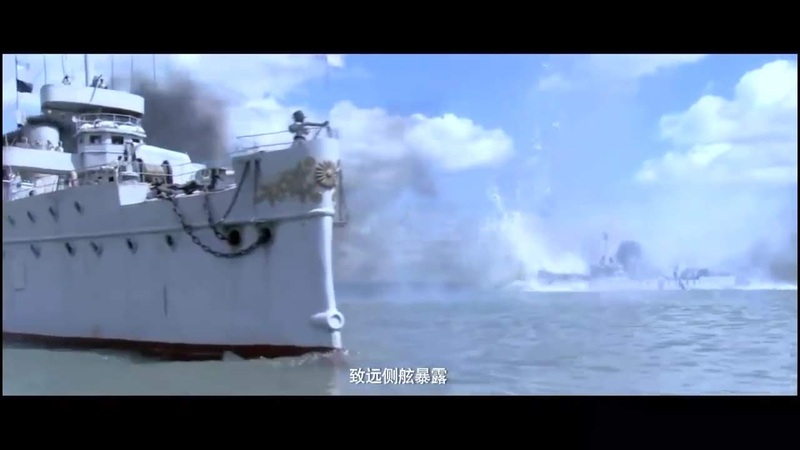 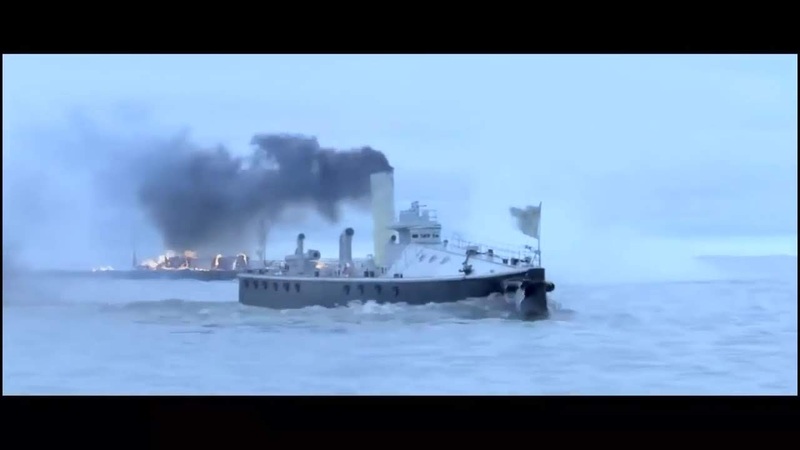 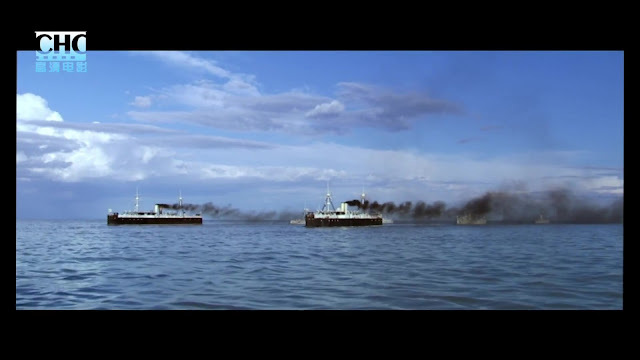 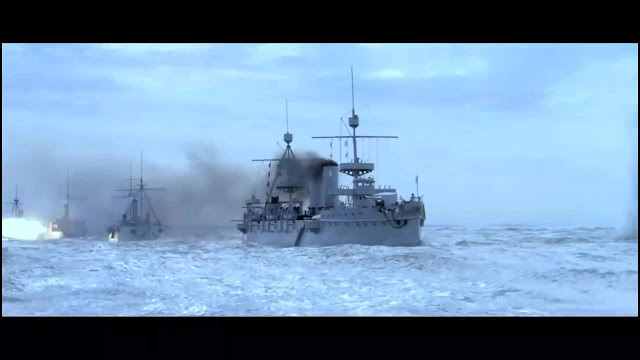 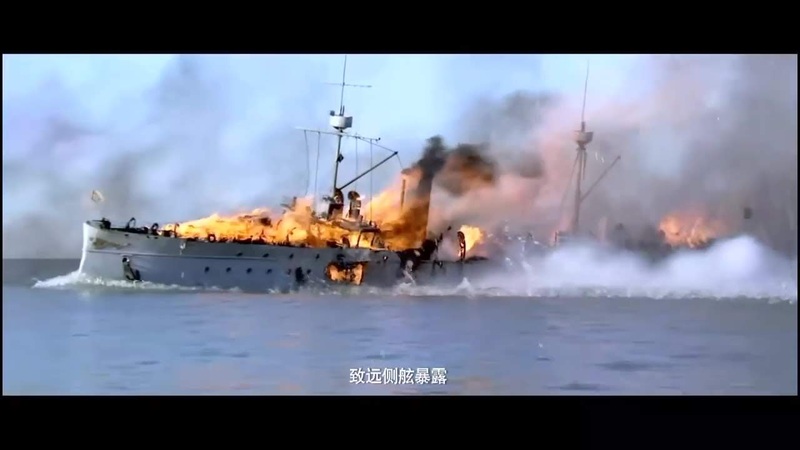 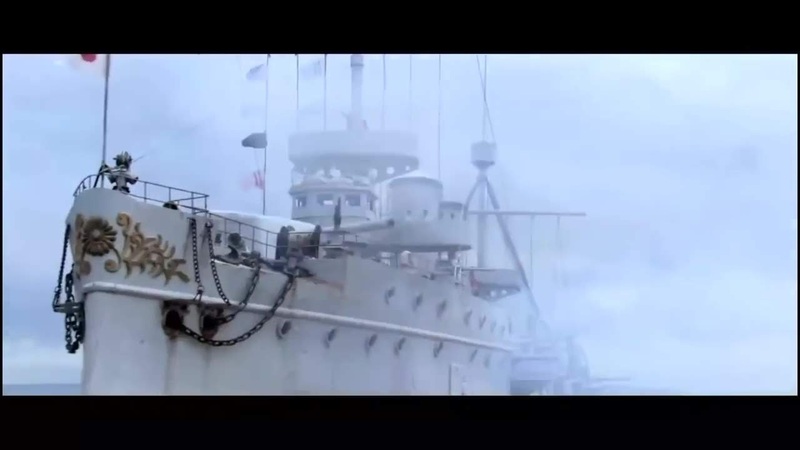 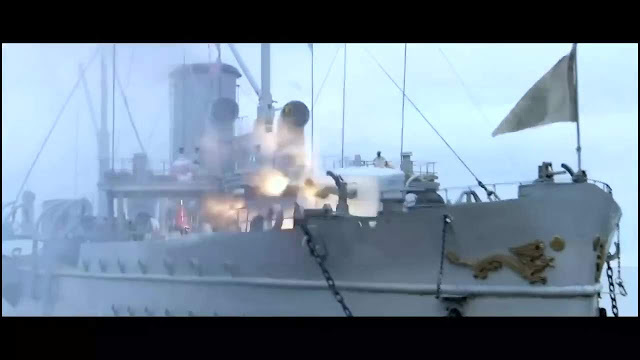 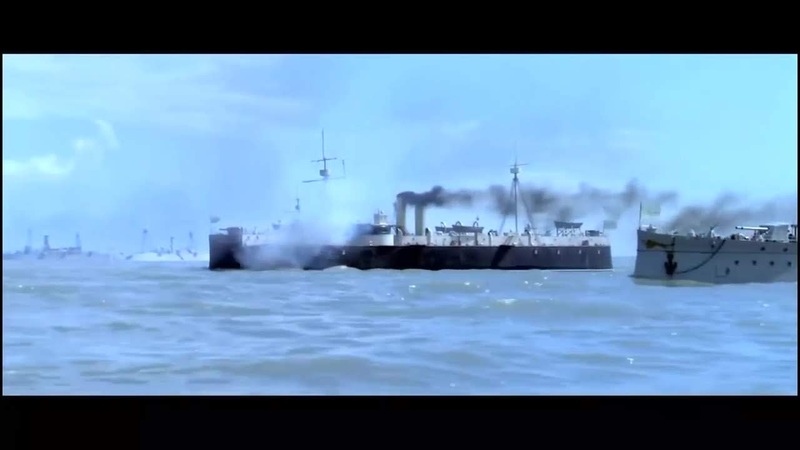 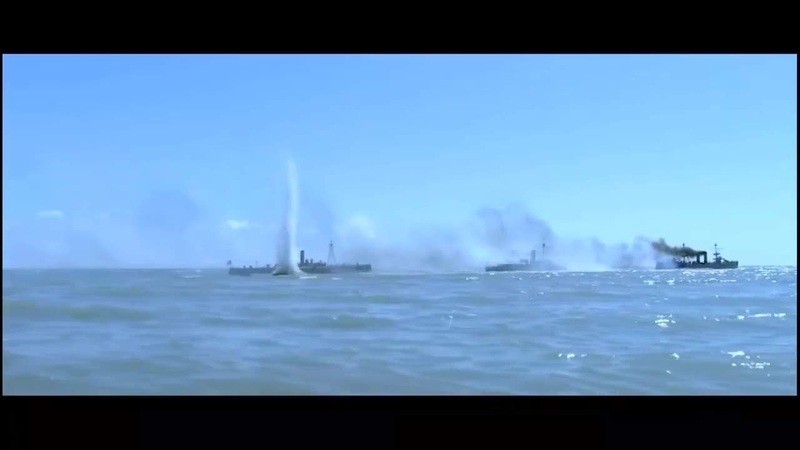 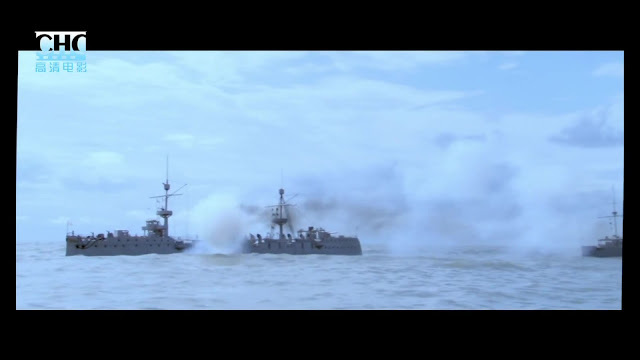 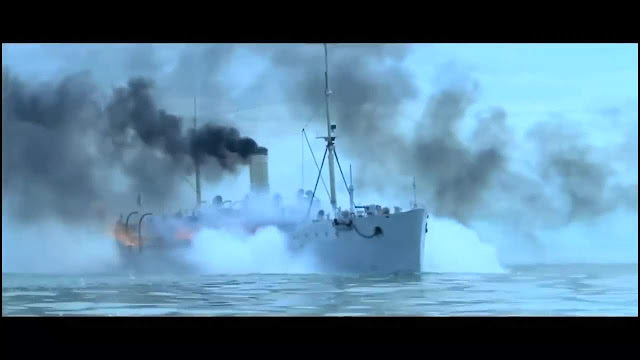 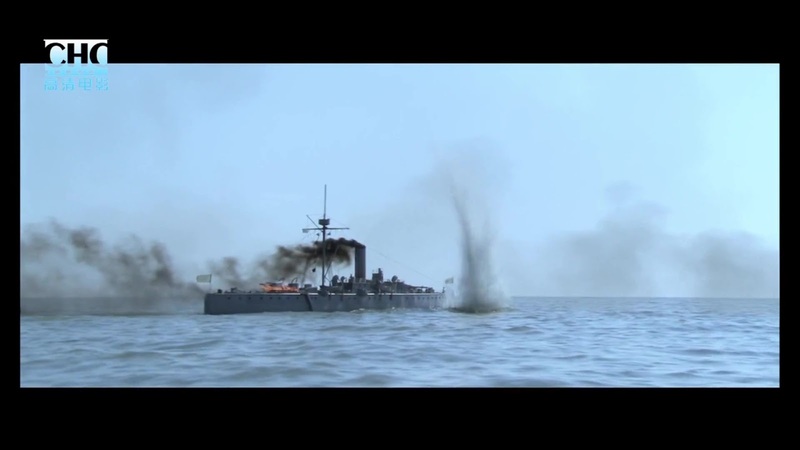 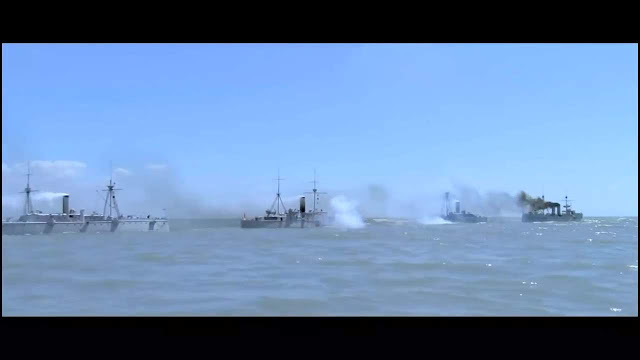 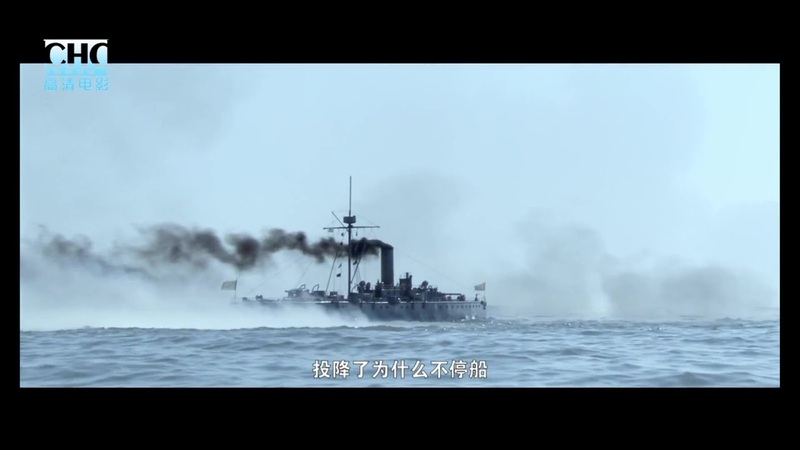 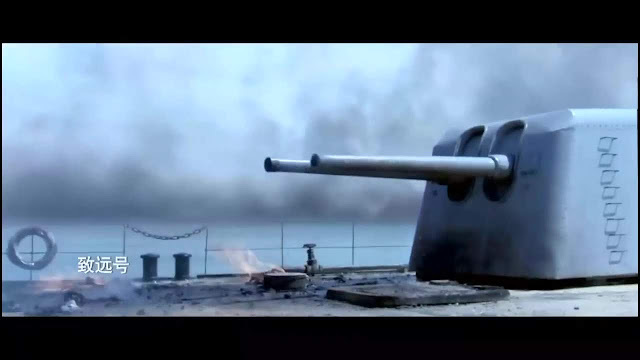 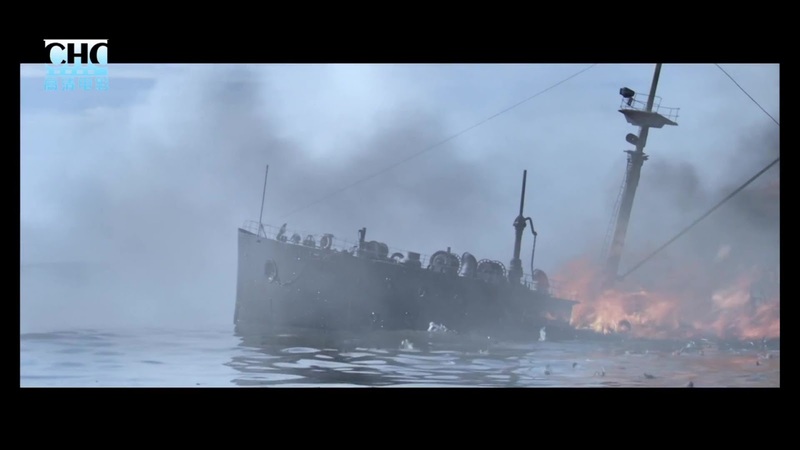 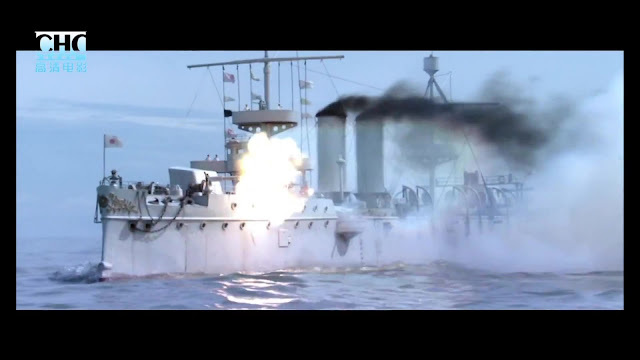 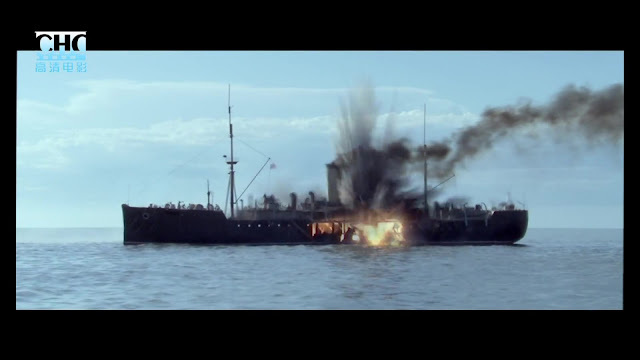 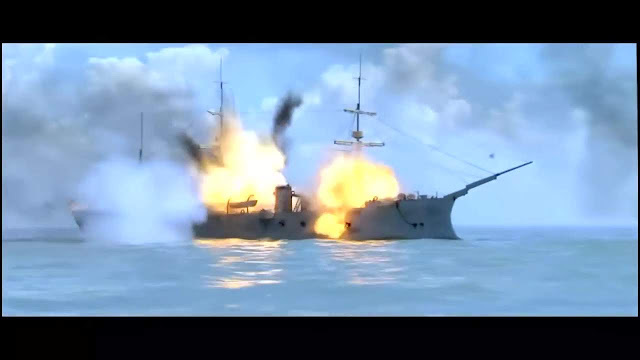 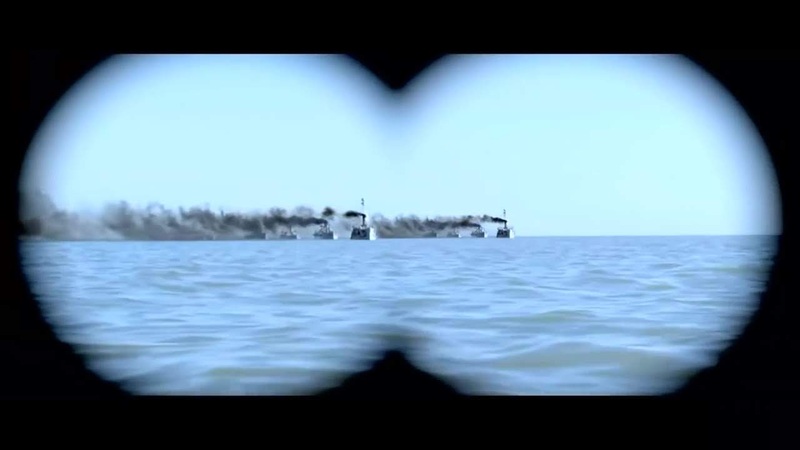 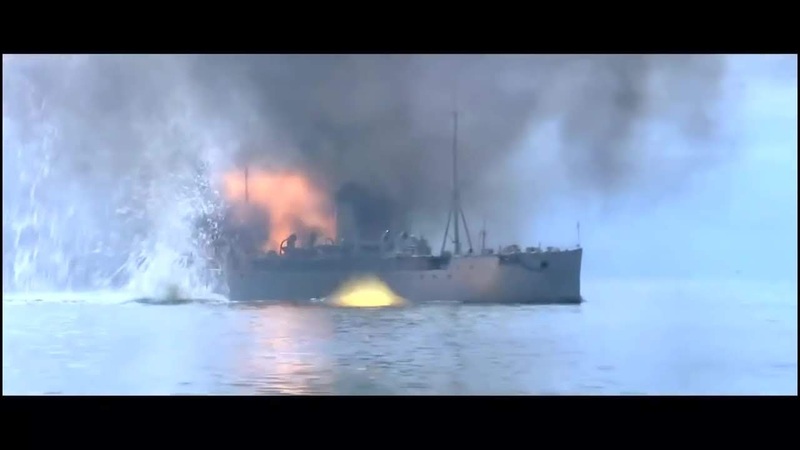 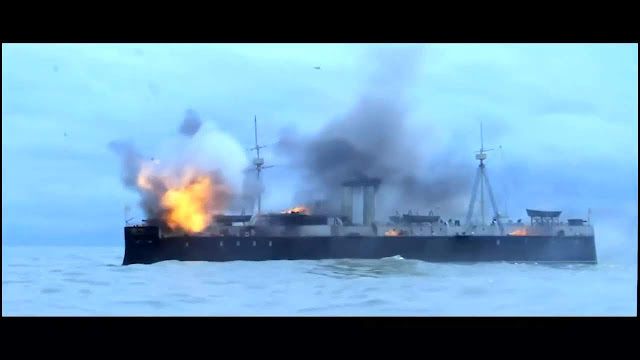 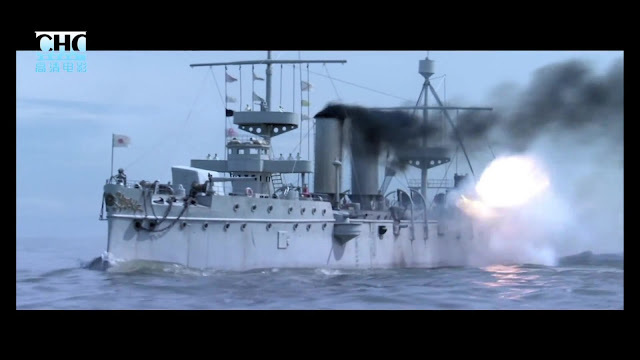 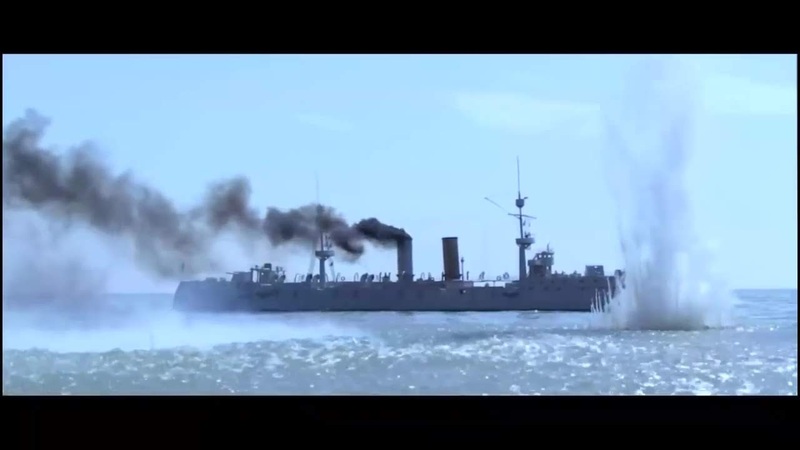 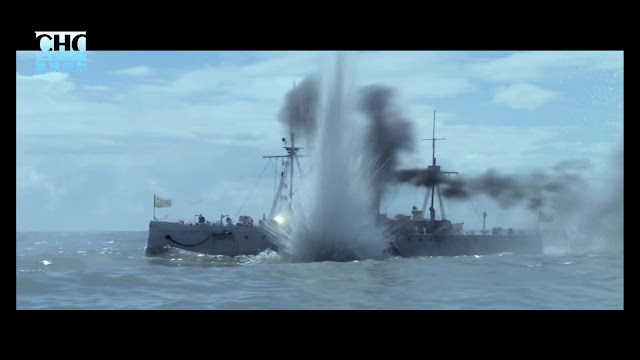 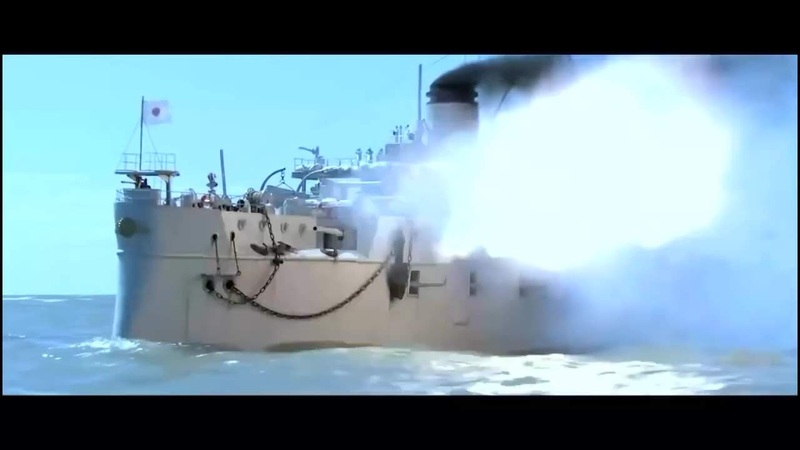 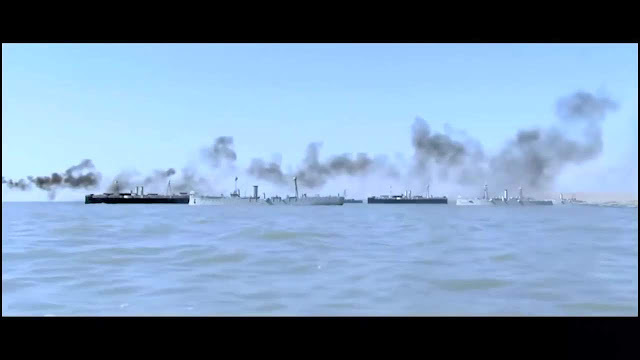 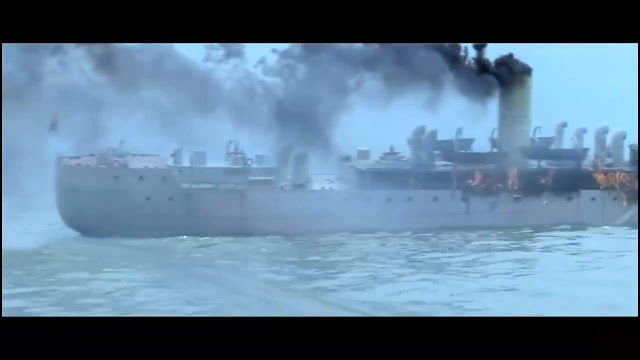 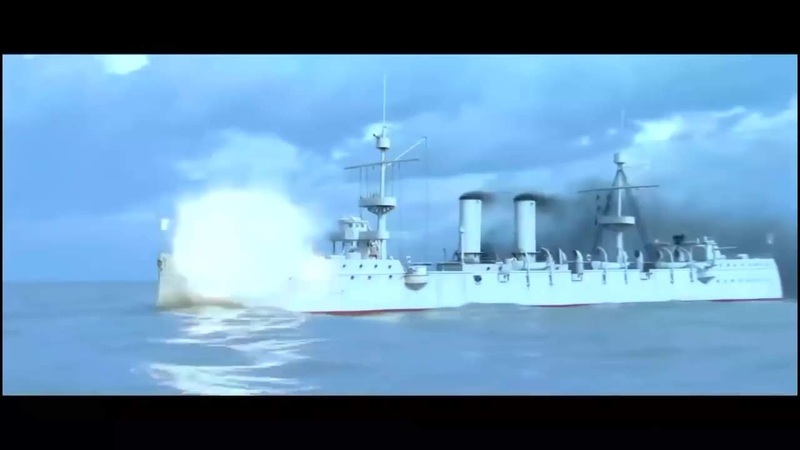 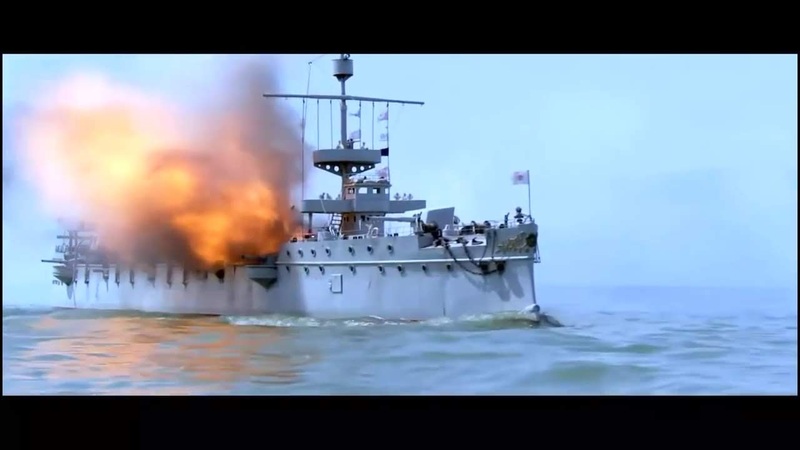 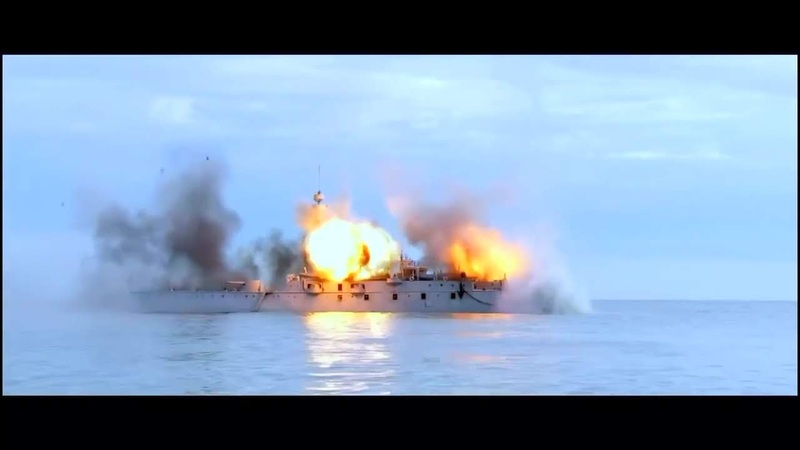 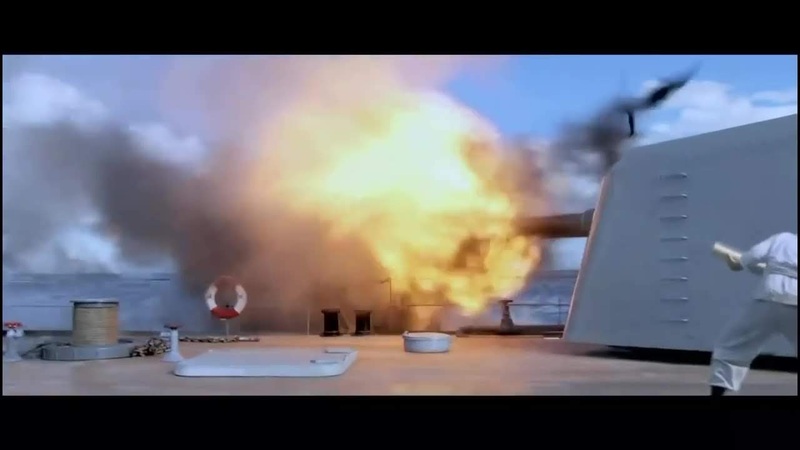 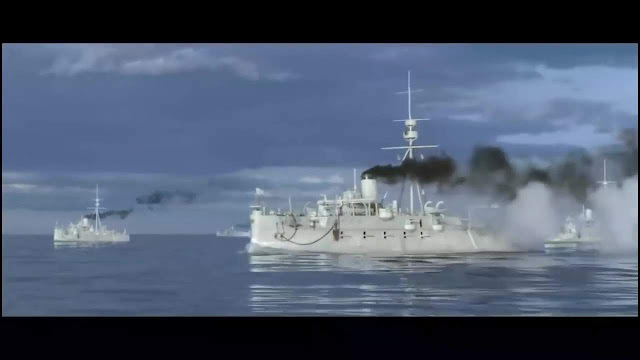 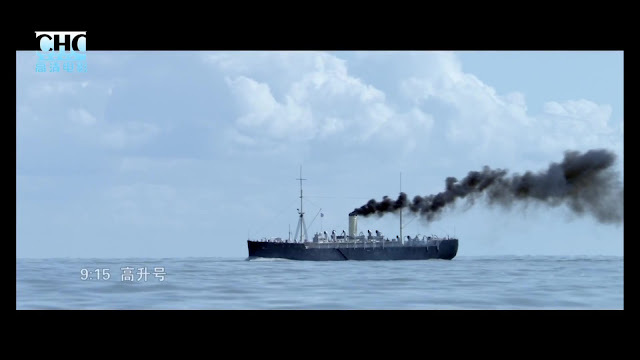 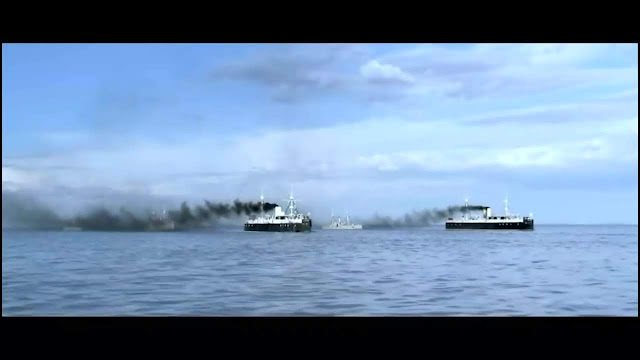 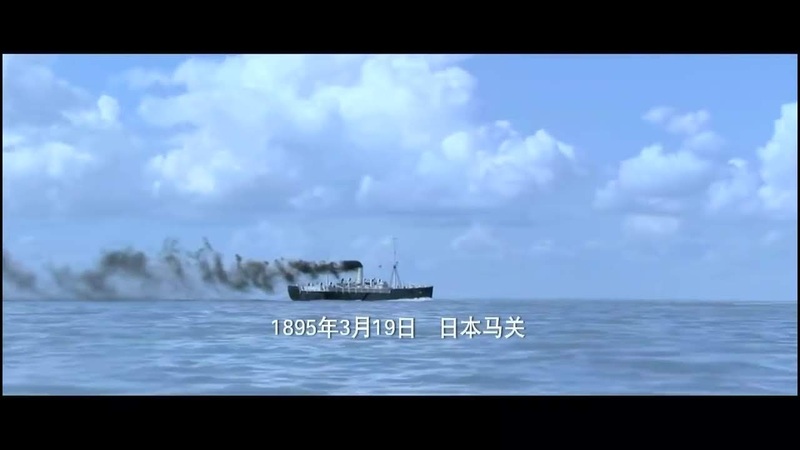 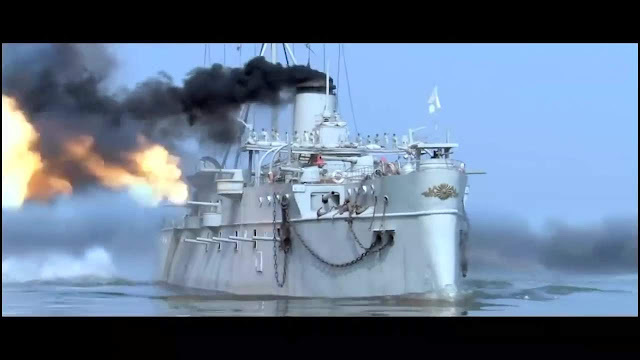 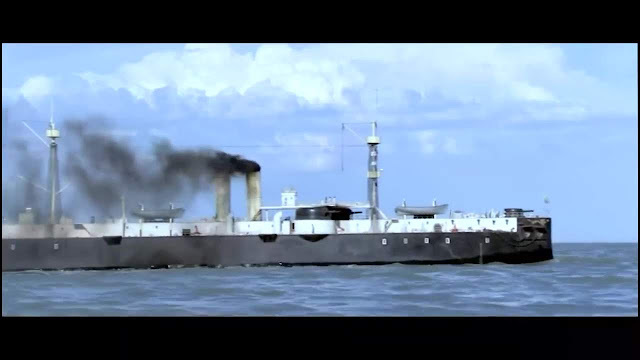 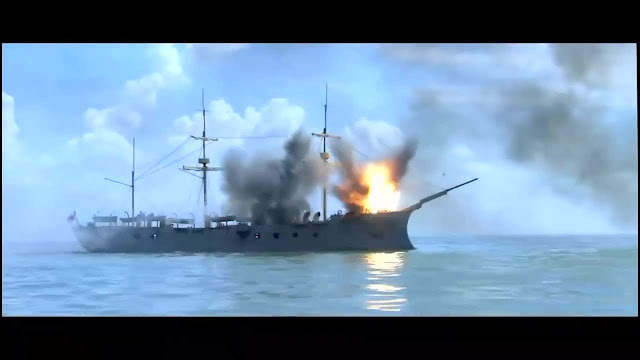 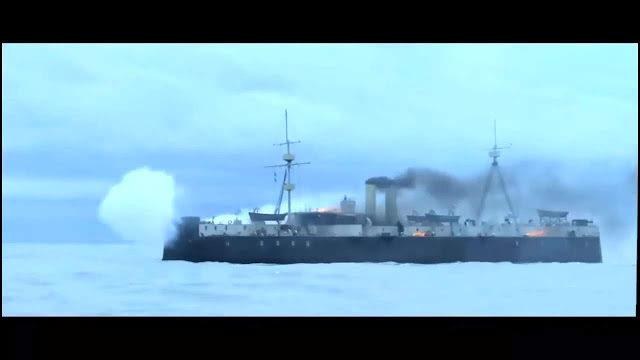 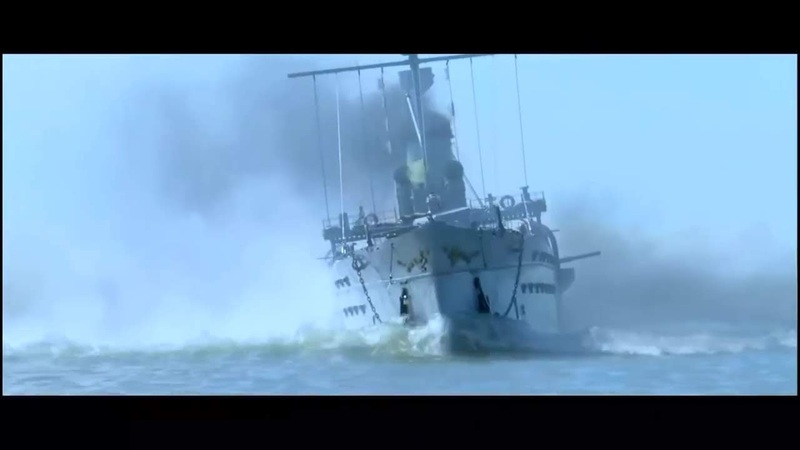 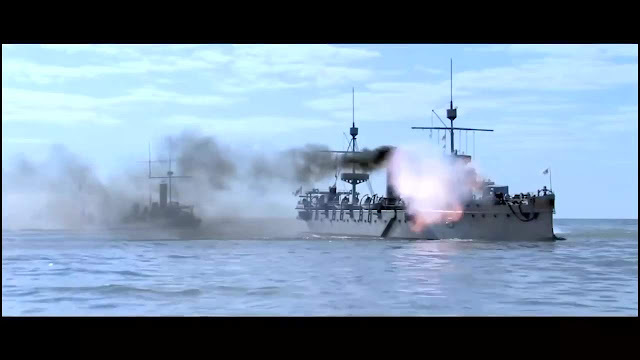 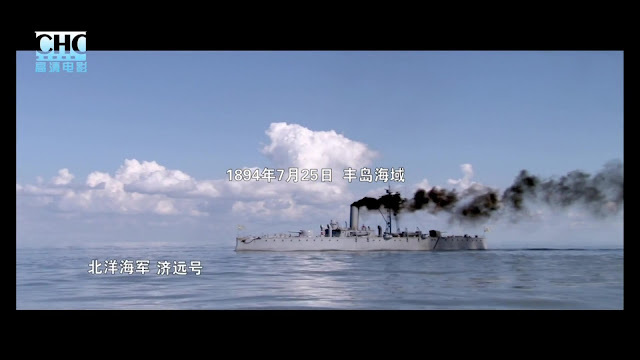 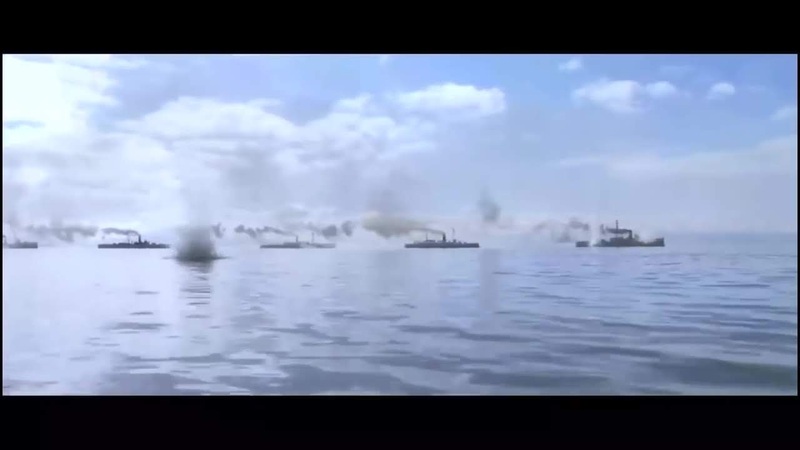 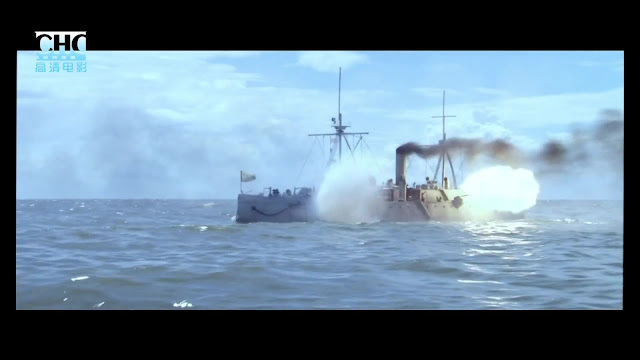 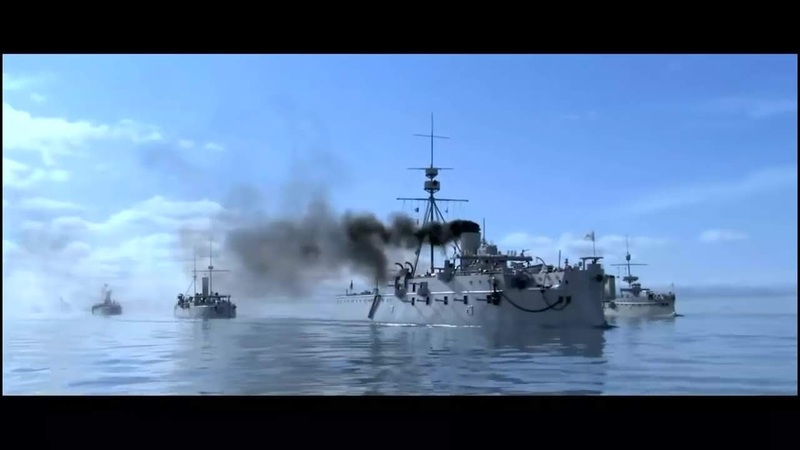 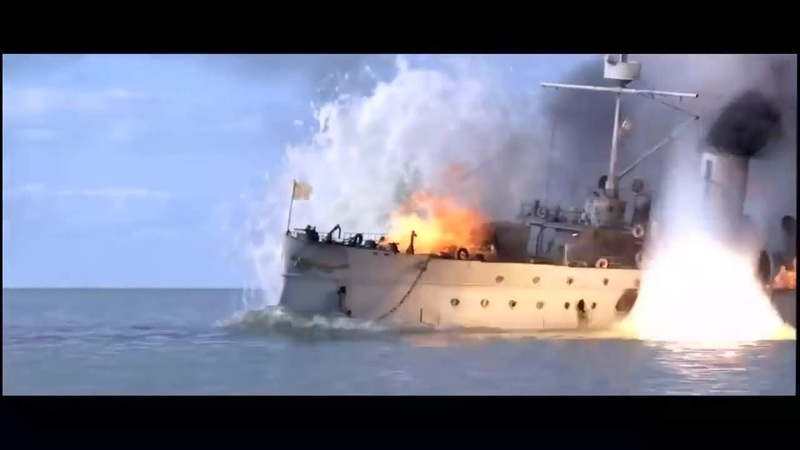 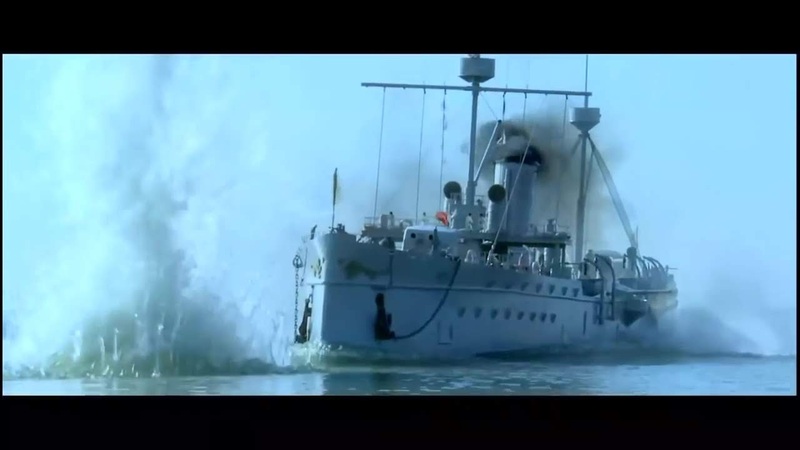 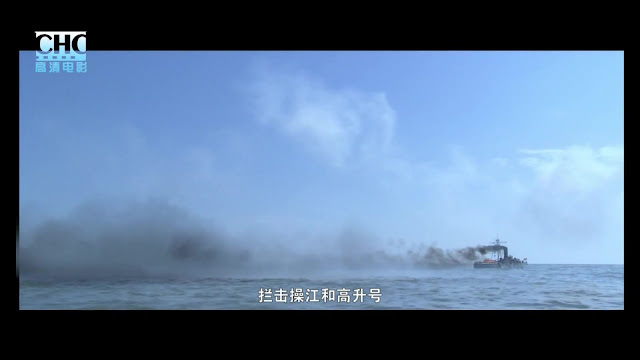 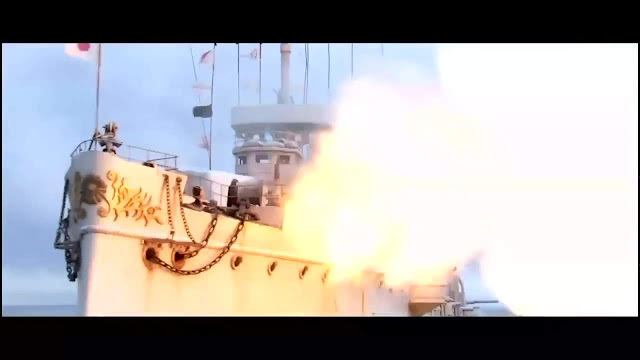 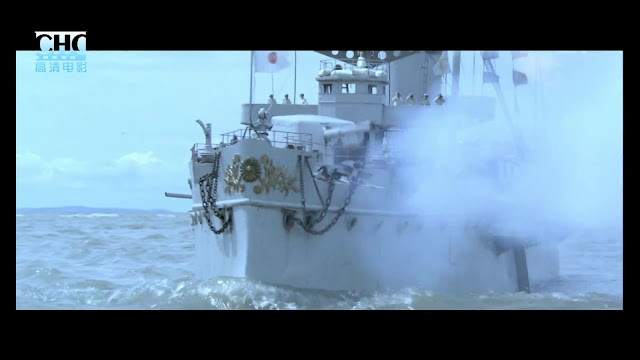 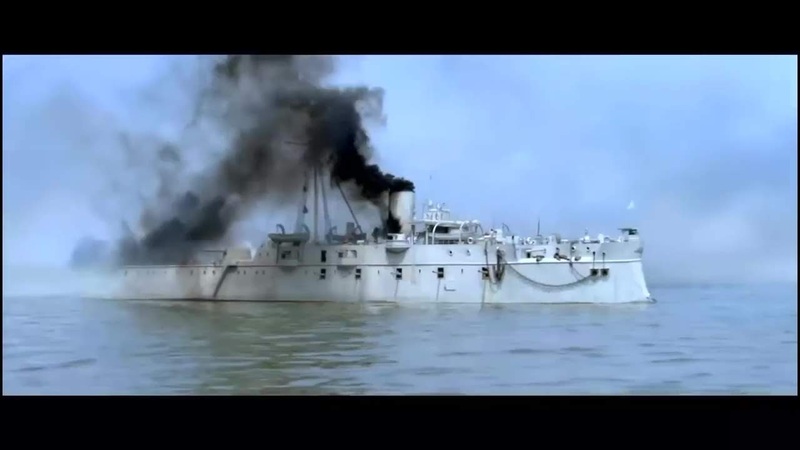 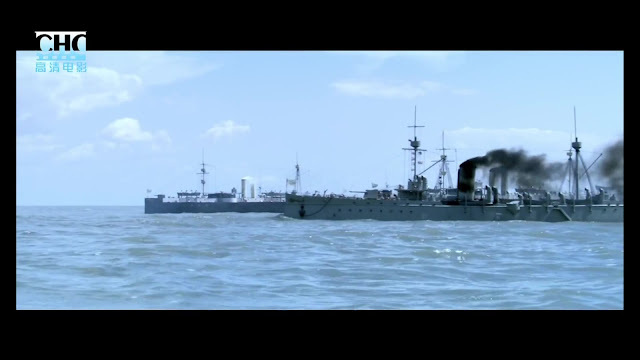 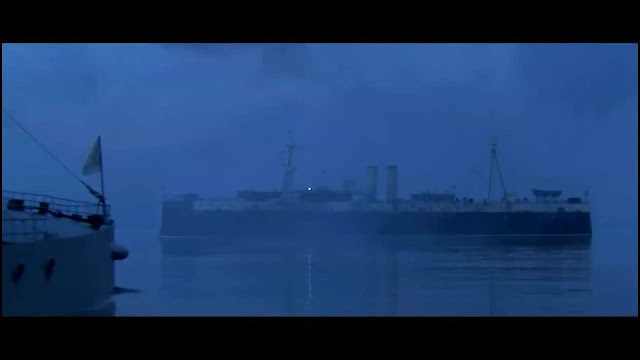 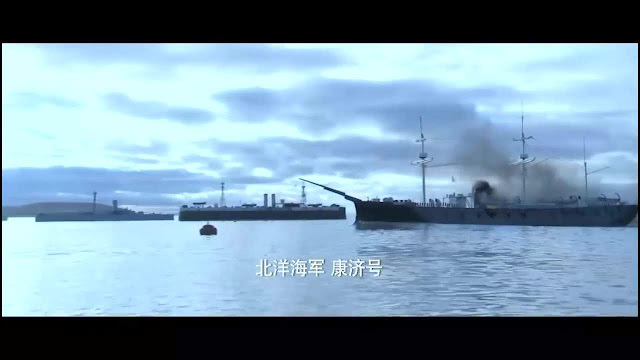 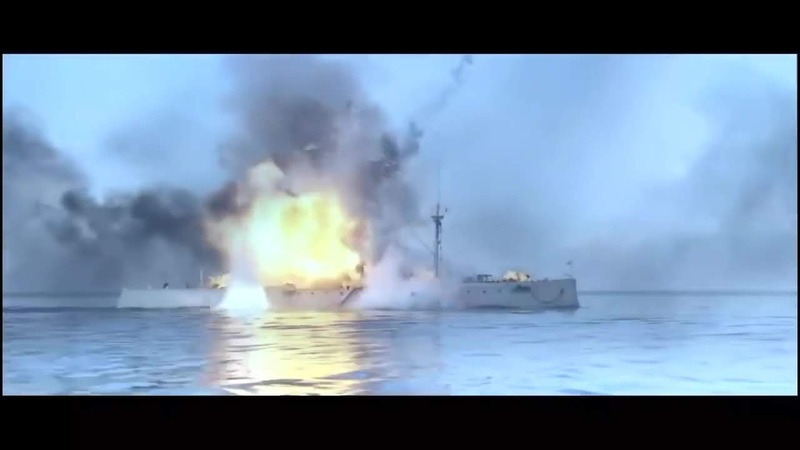 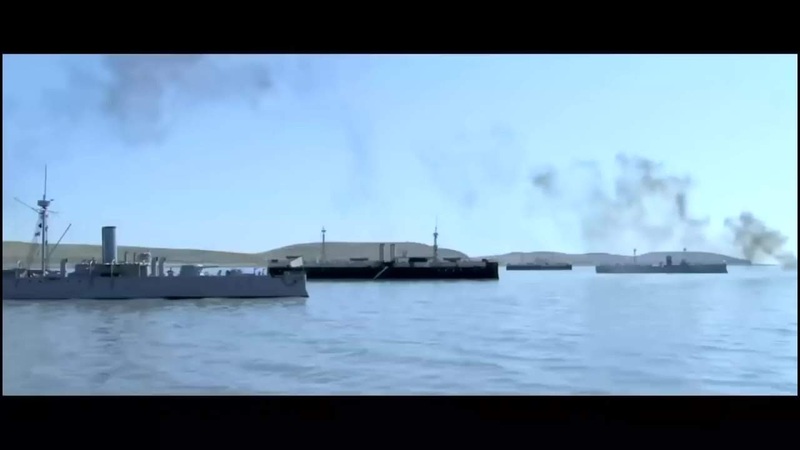 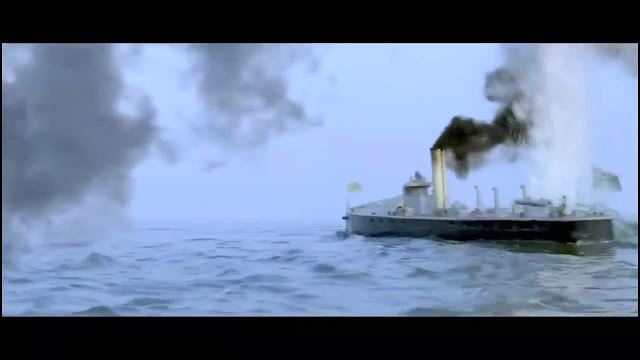 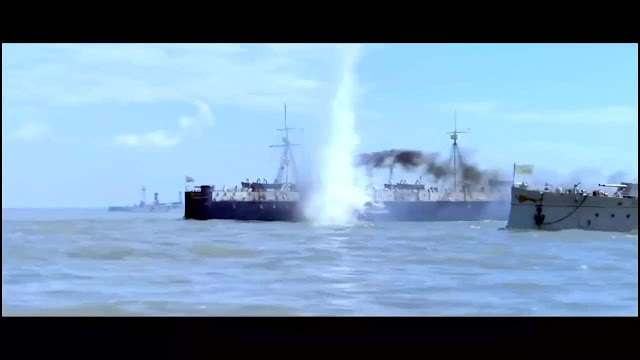 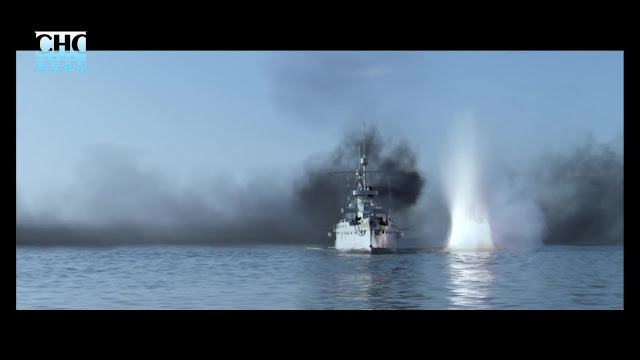 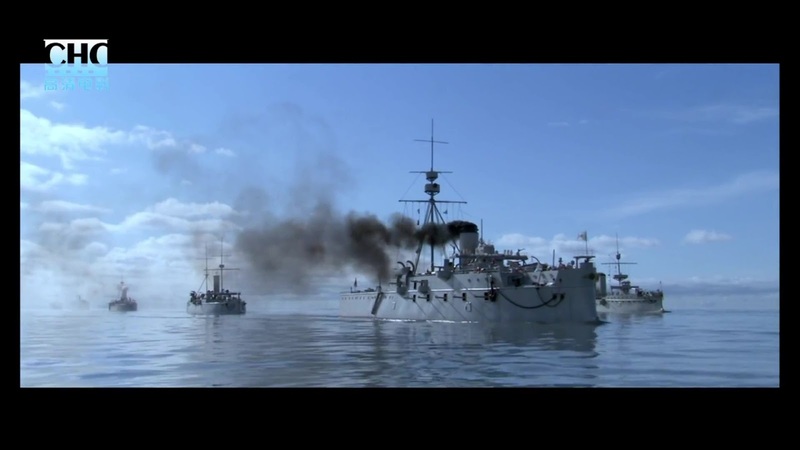 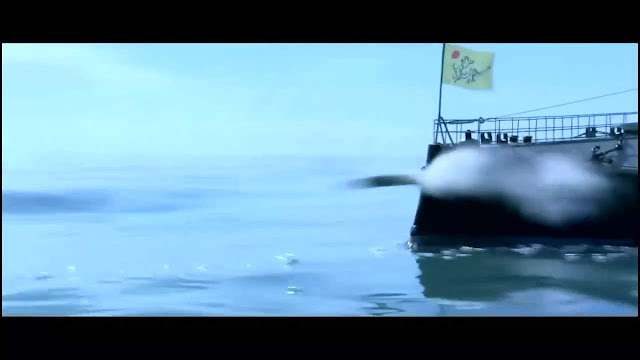 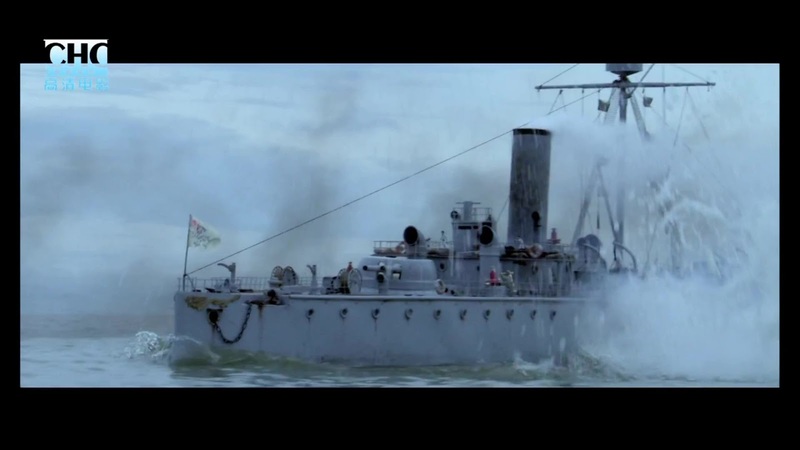 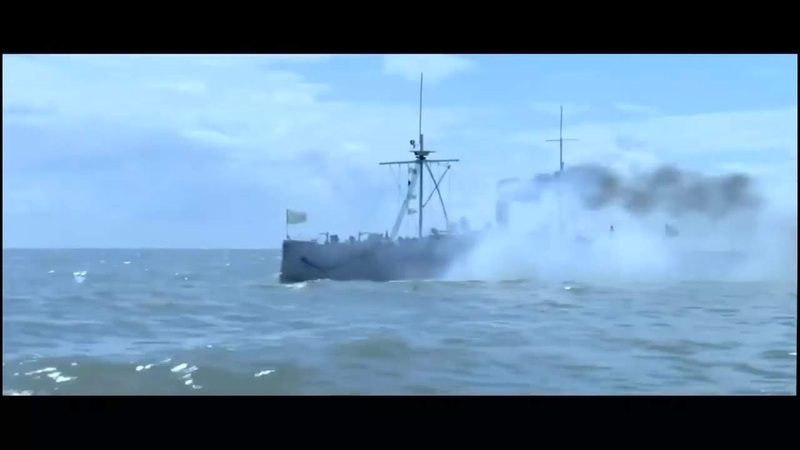 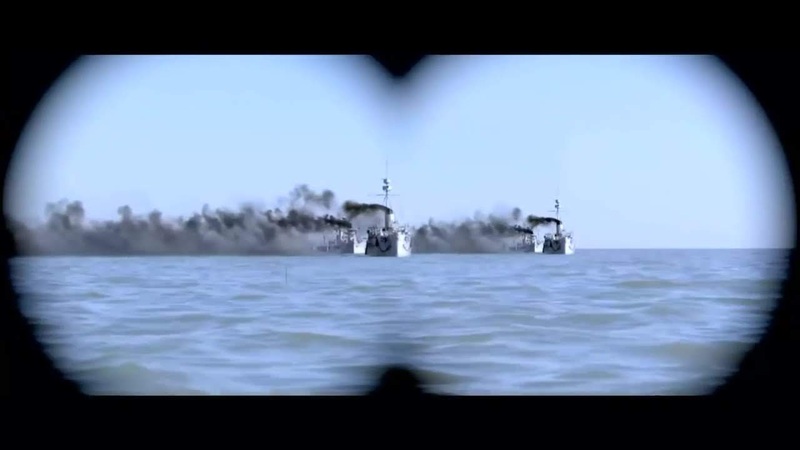 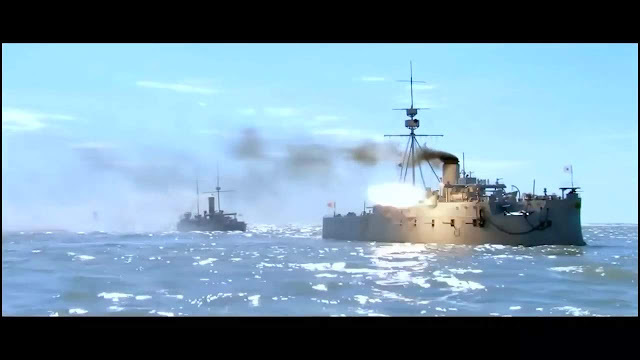 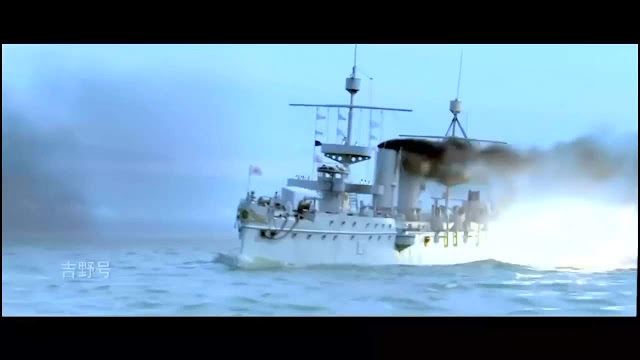 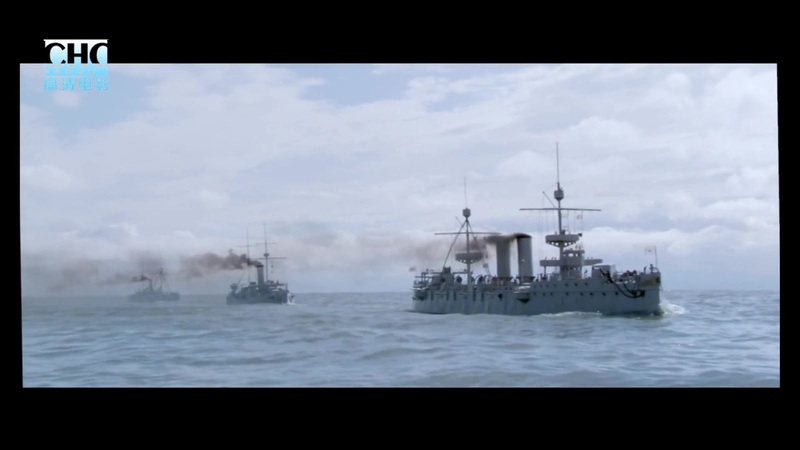 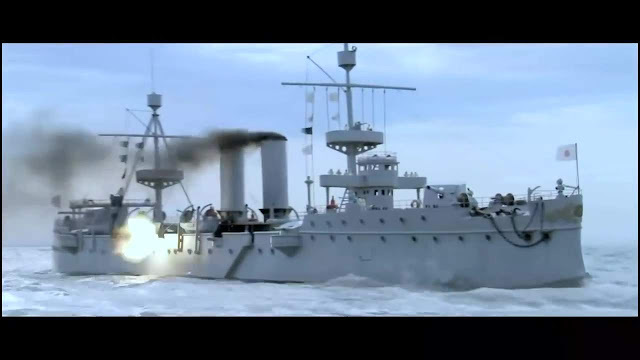 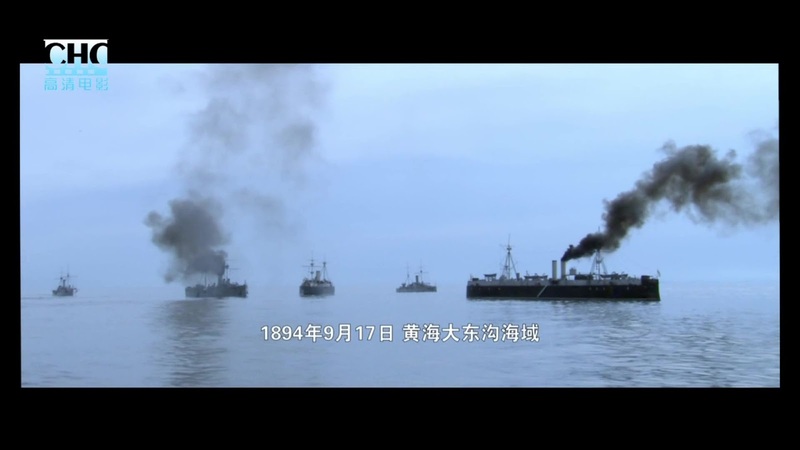 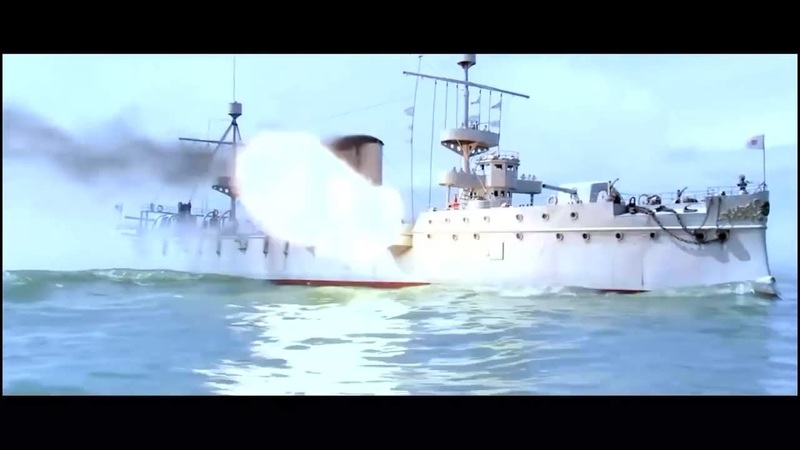 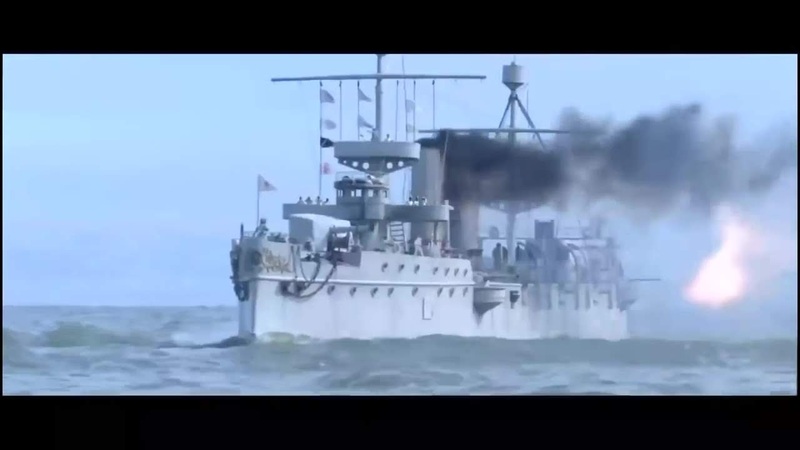 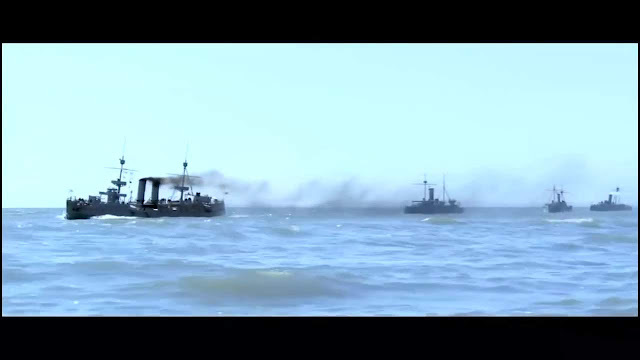 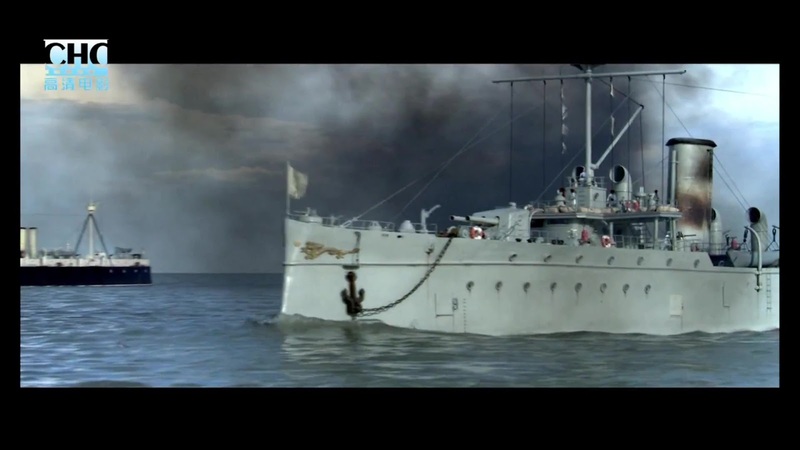 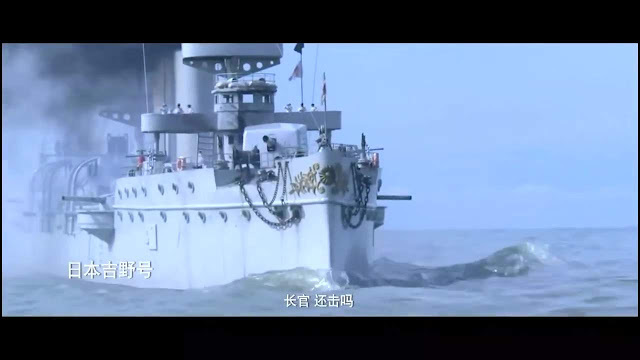 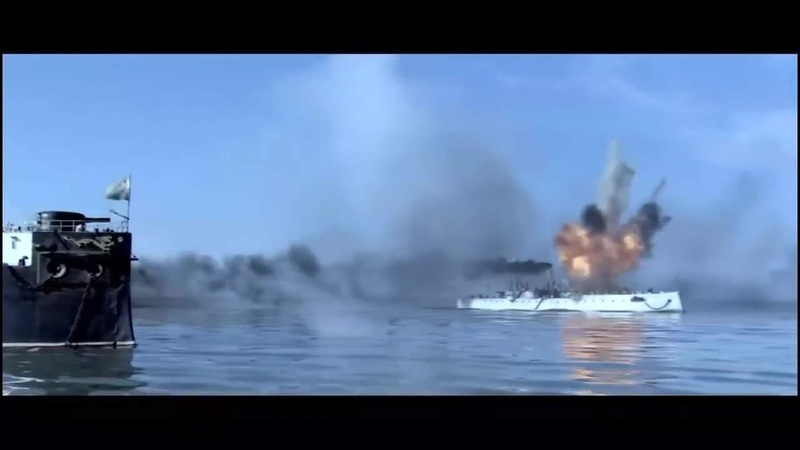 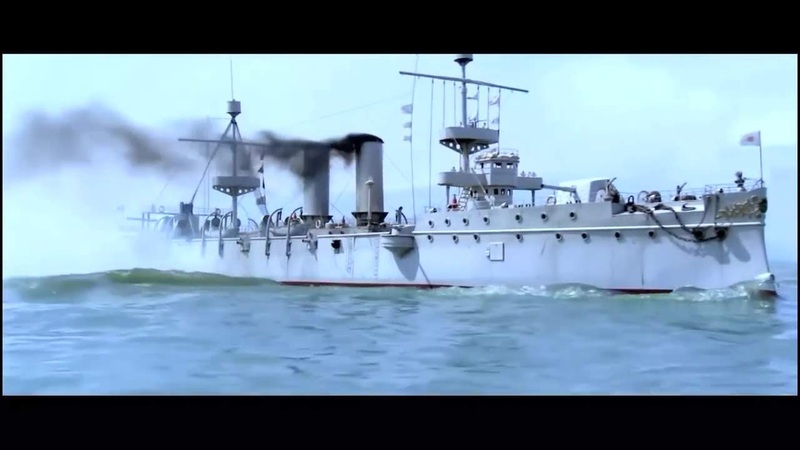 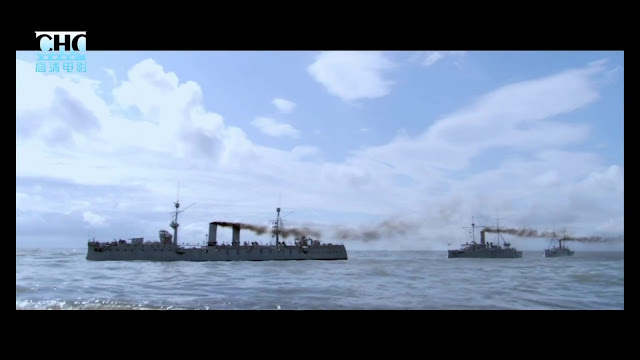 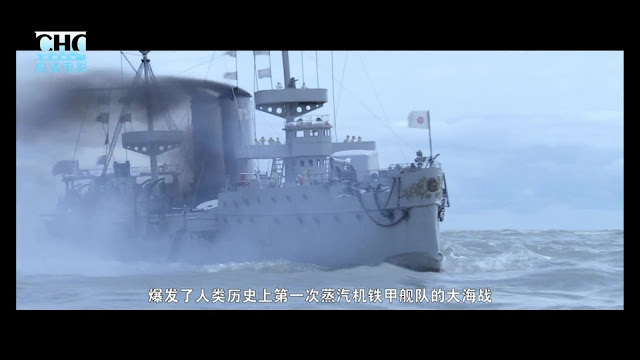 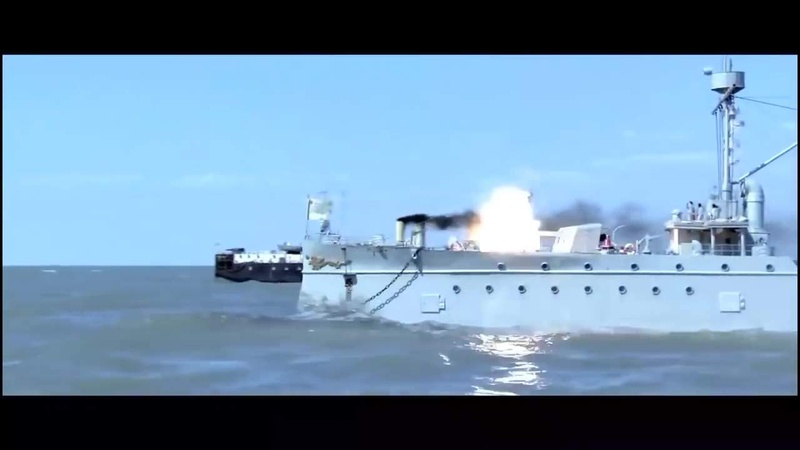 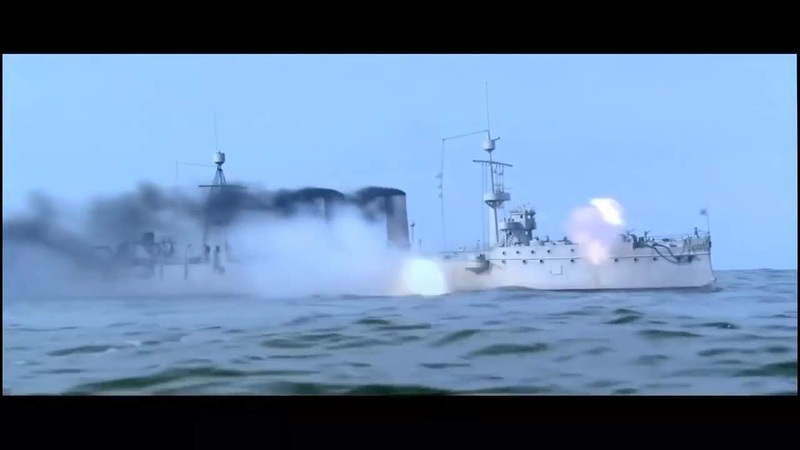 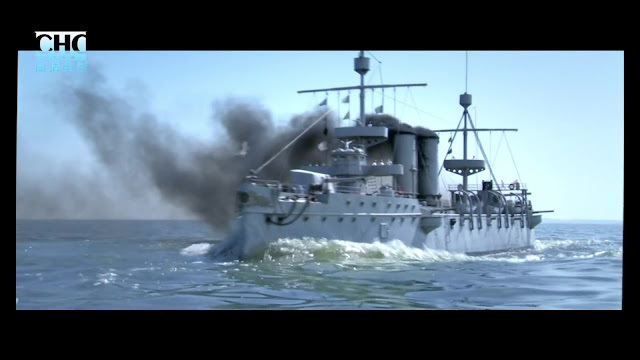 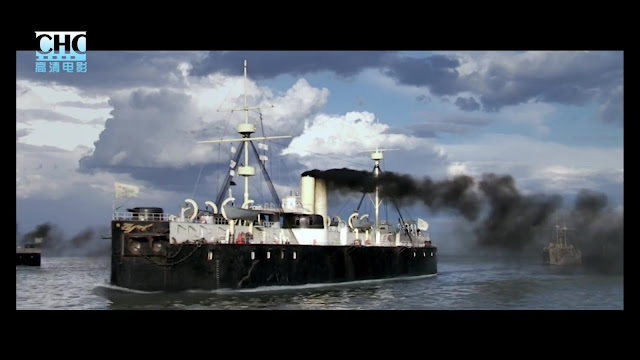 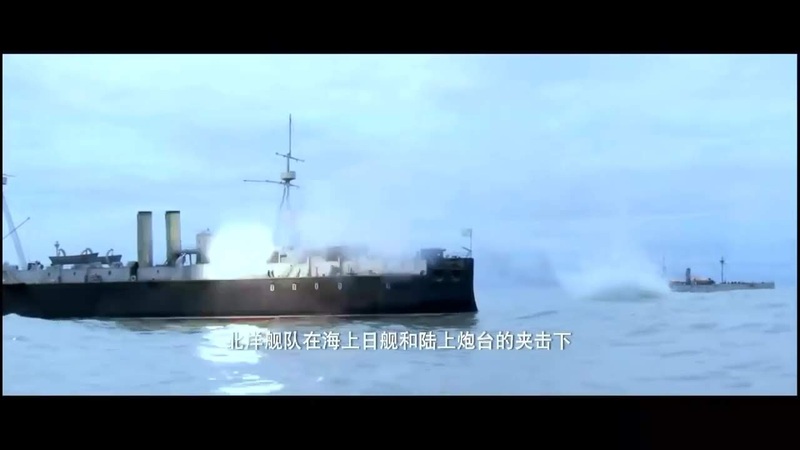 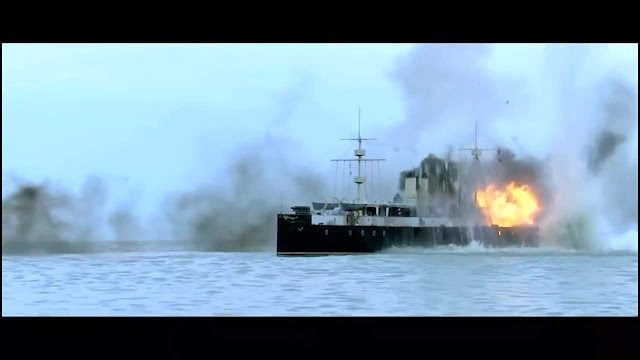 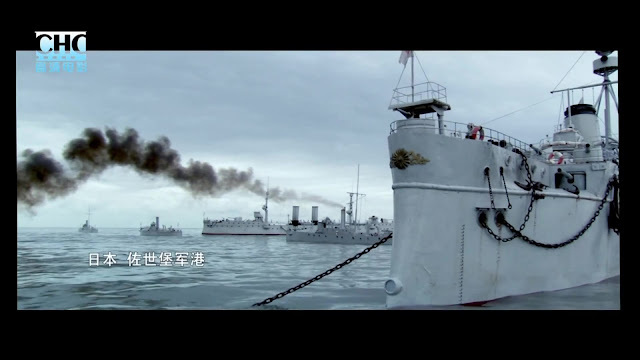 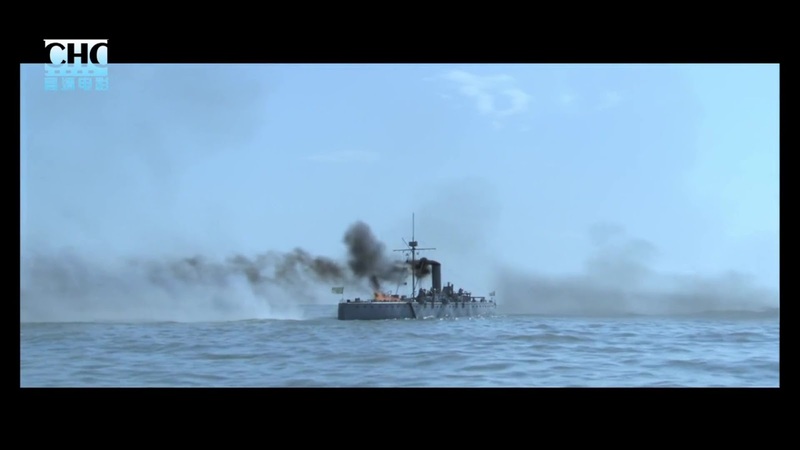 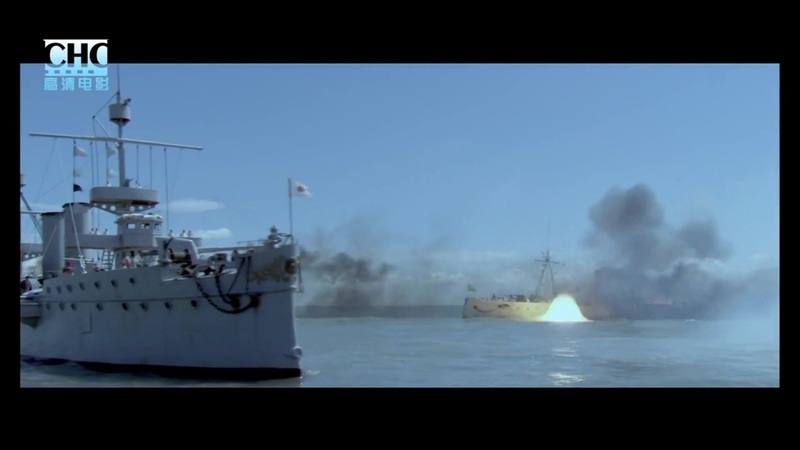 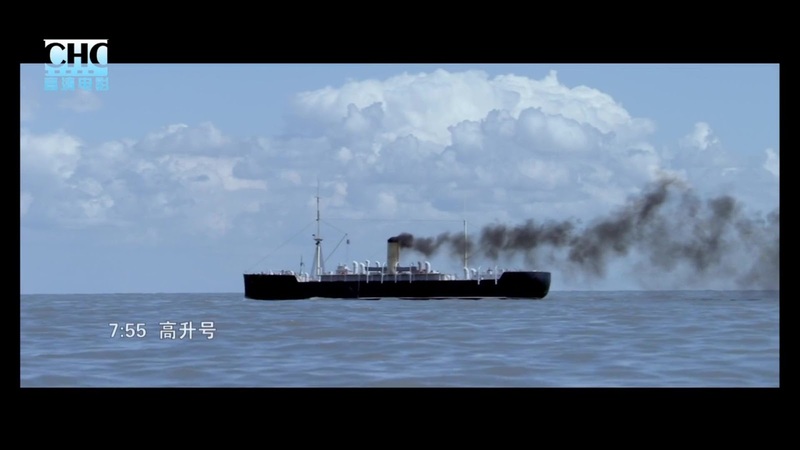 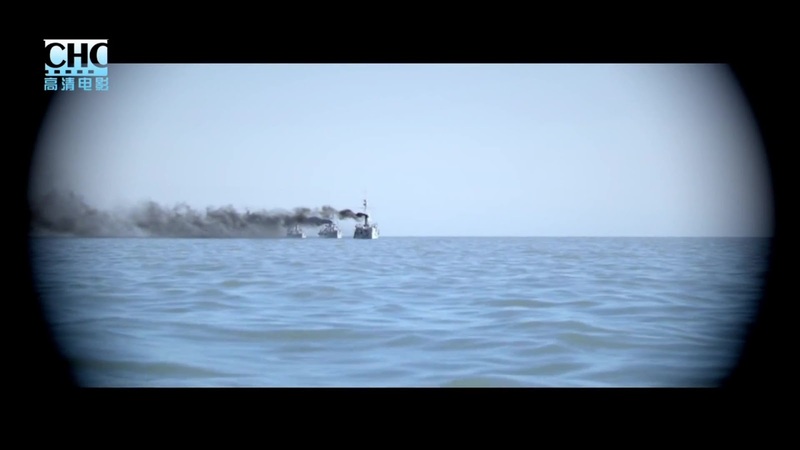 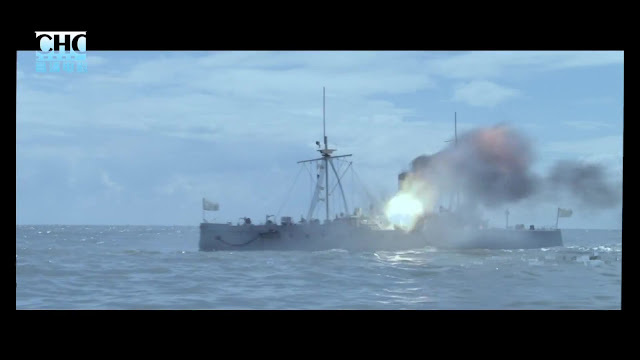 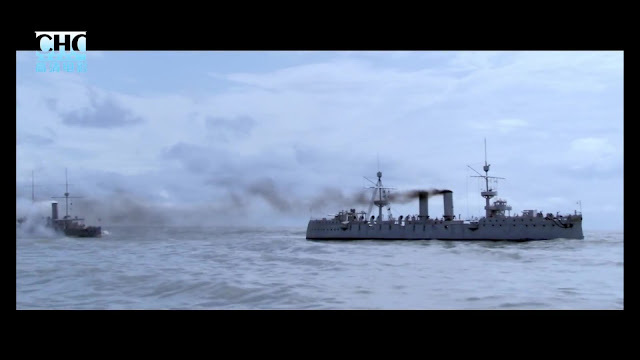 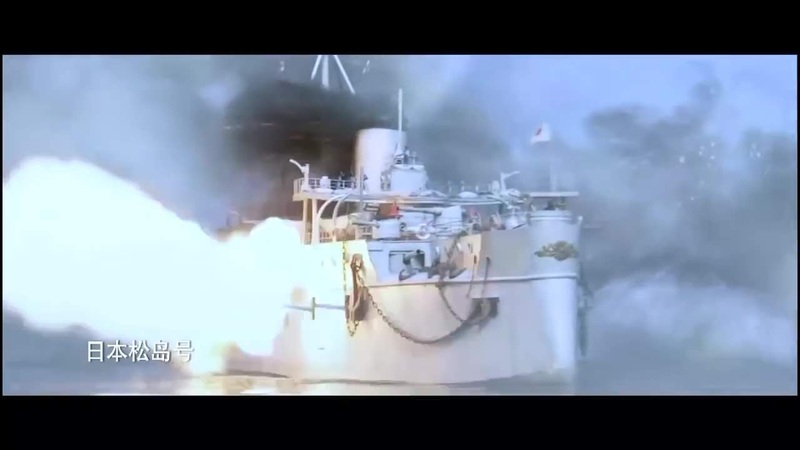 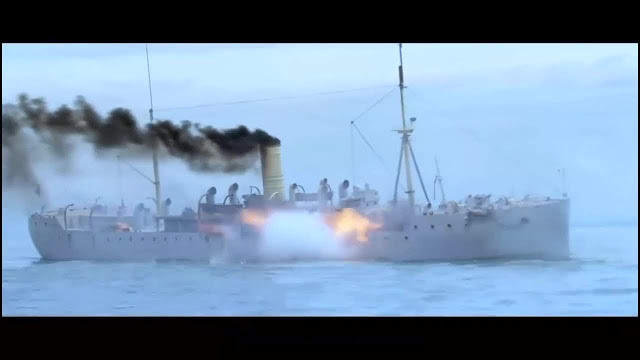 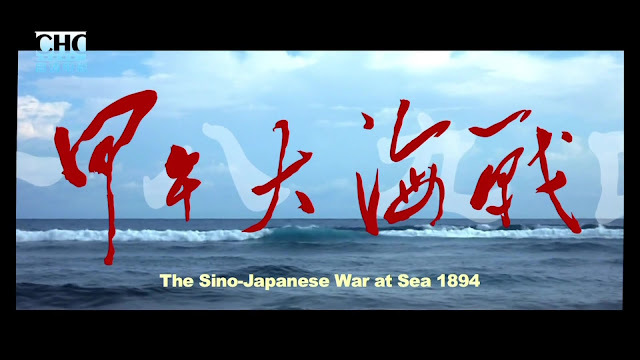 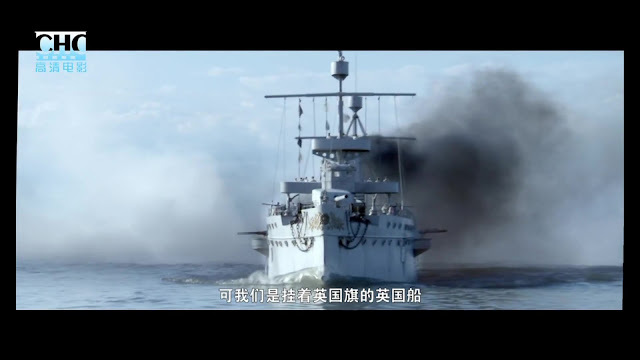 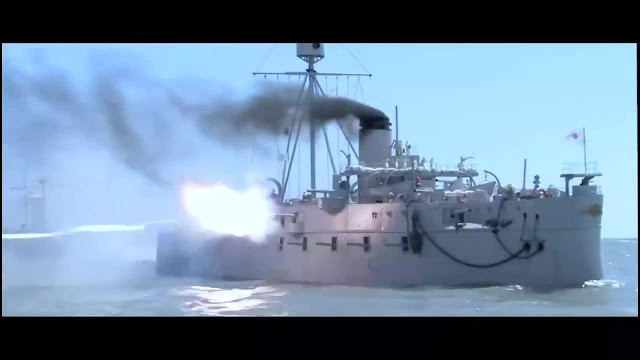 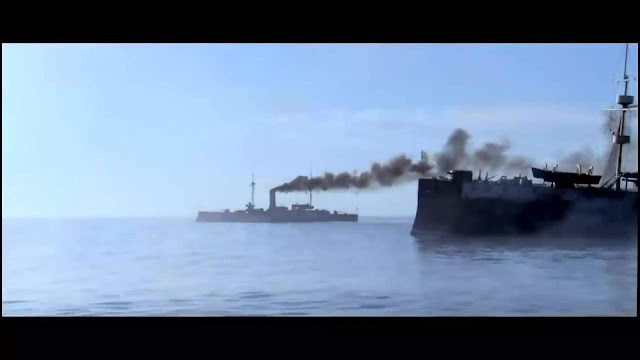 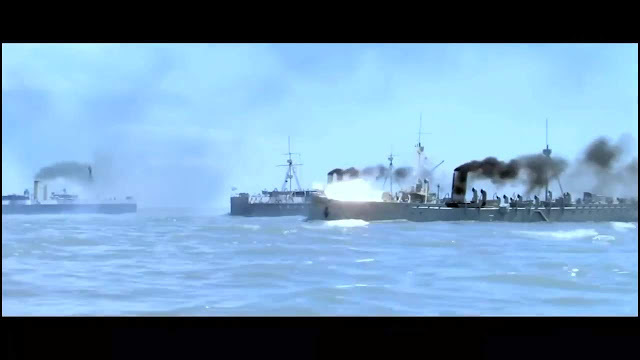 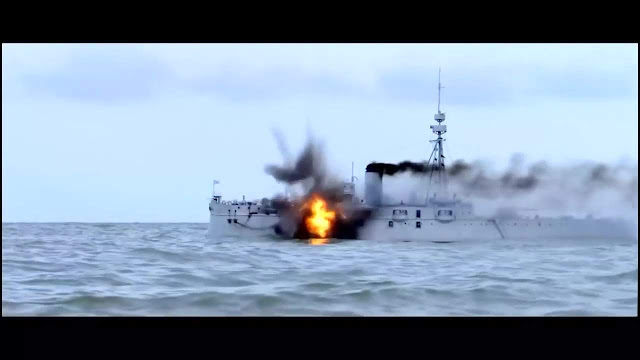 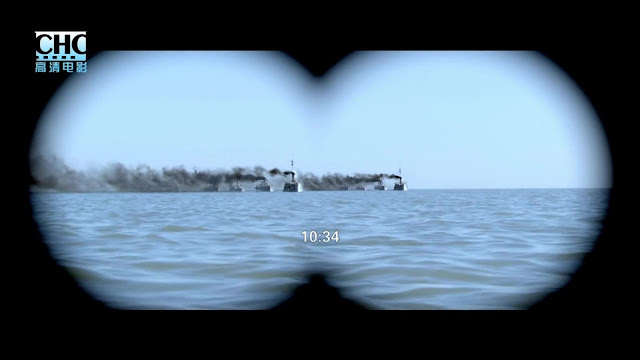 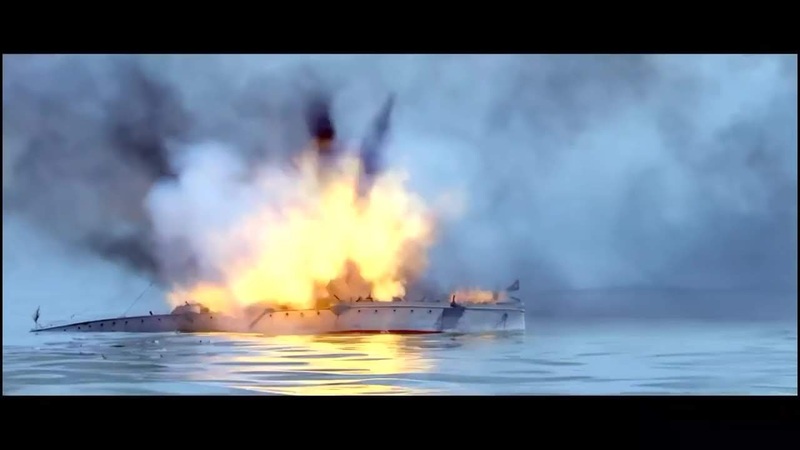 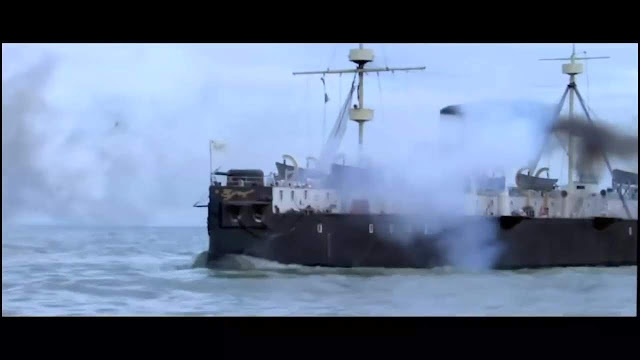 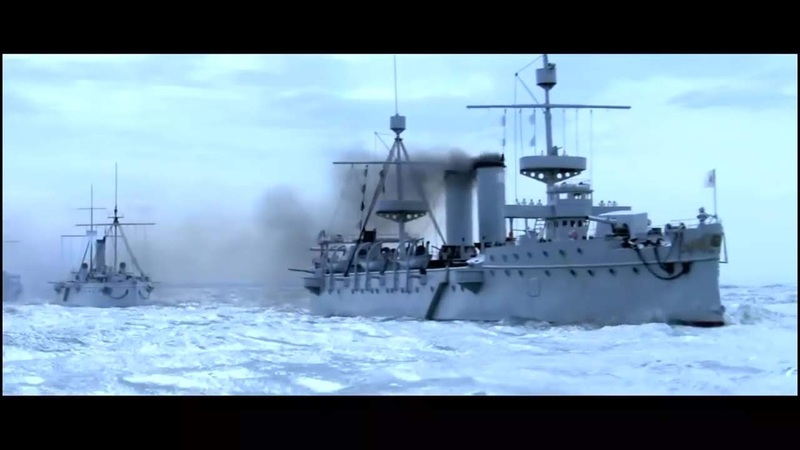 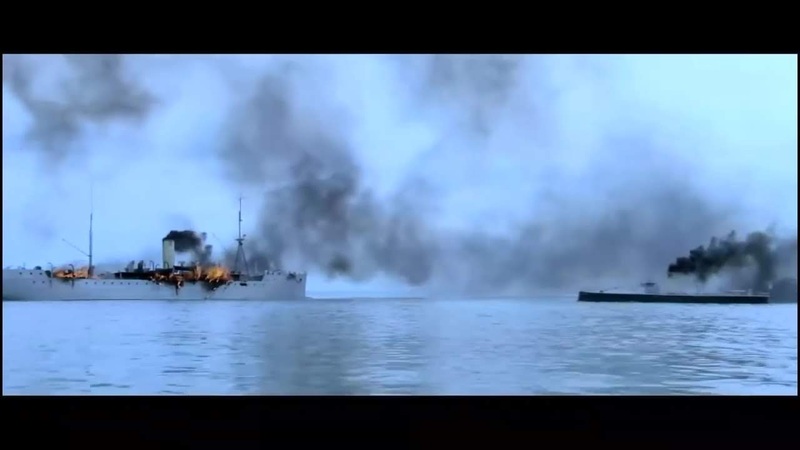 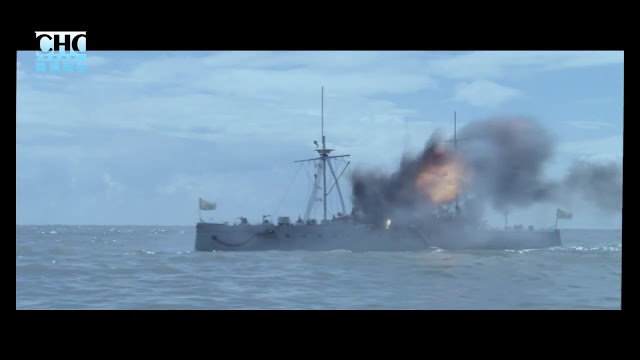 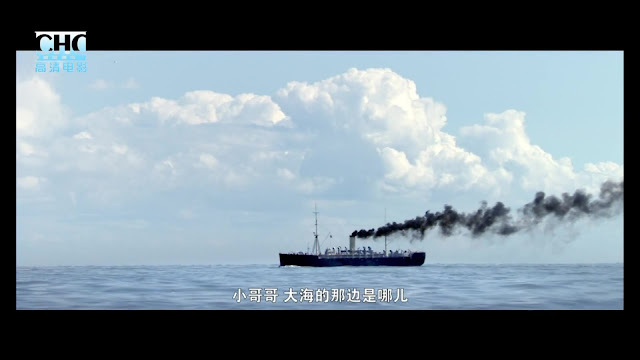 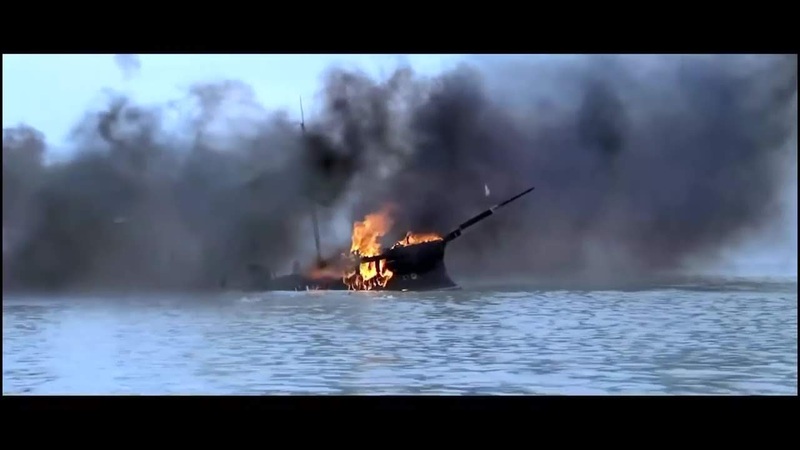 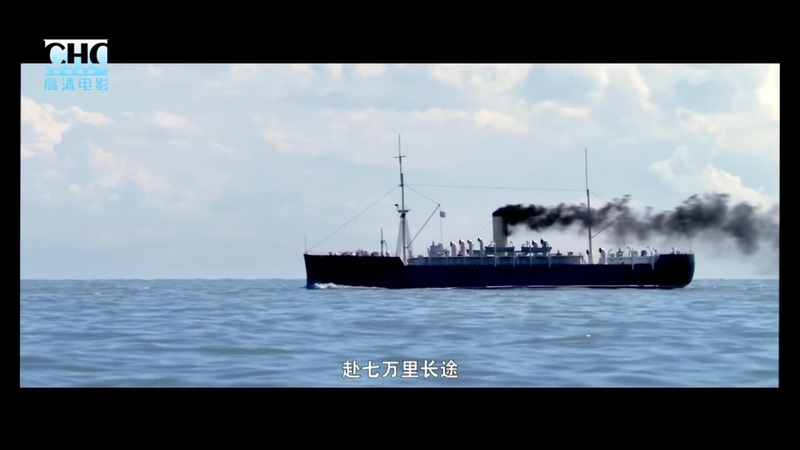 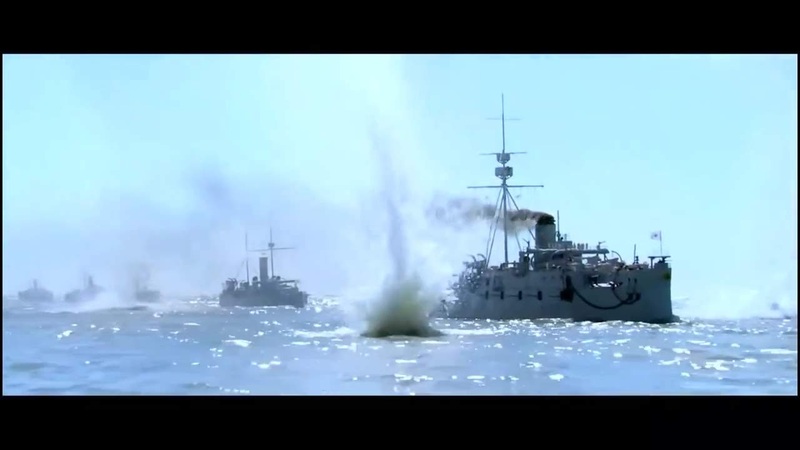 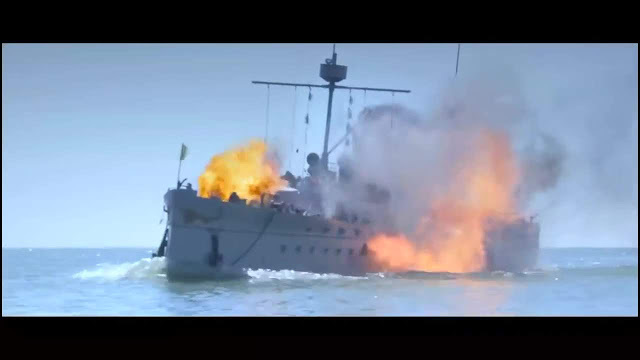 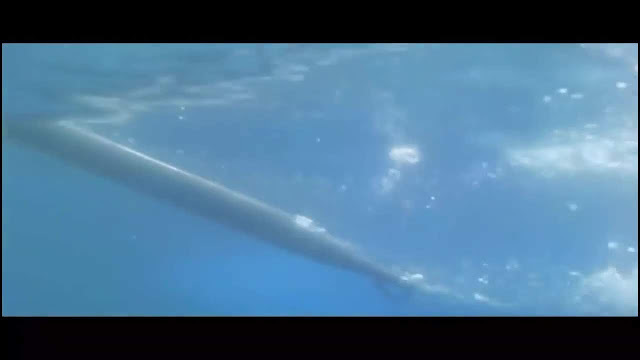 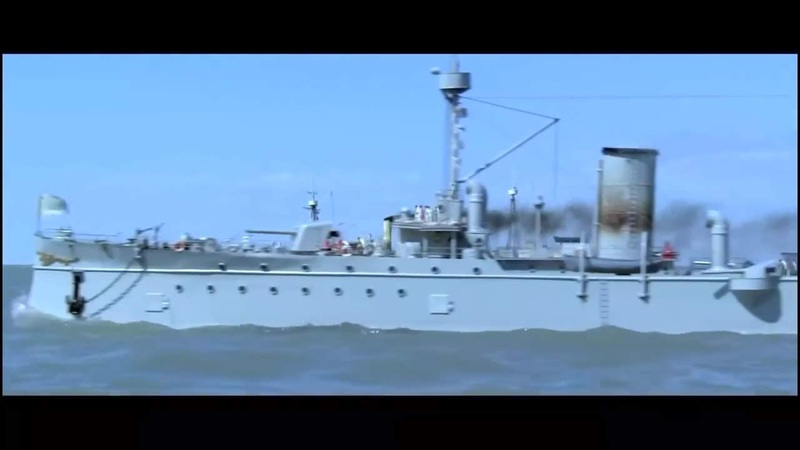 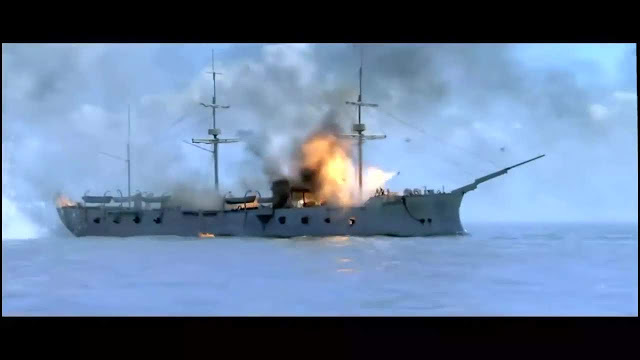 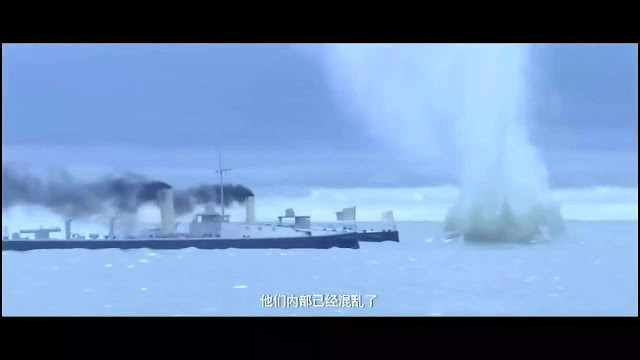 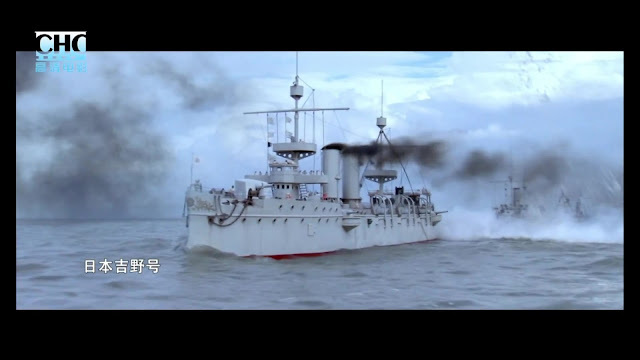 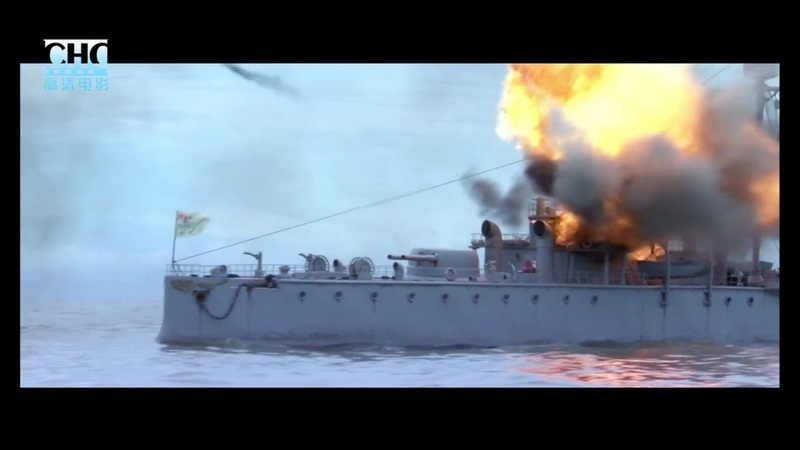 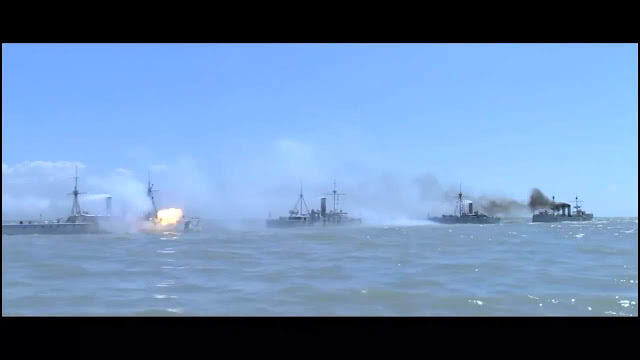 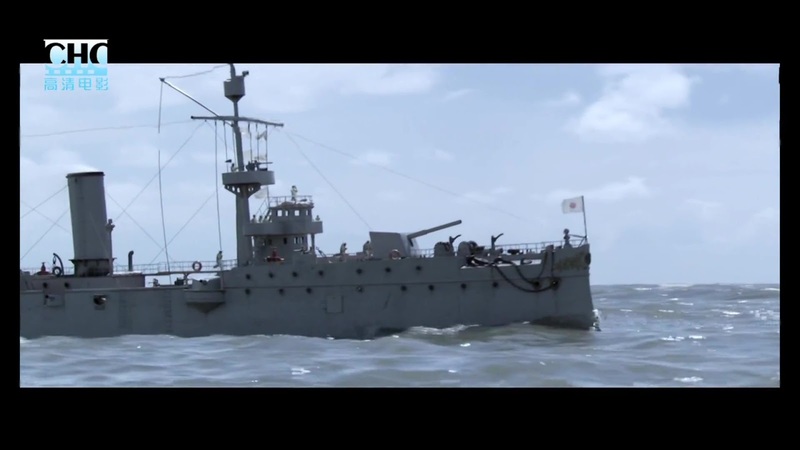 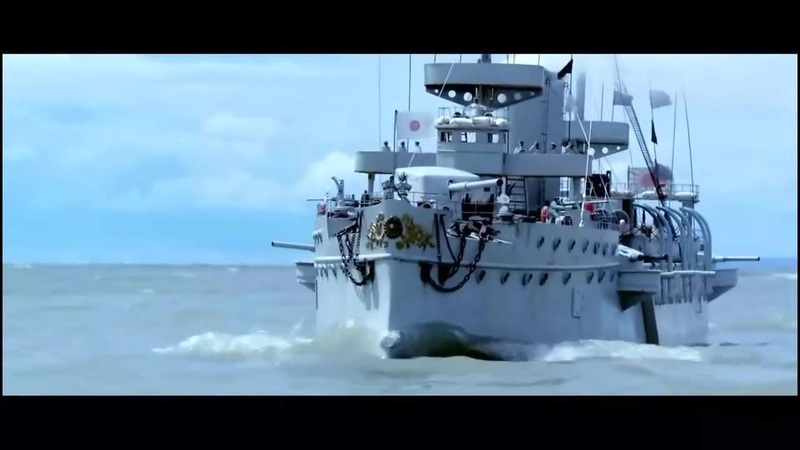 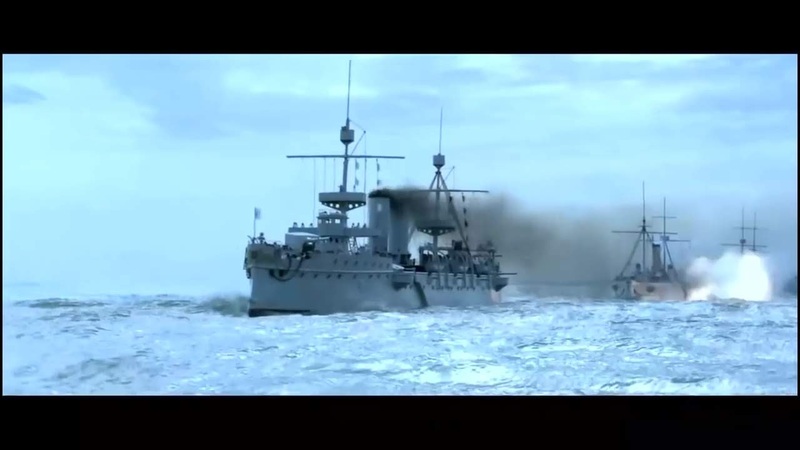 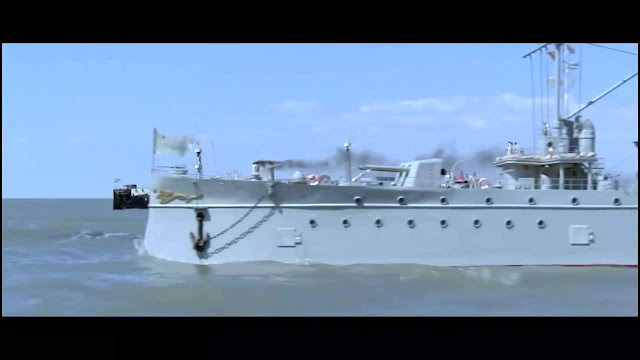 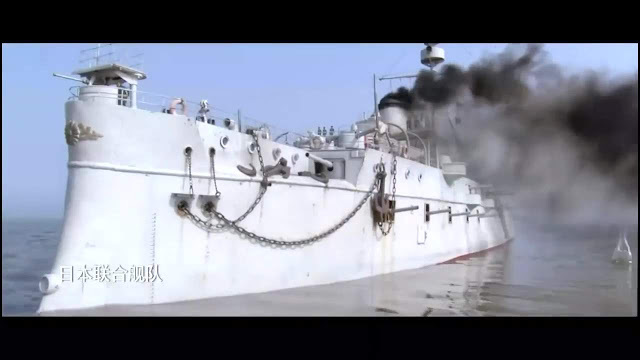 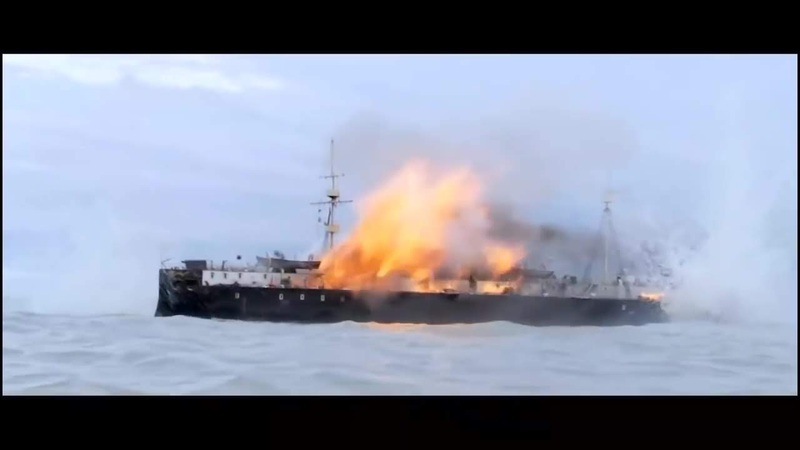 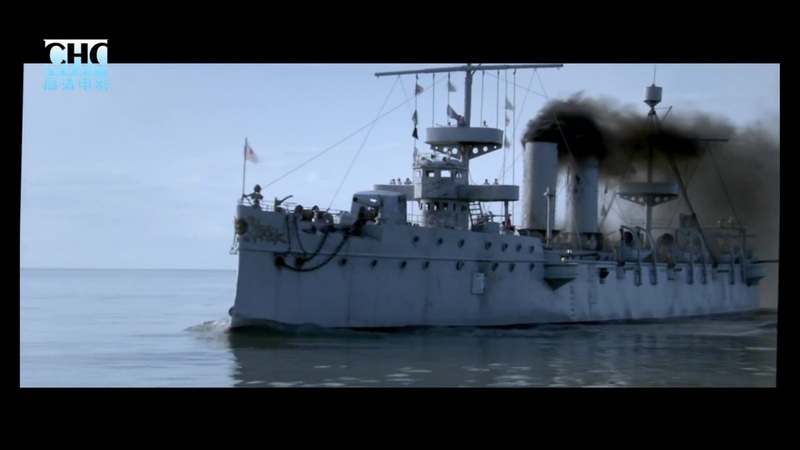 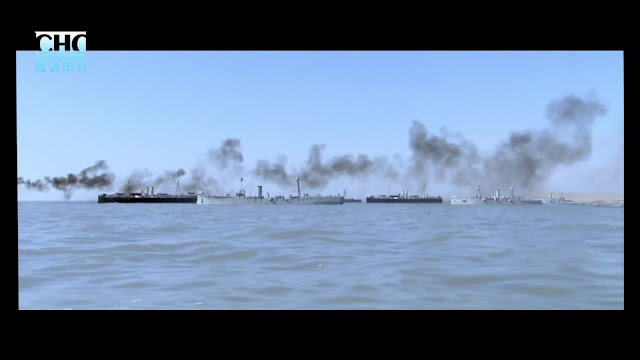 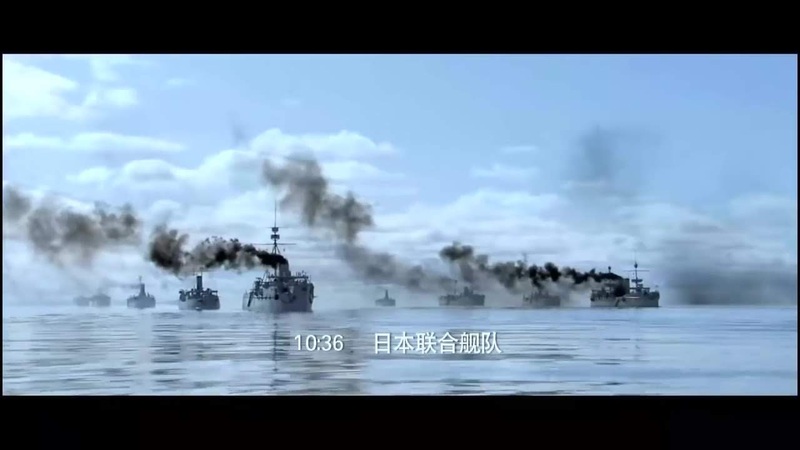 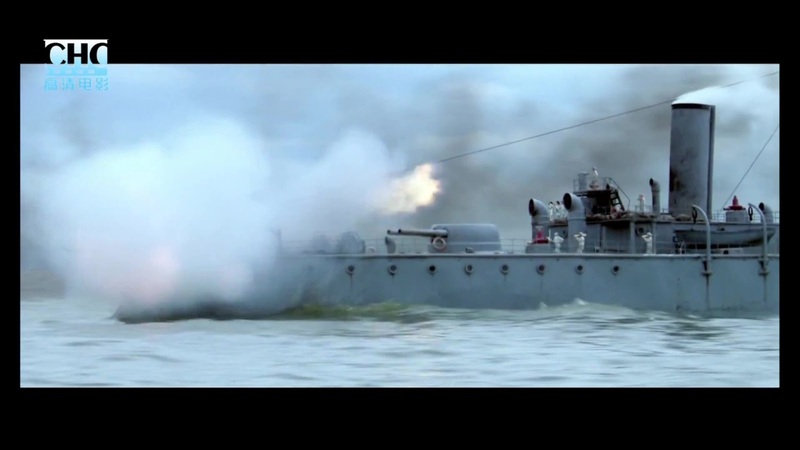 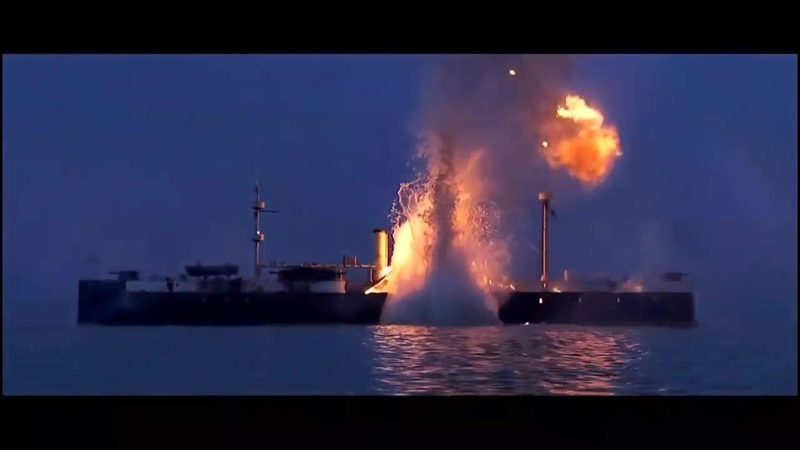 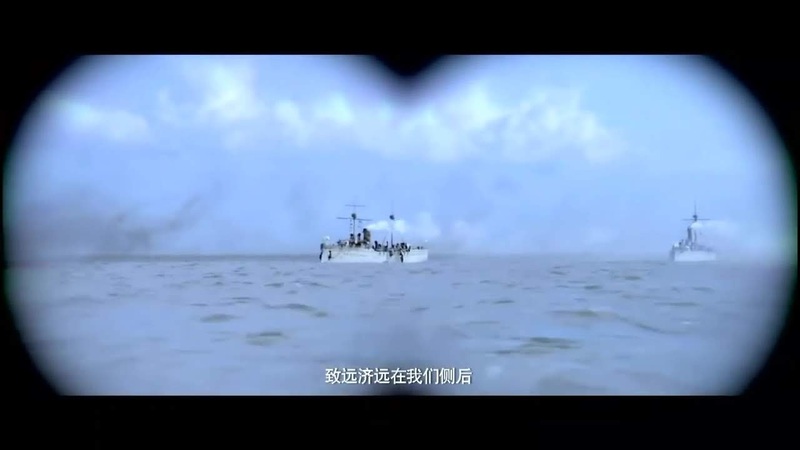 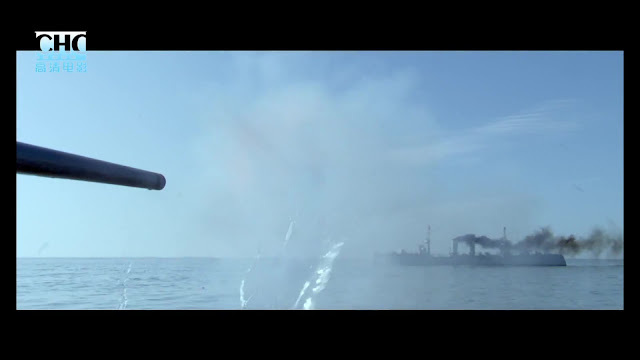 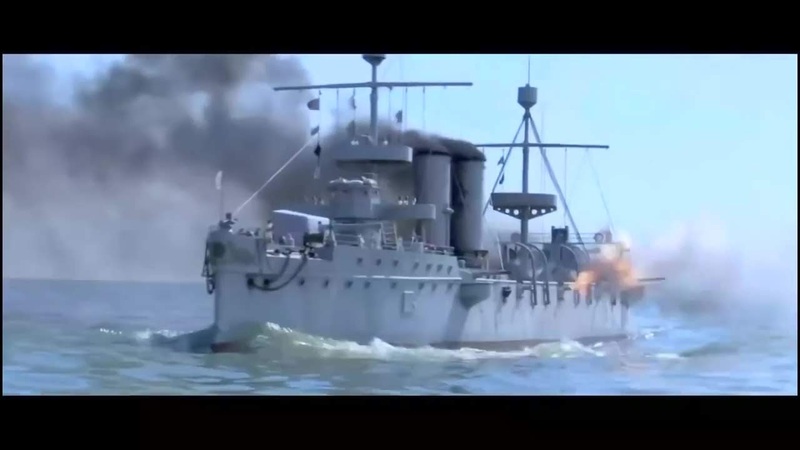 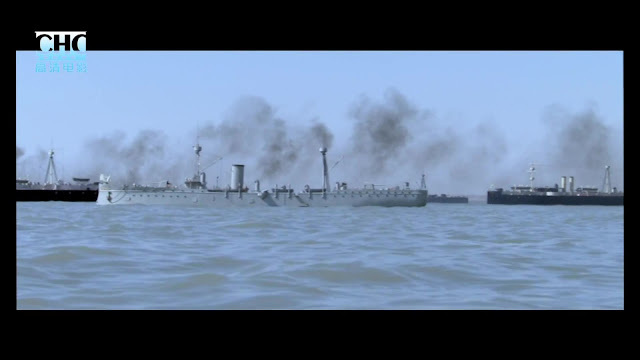 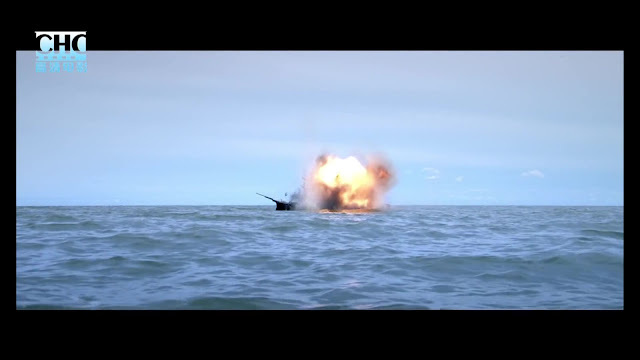 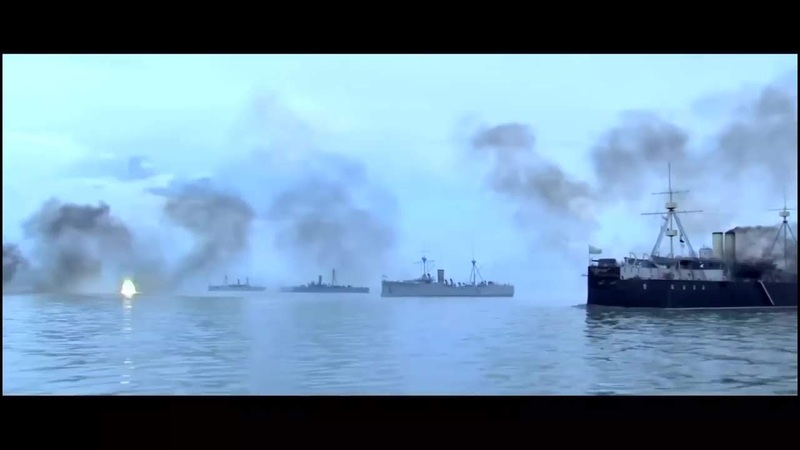 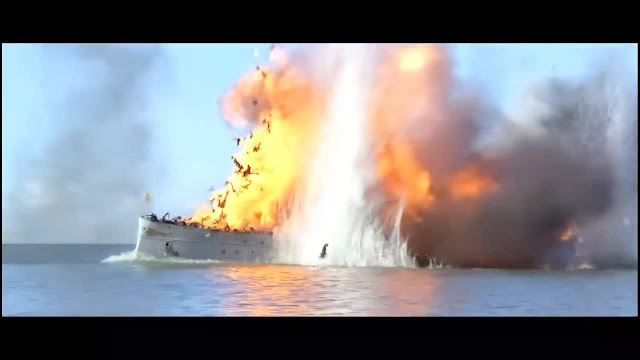 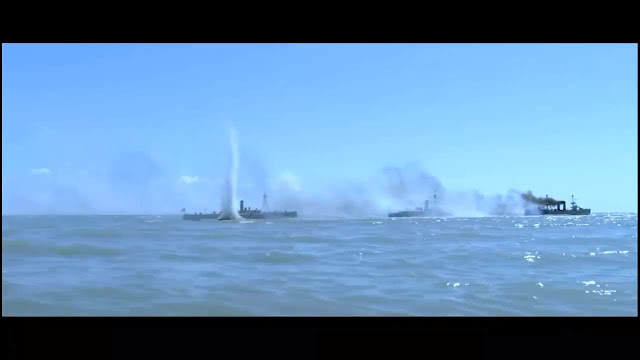 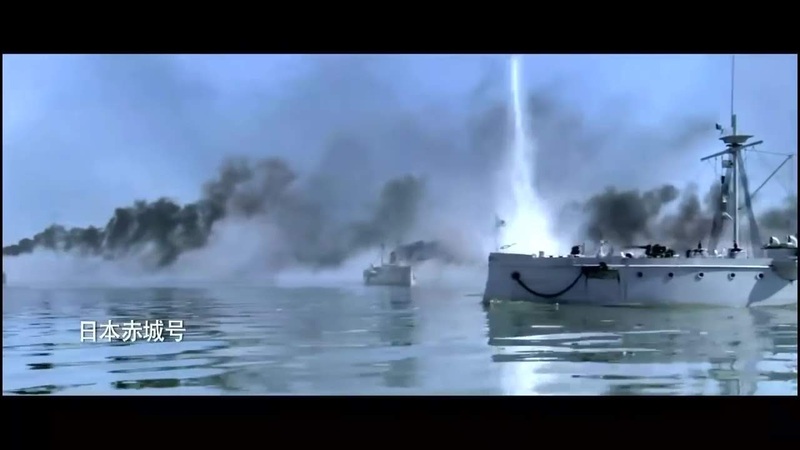 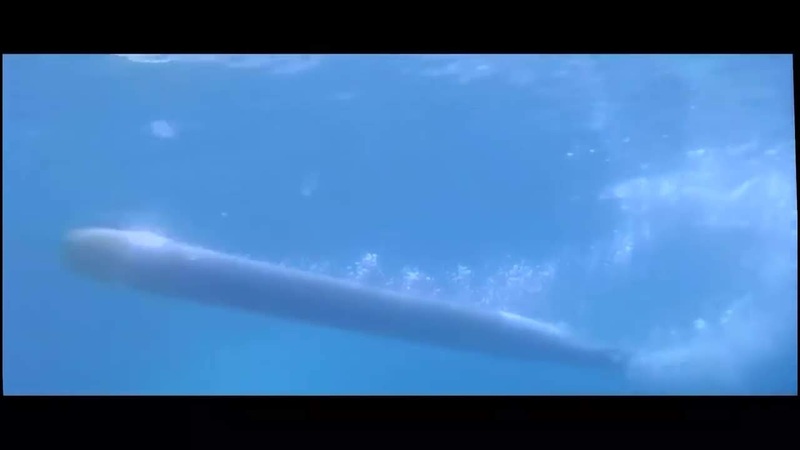 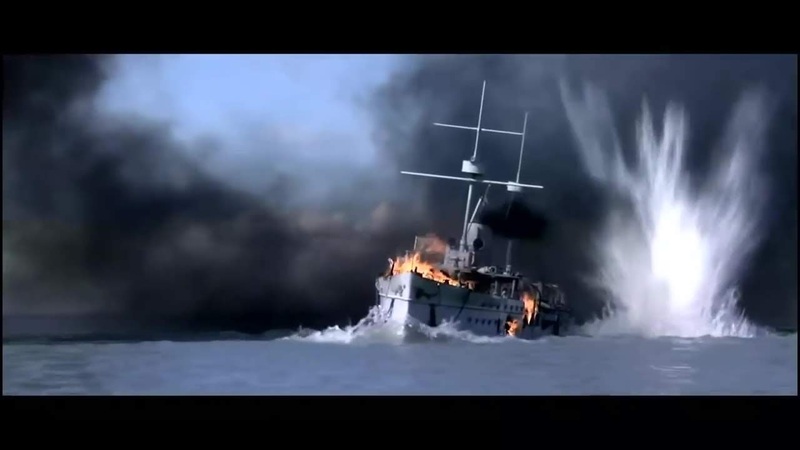 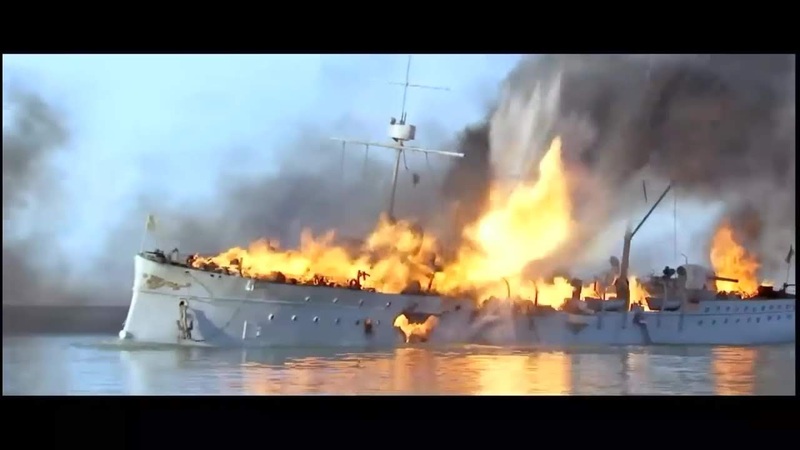 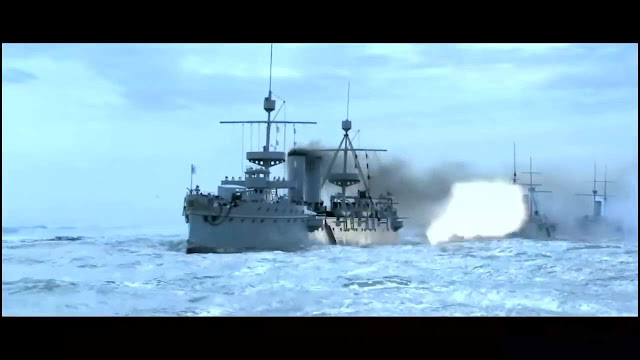 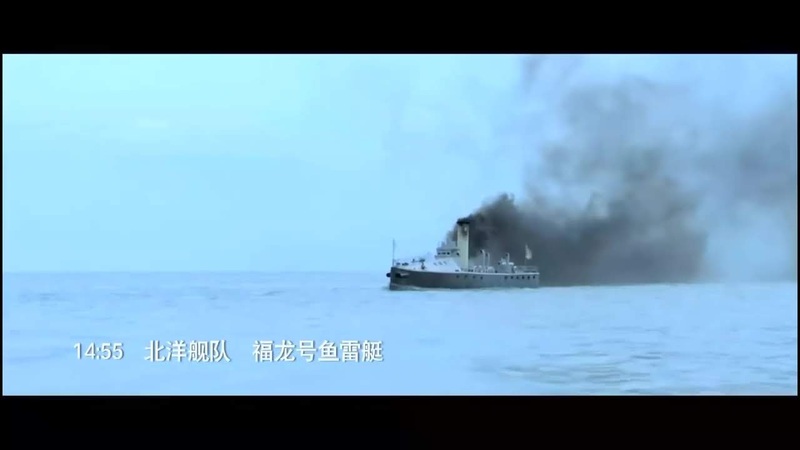 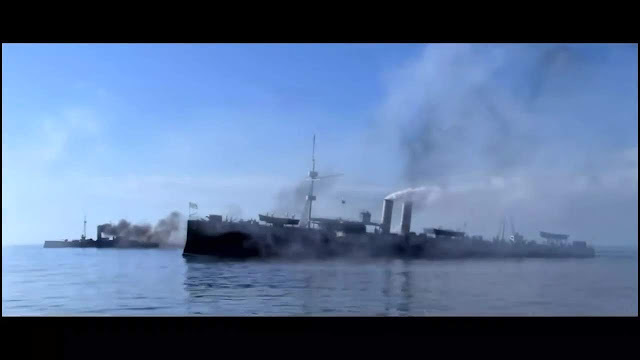 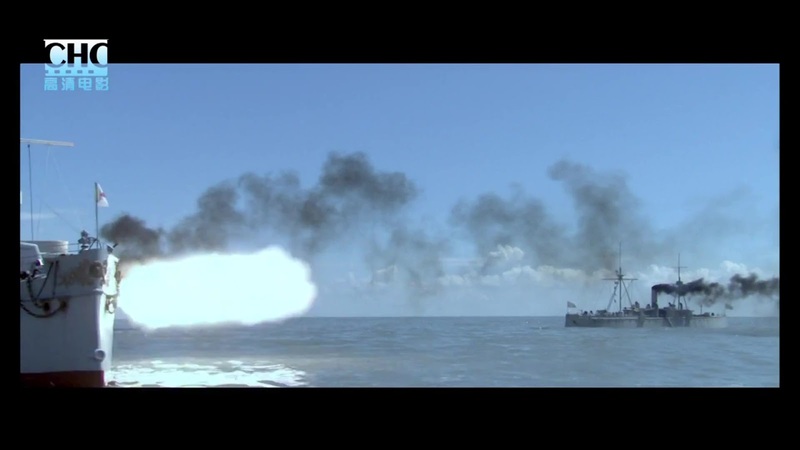 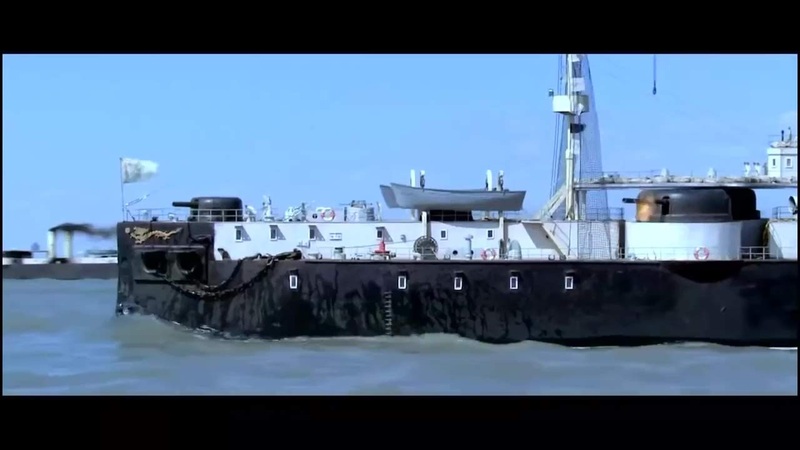 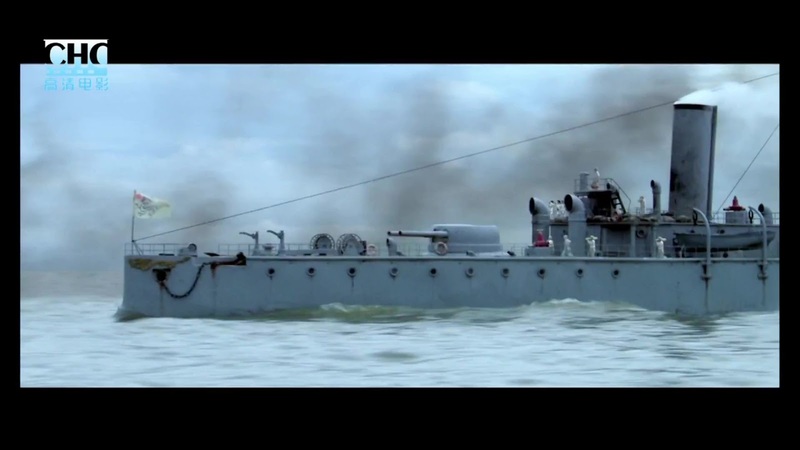 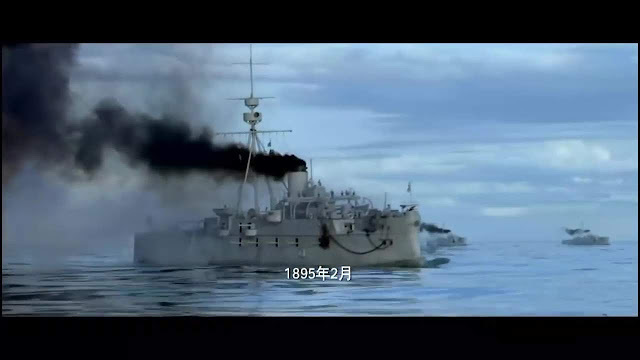 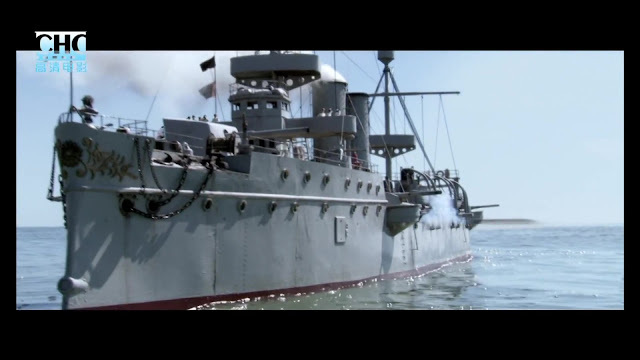 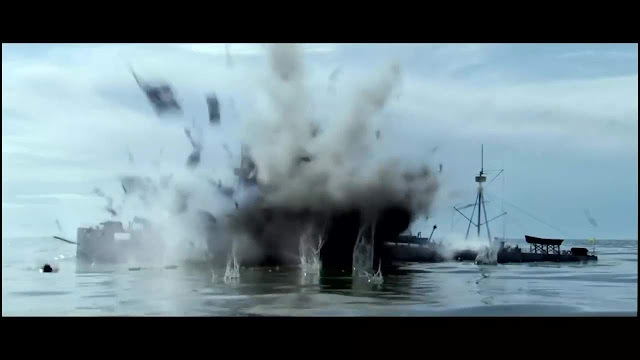 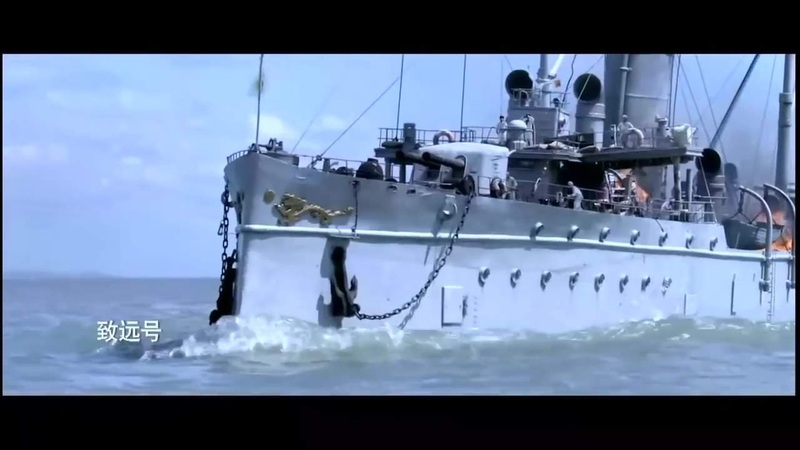 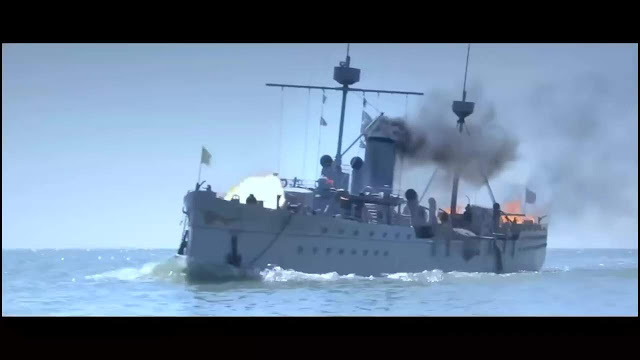 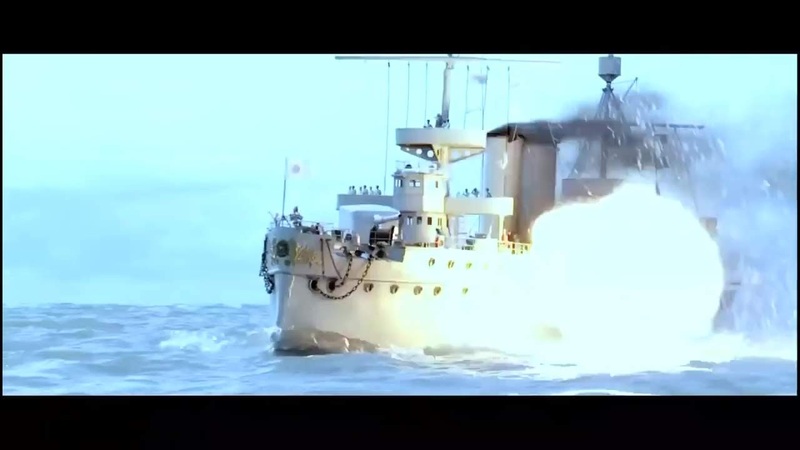 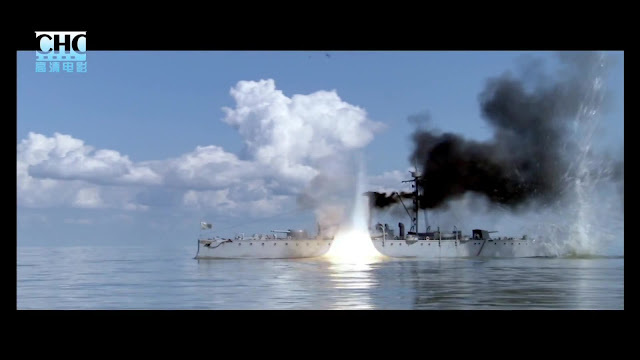 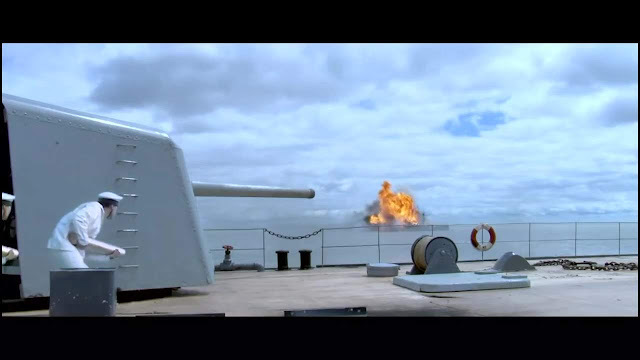 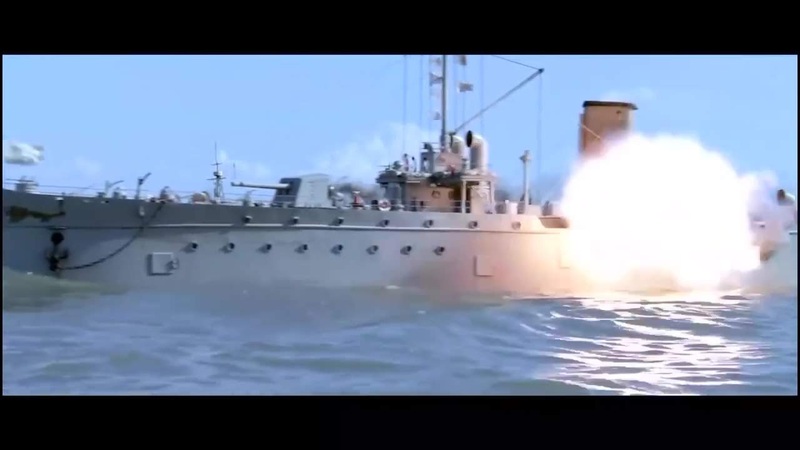 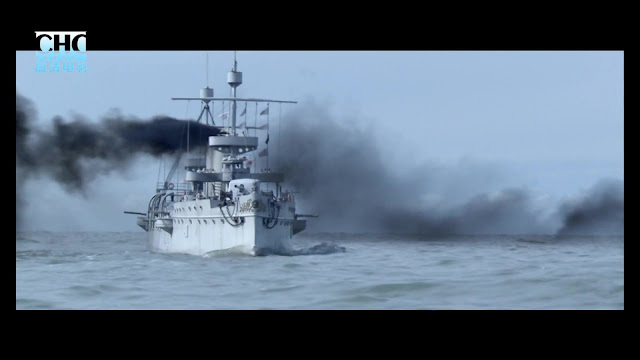 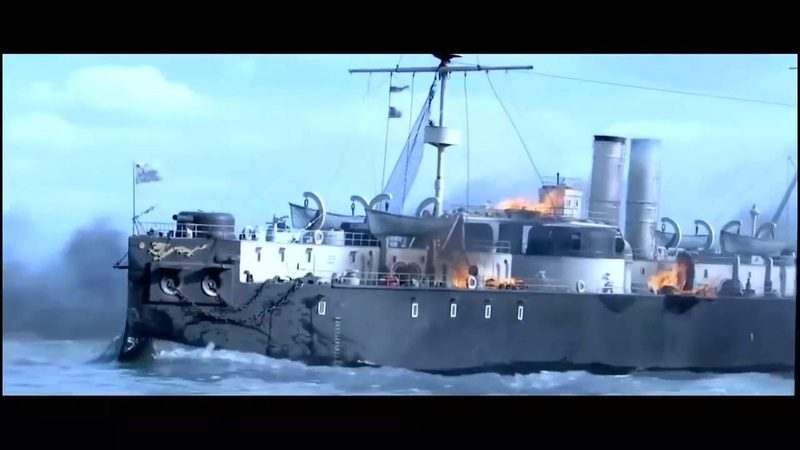 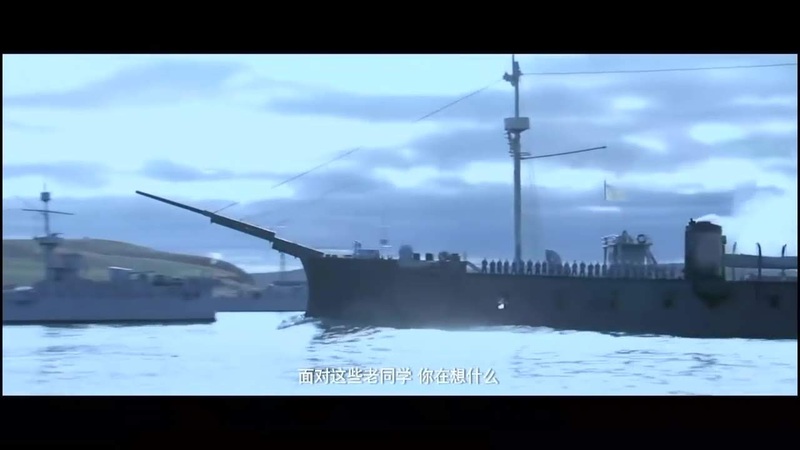 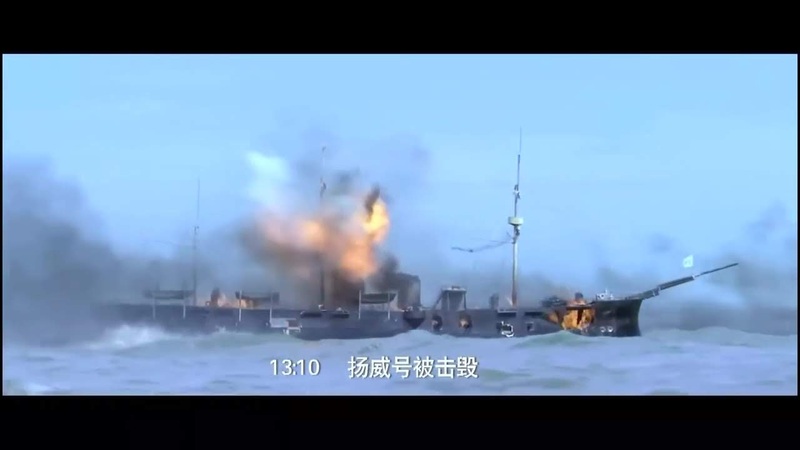 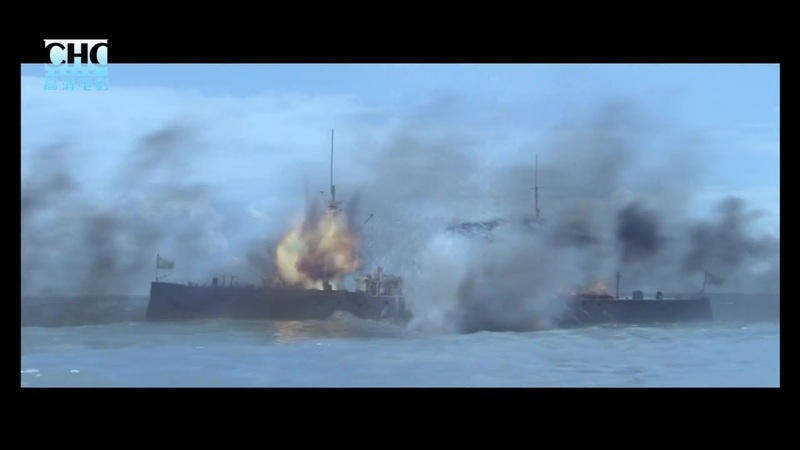 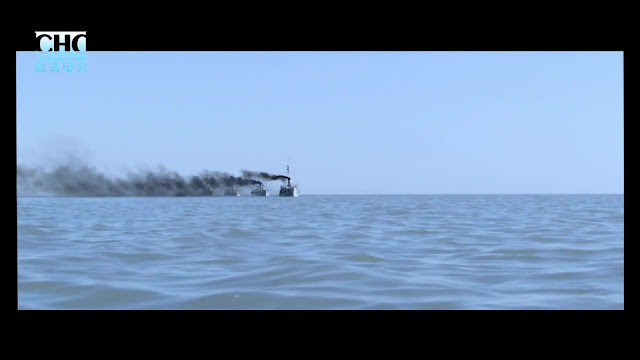 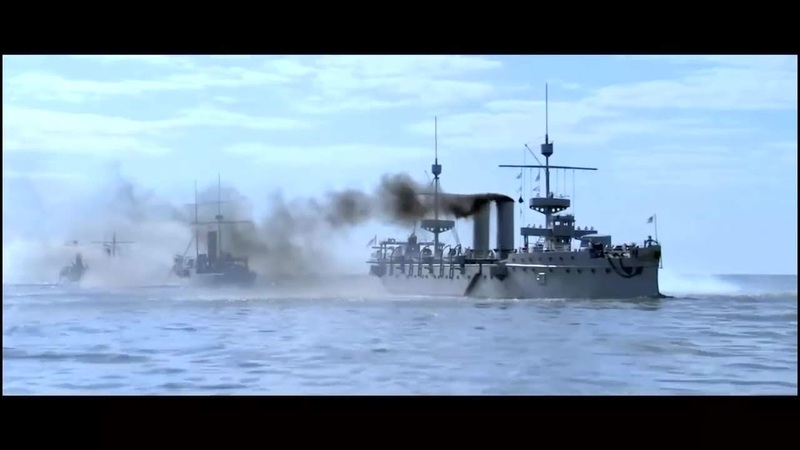 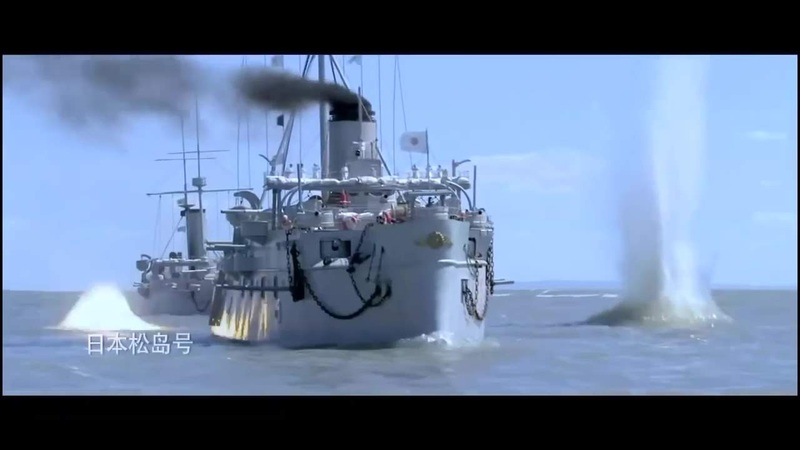 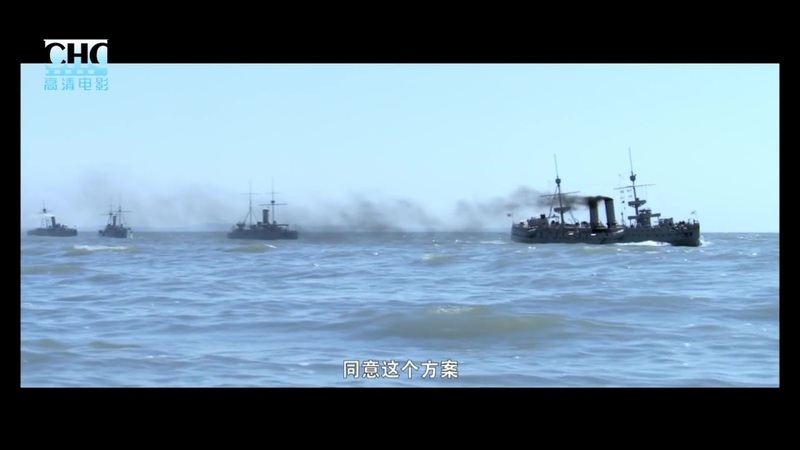 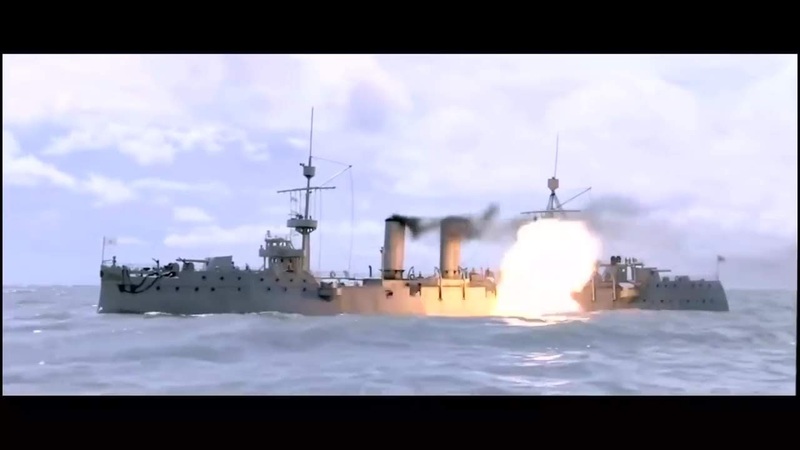 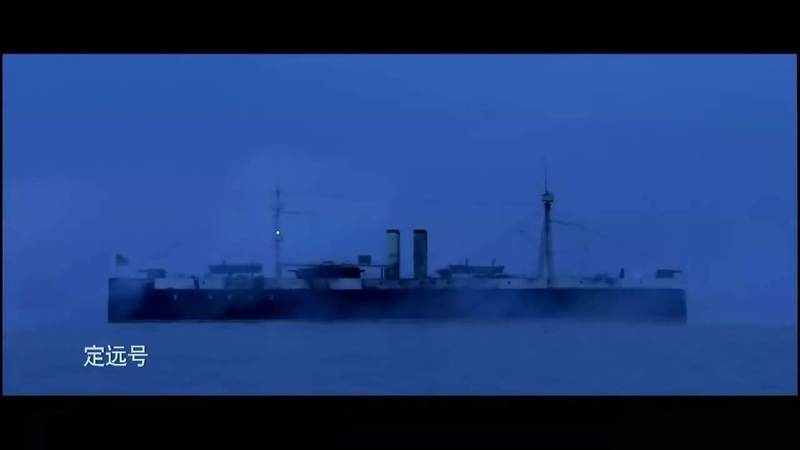 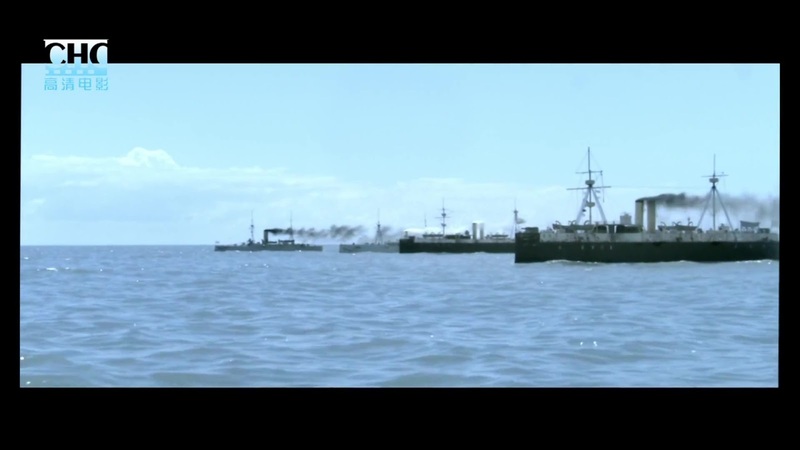 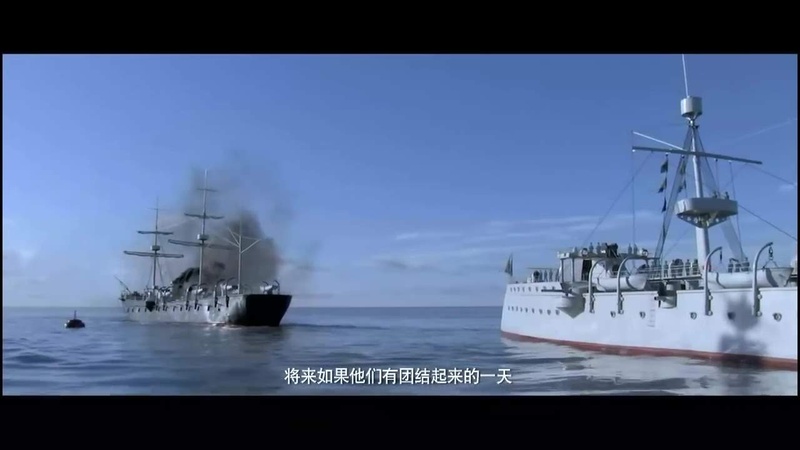 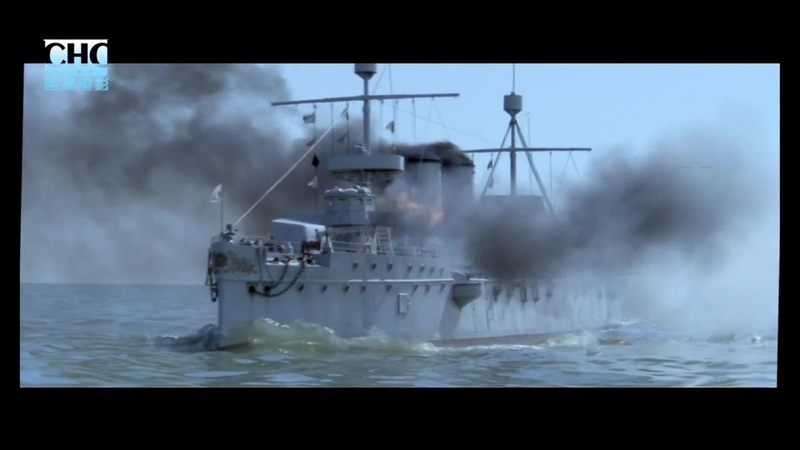 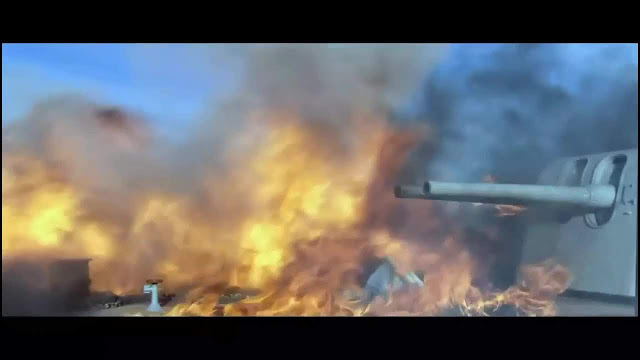 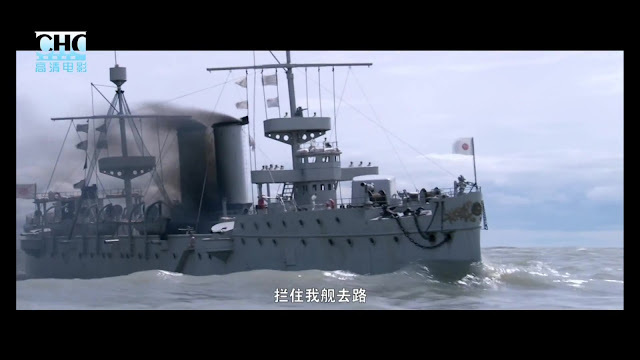 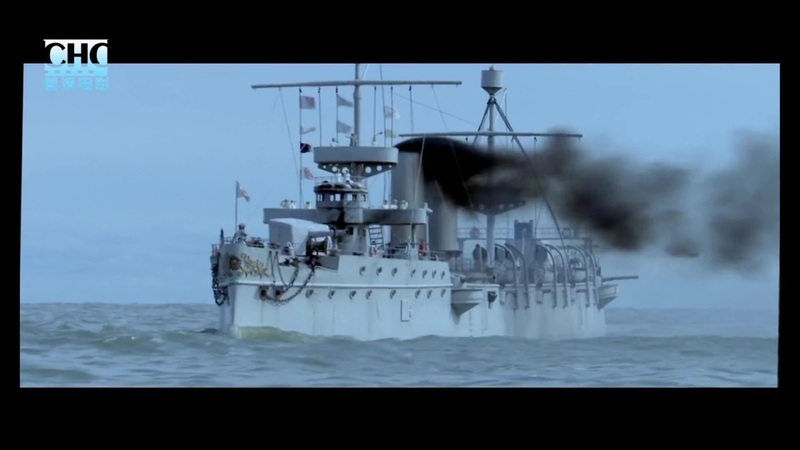 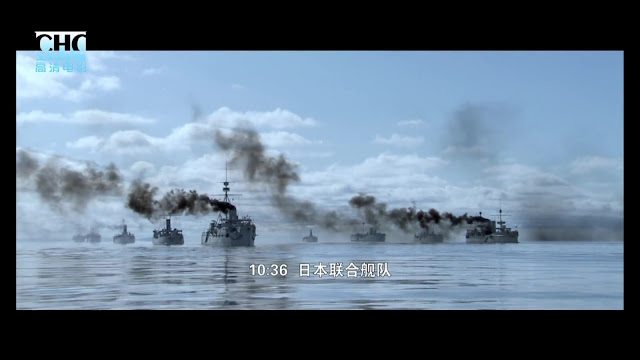 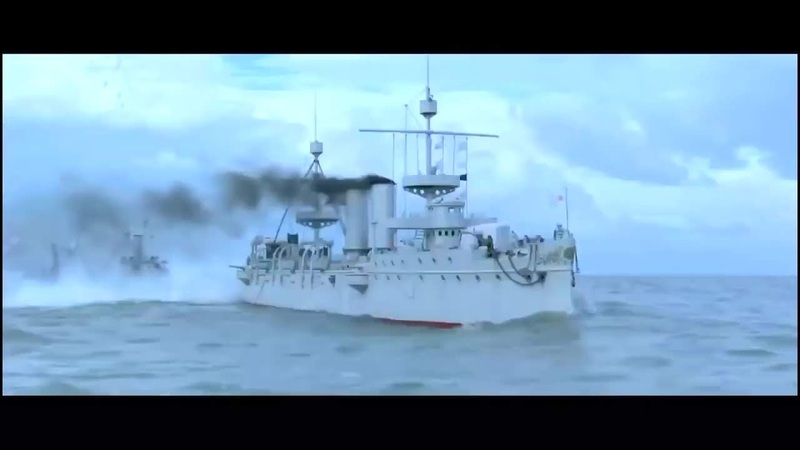 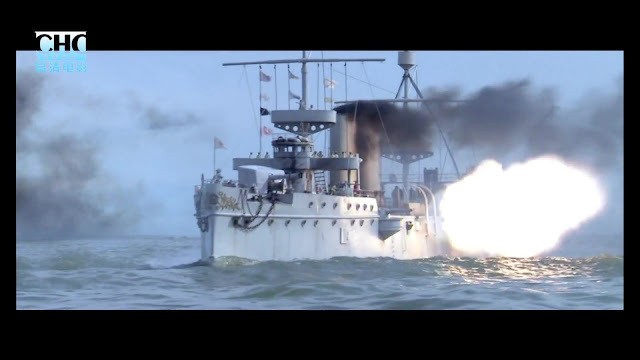 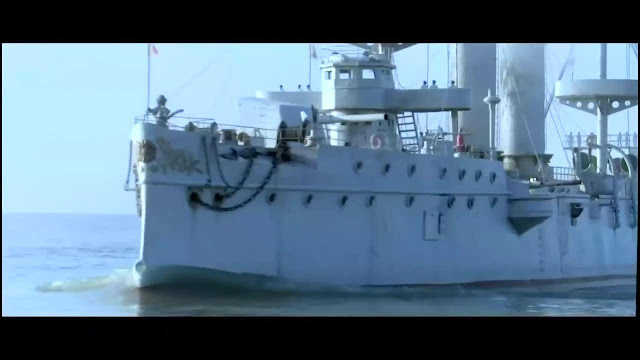 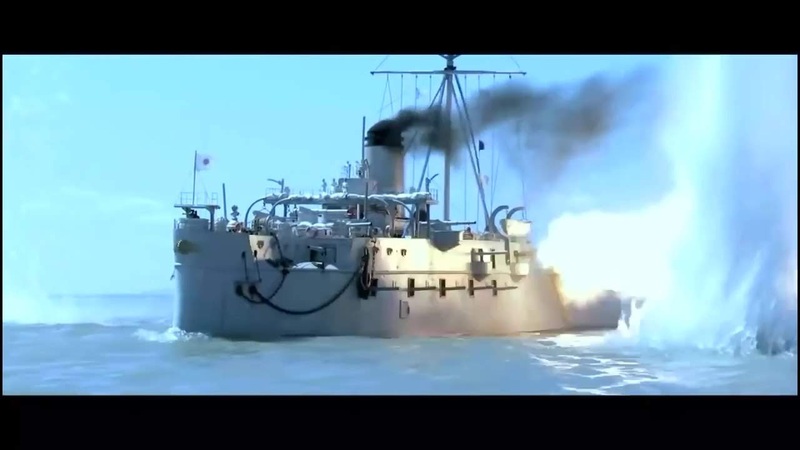 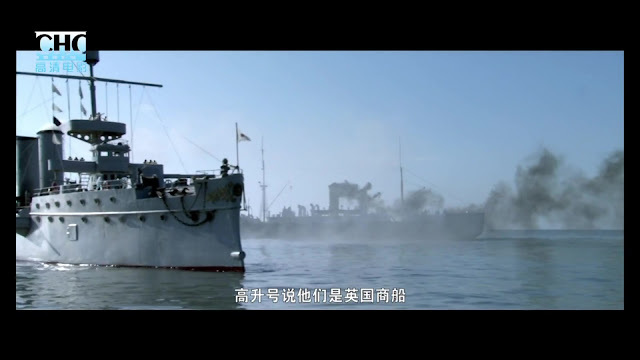 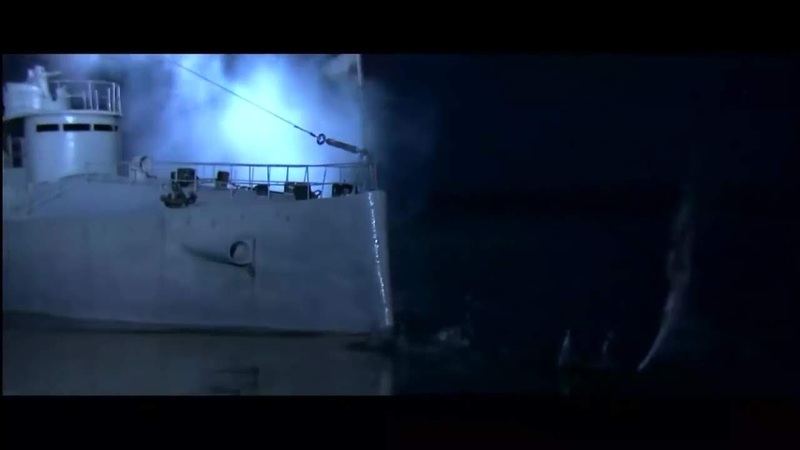 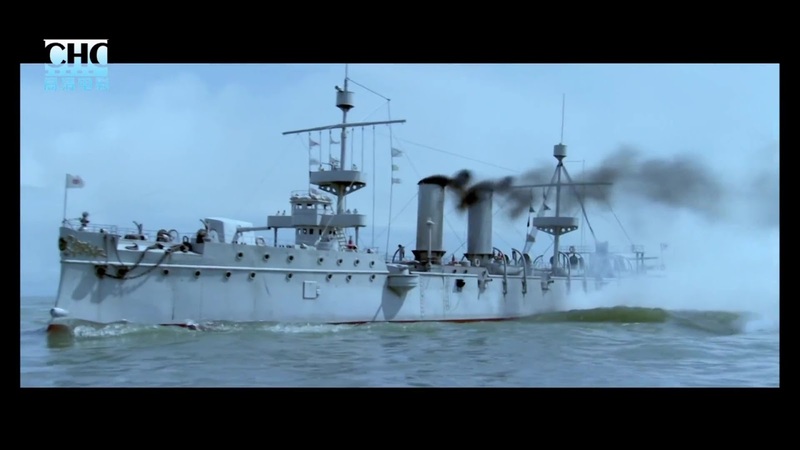 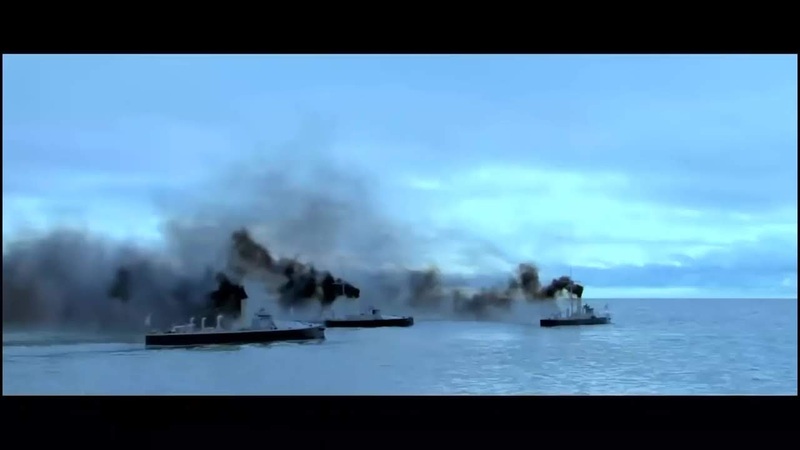 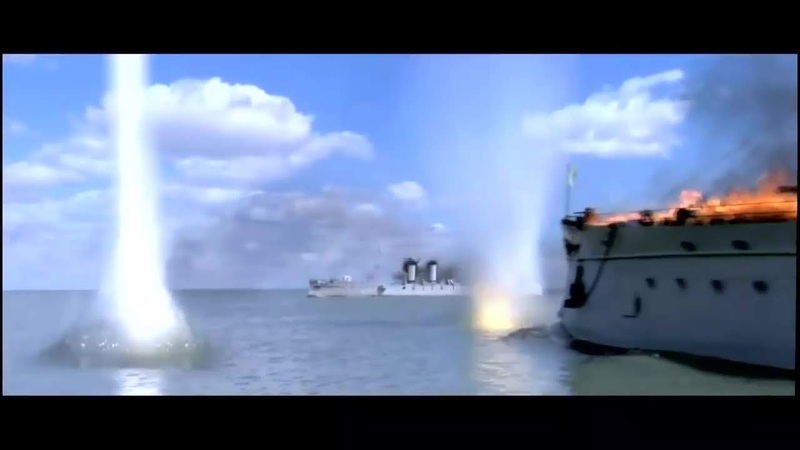 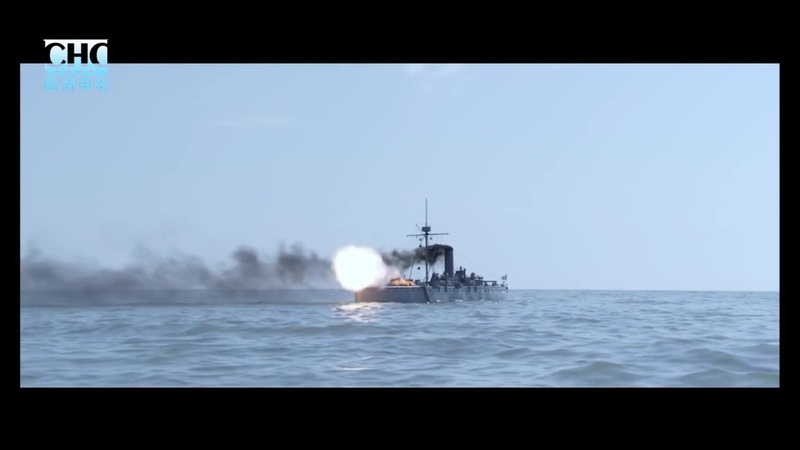 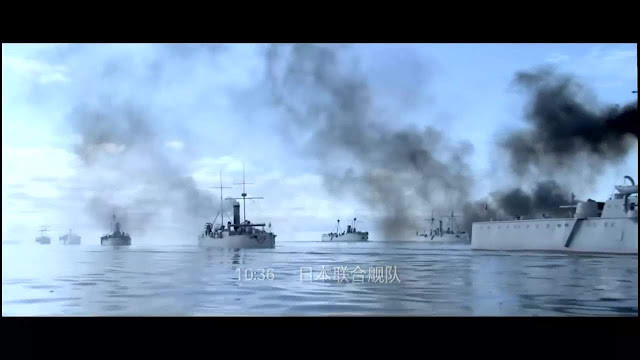 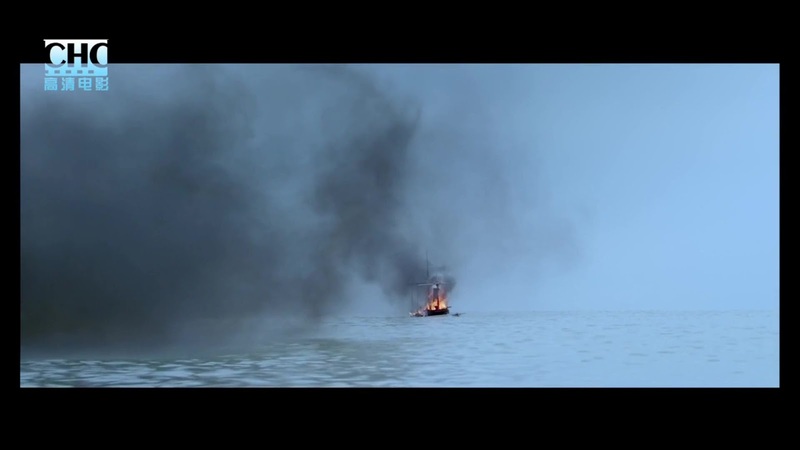 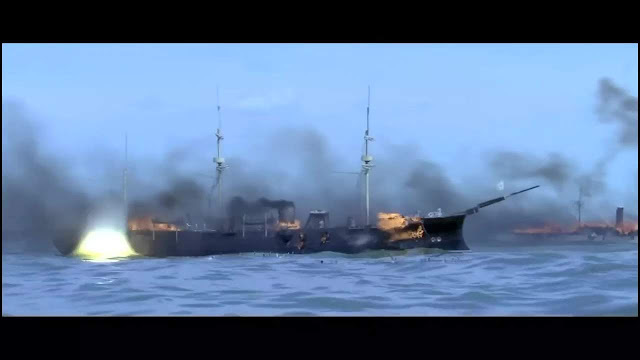 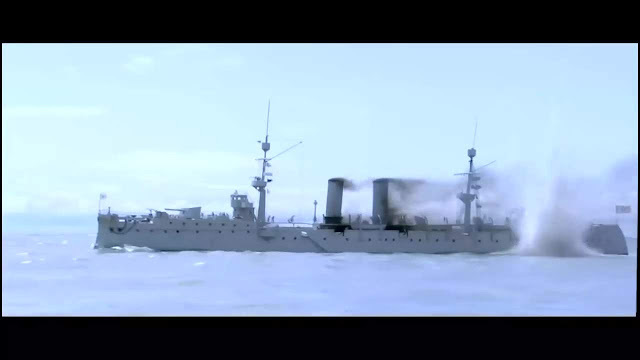 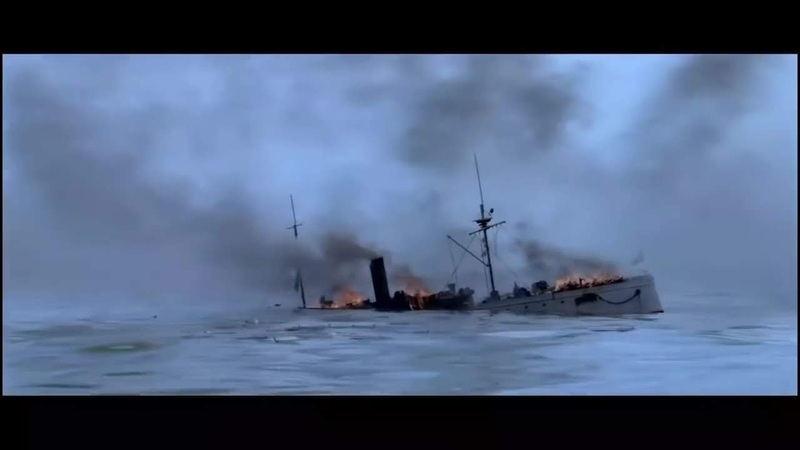 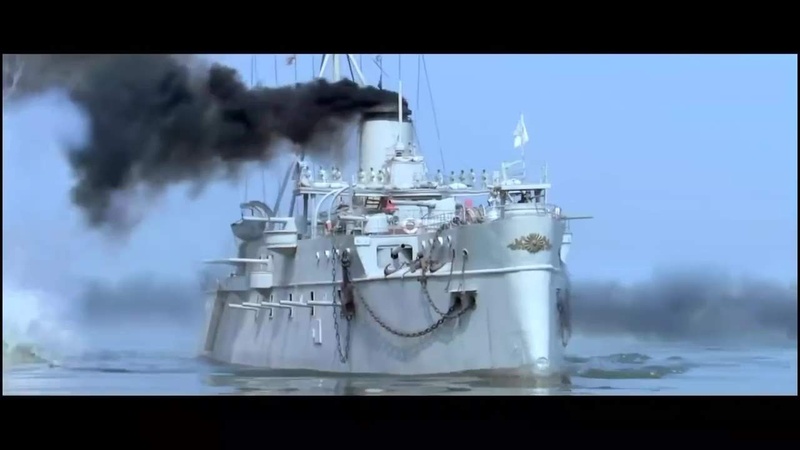 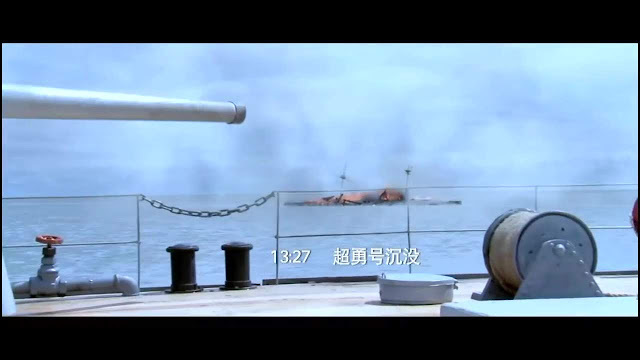 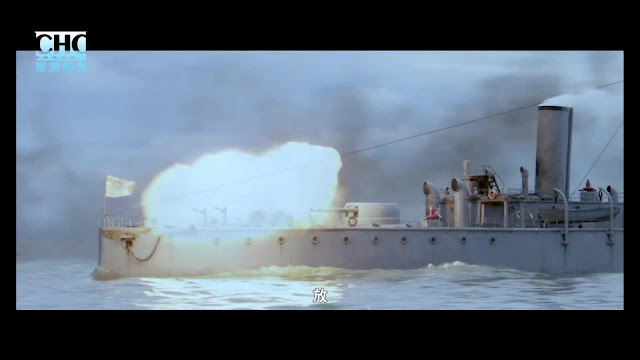 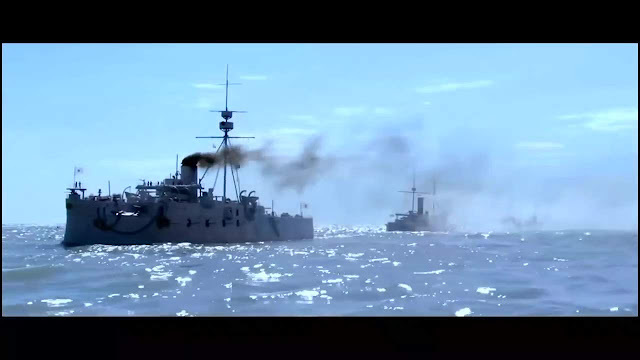 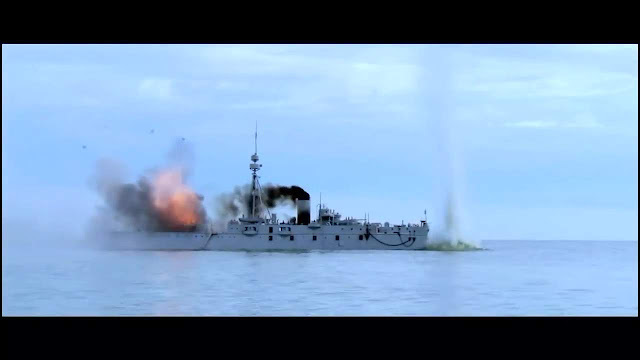 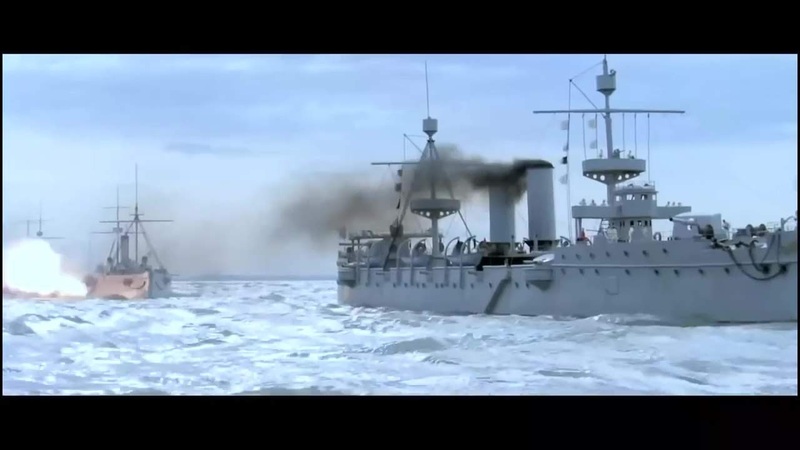 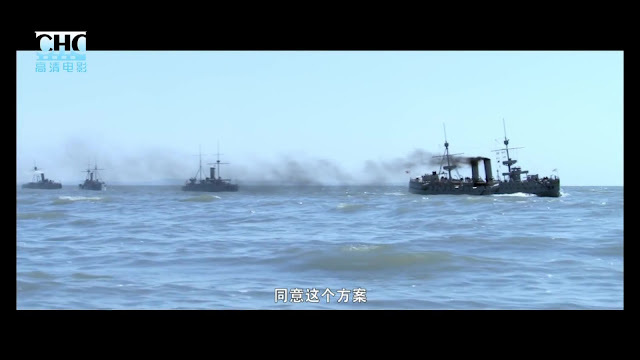 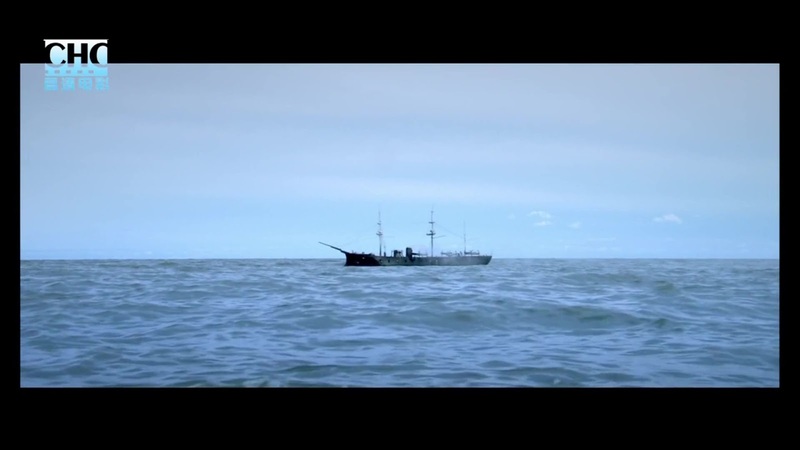 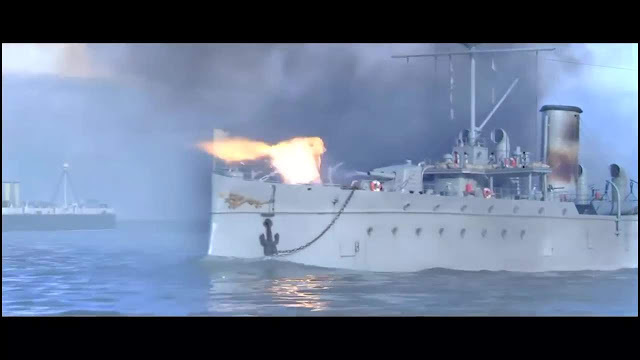 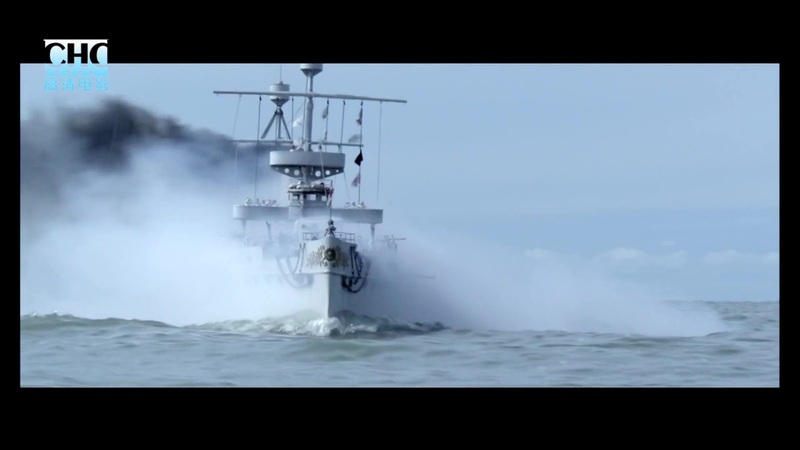 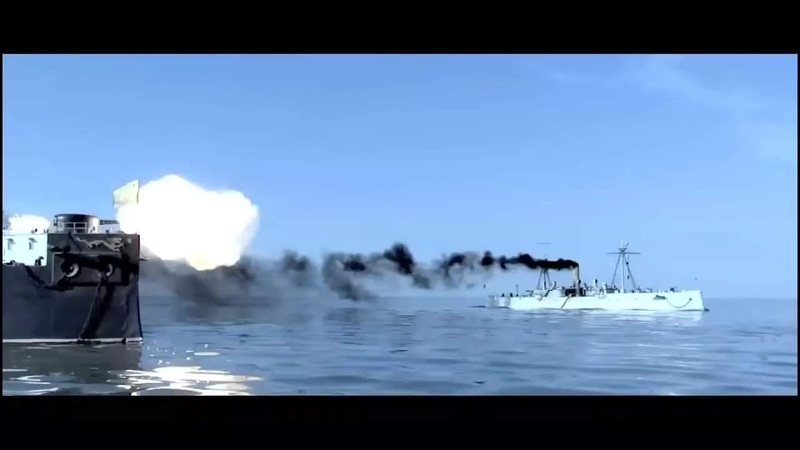 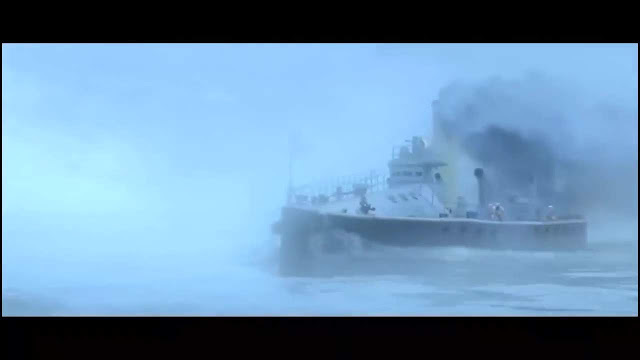 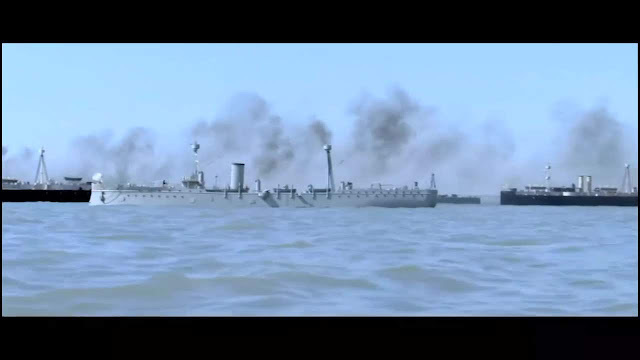 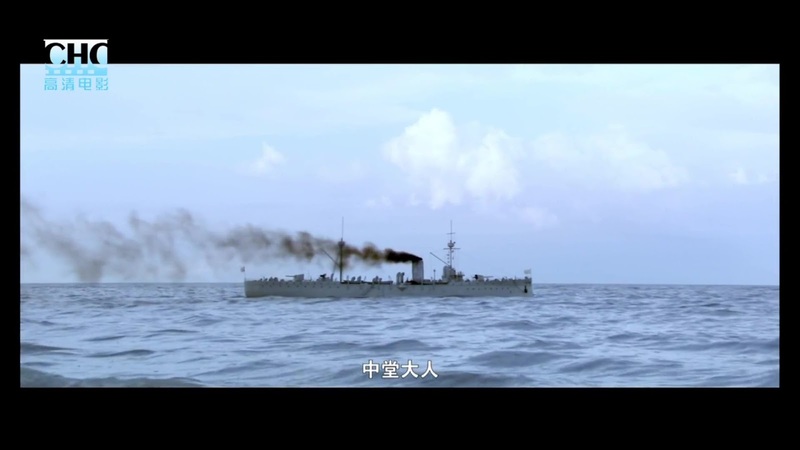 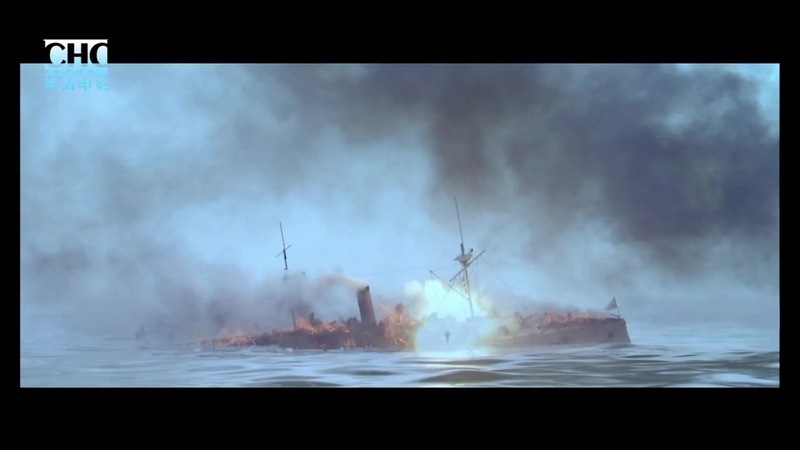 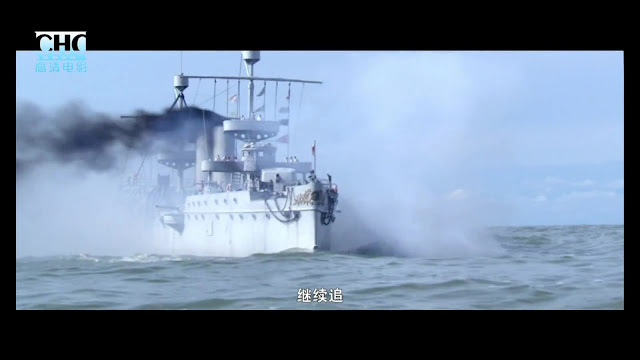 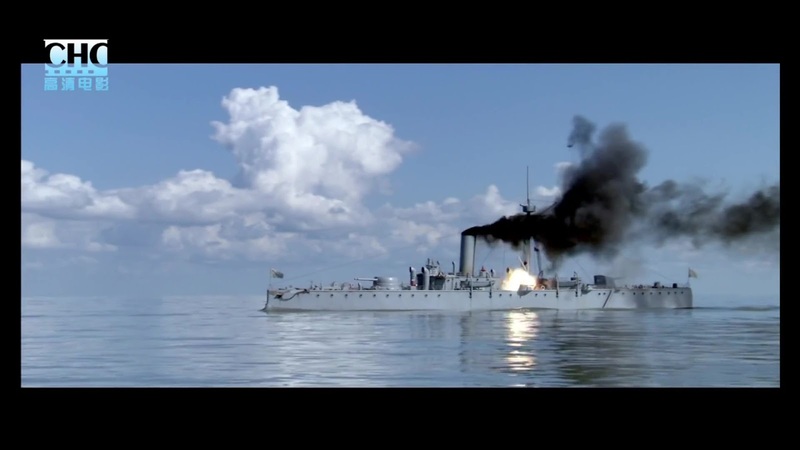 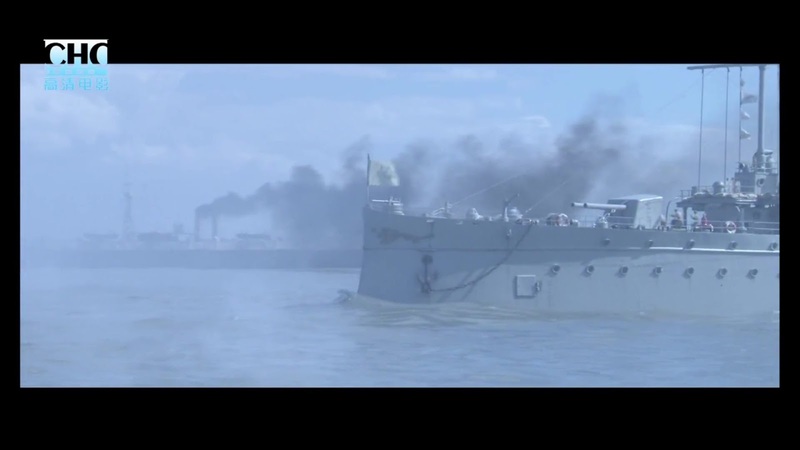 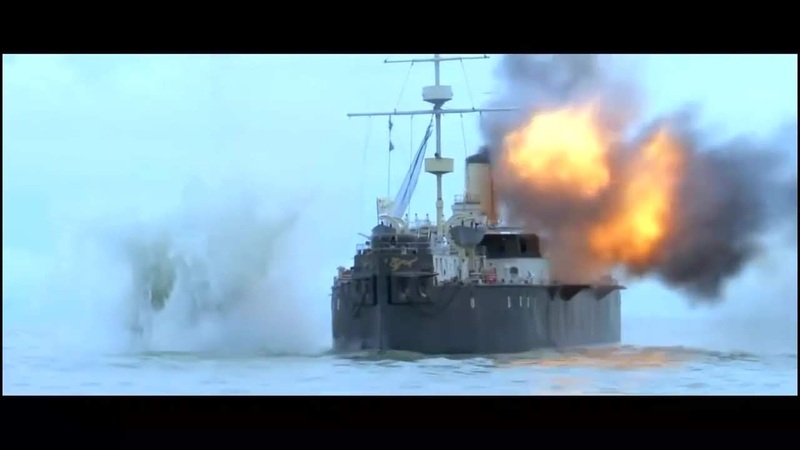 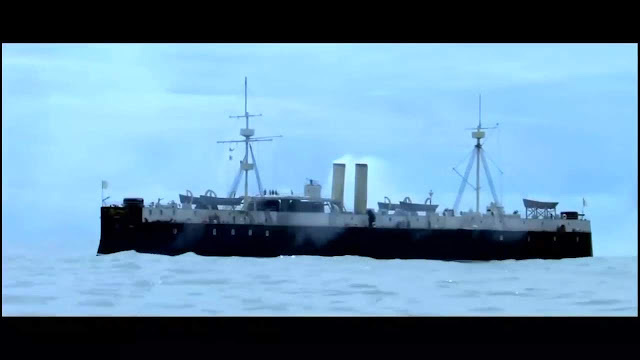 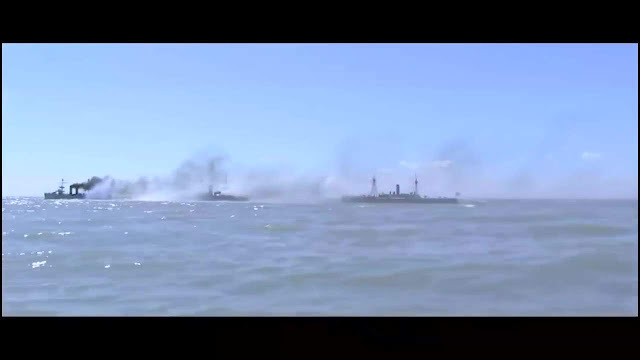 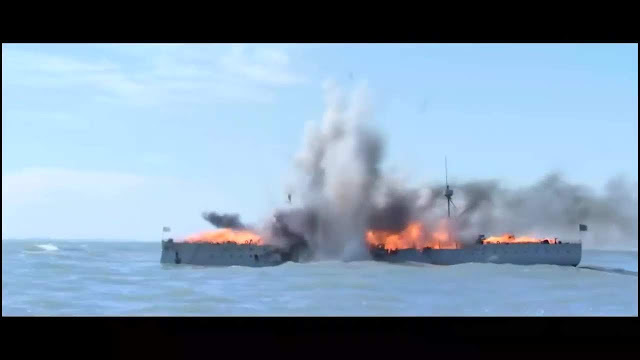 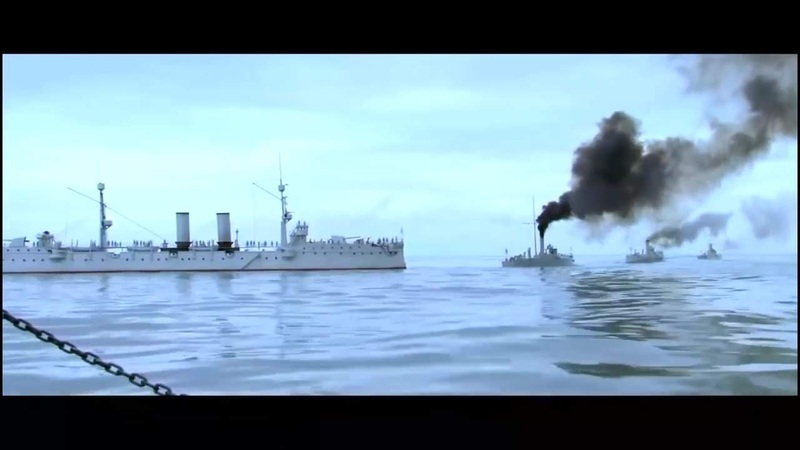 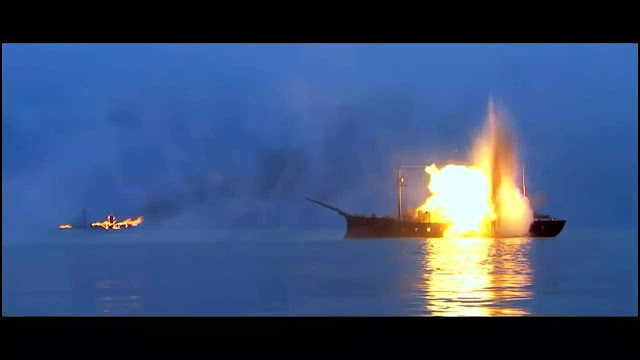 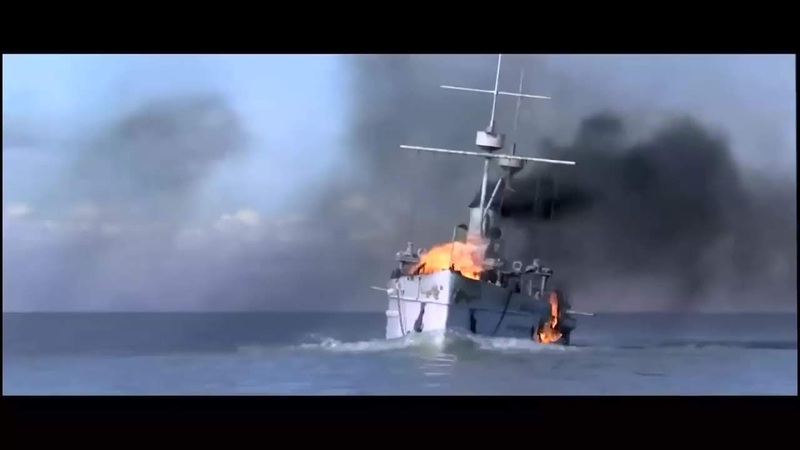 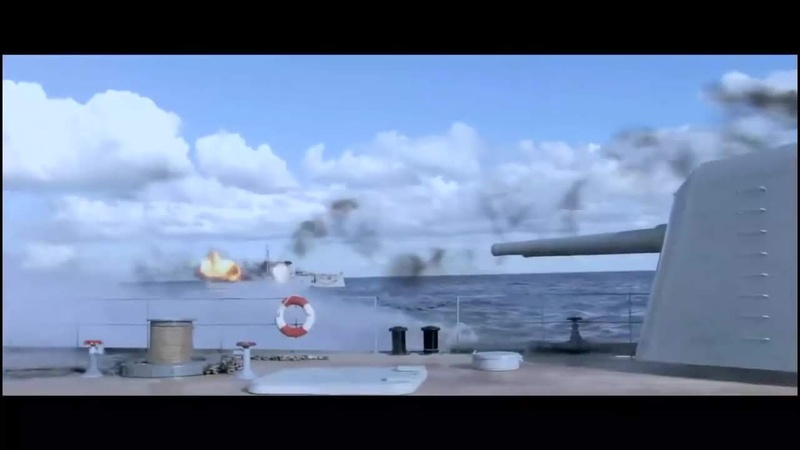 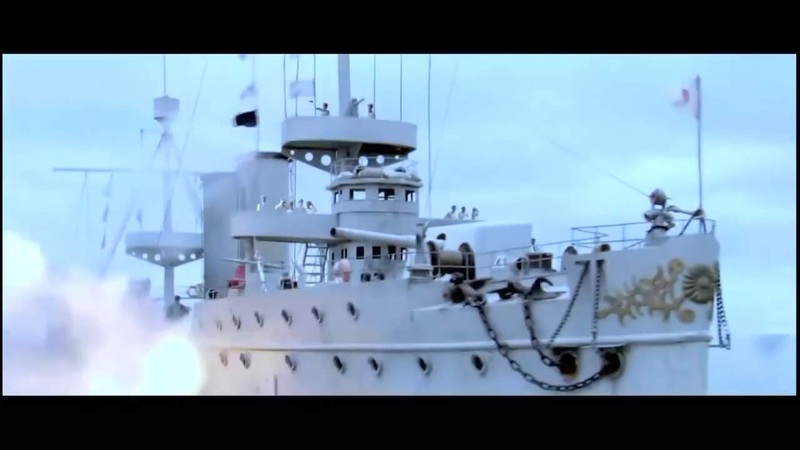 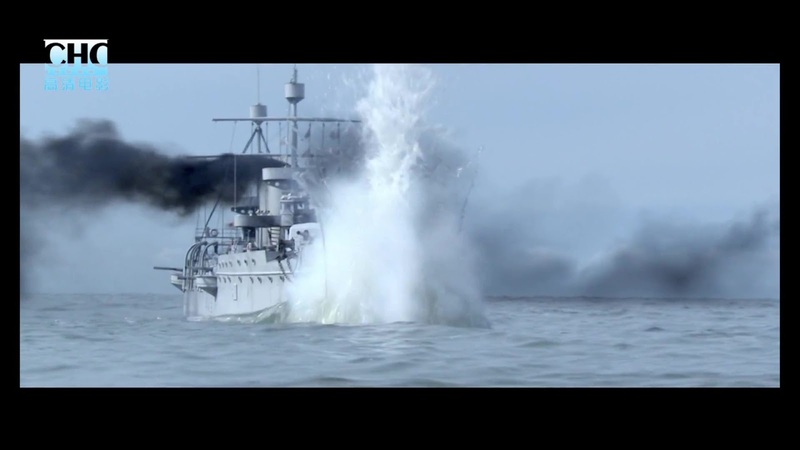 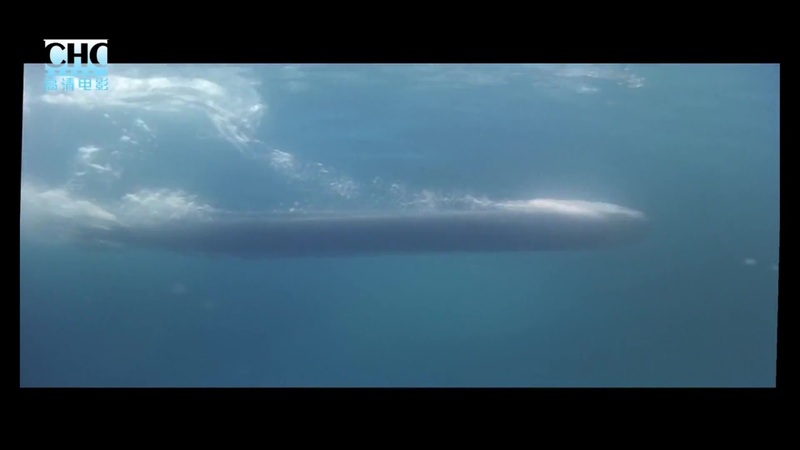 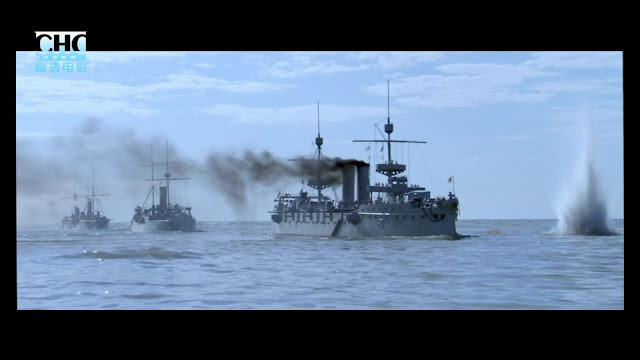 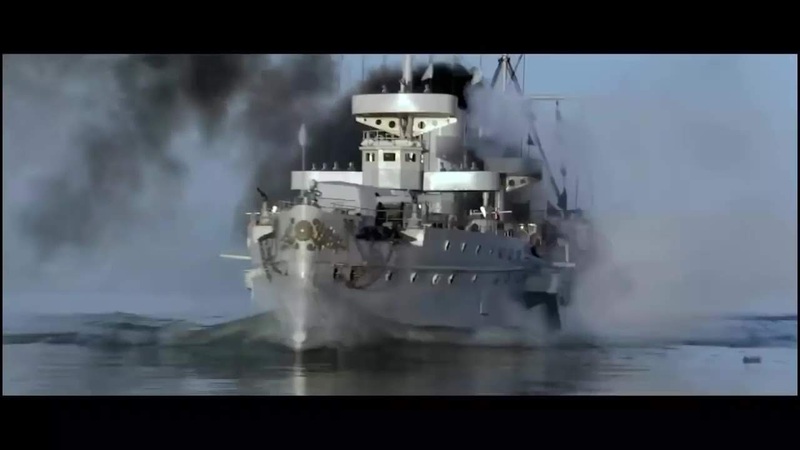 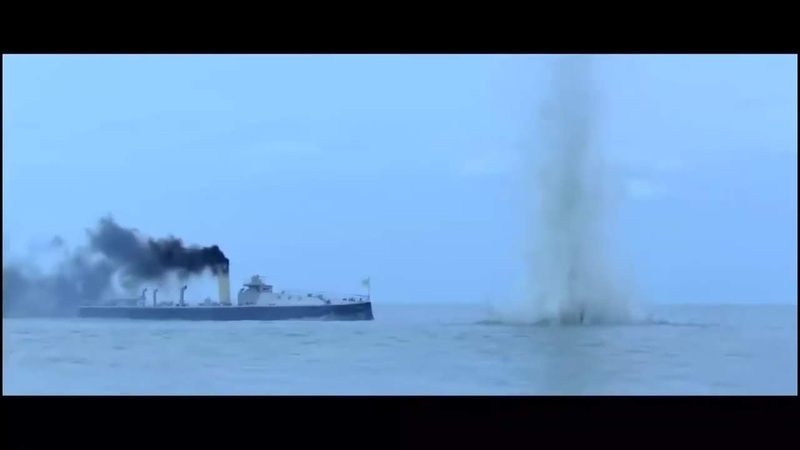 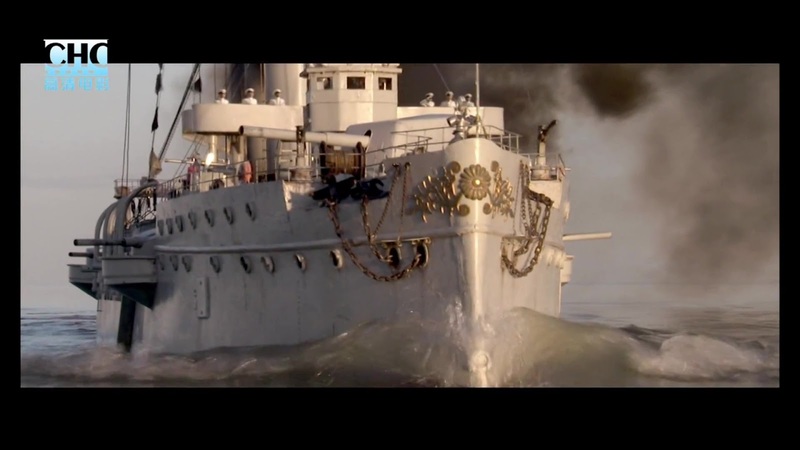 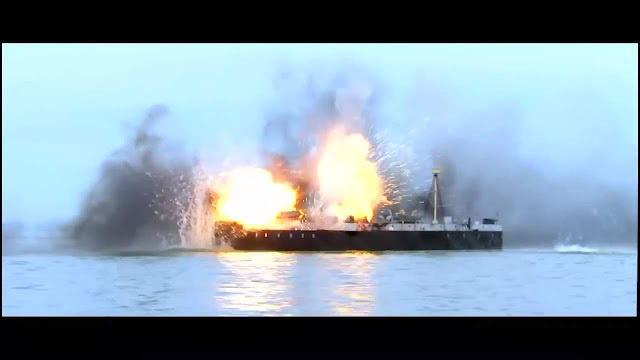 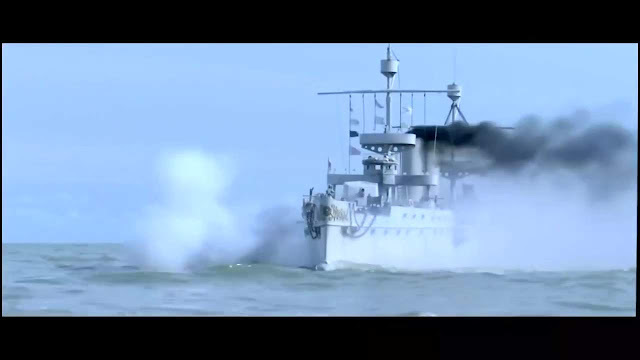 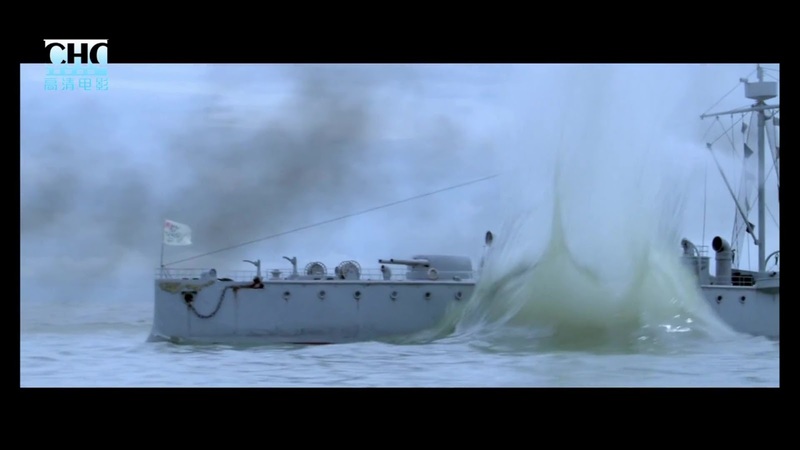 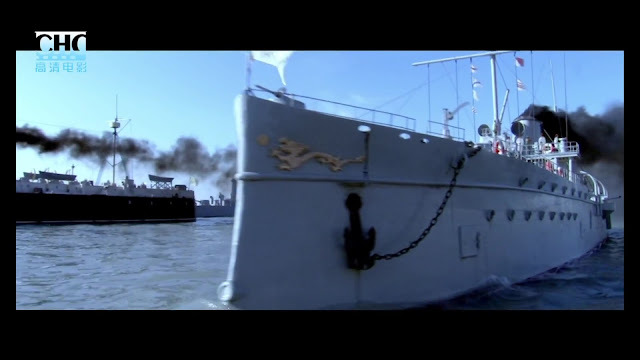 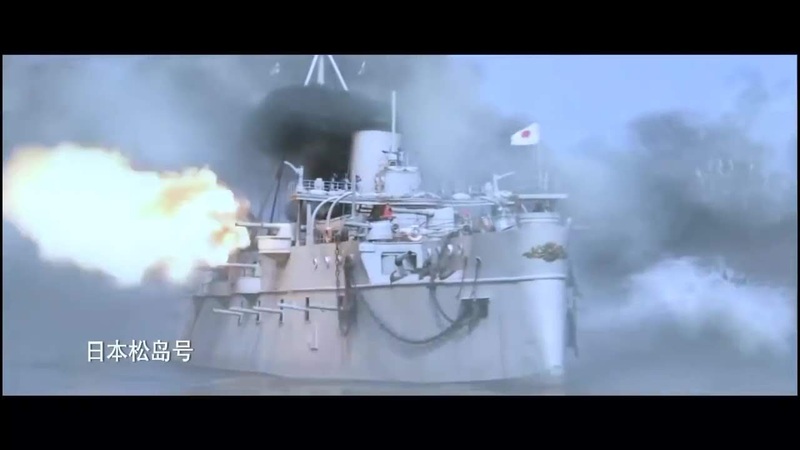 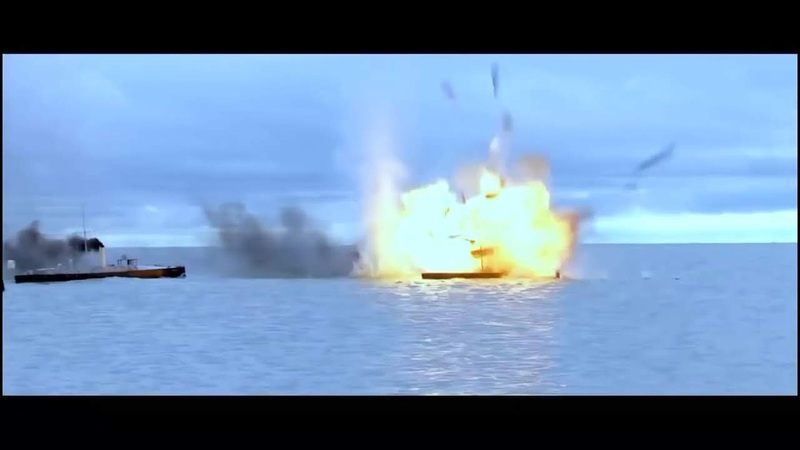 This Chinese film holds the distinction of being the most recent example of model ships in the cinema, being made in 2011 and screened in 2012. 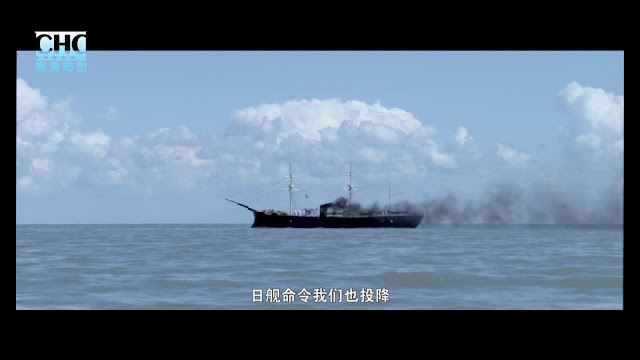 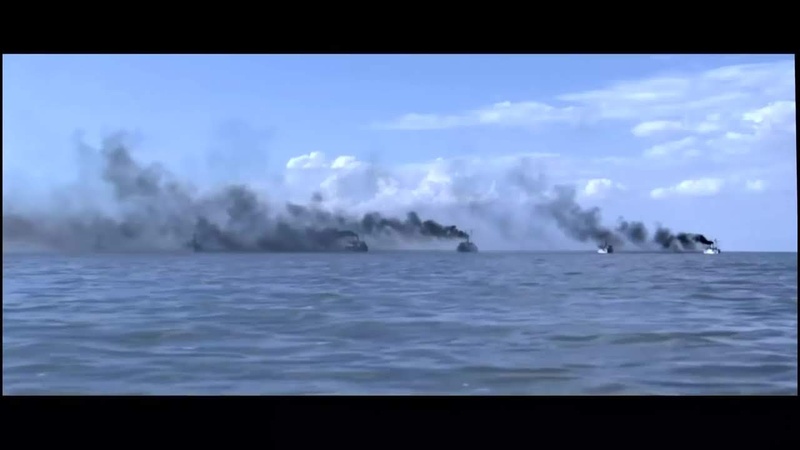 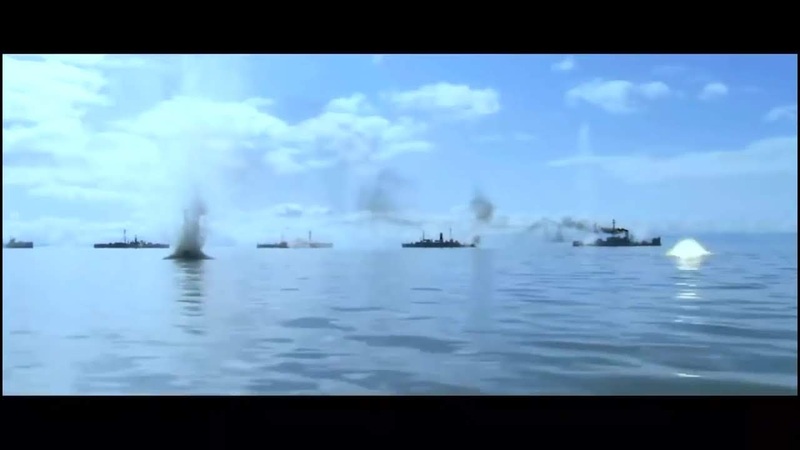 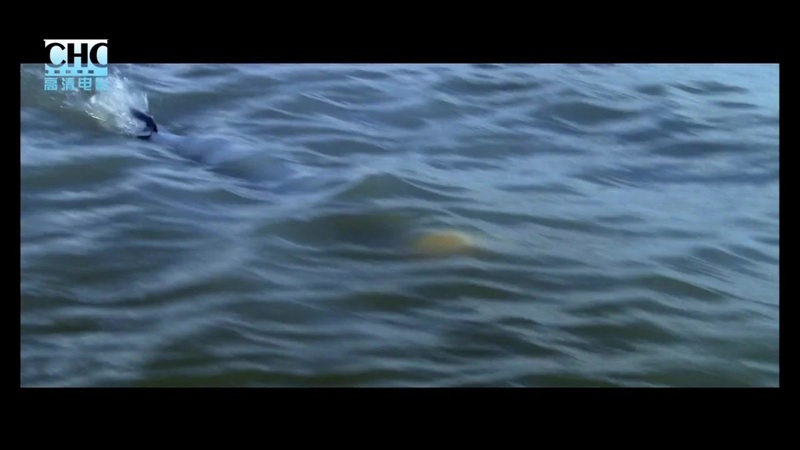 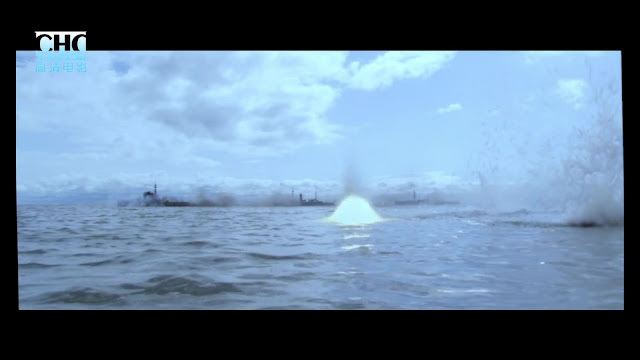 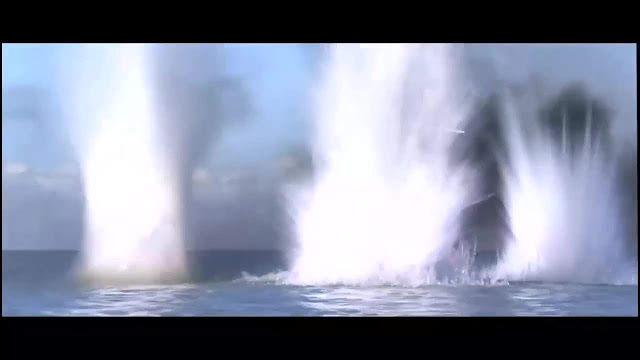 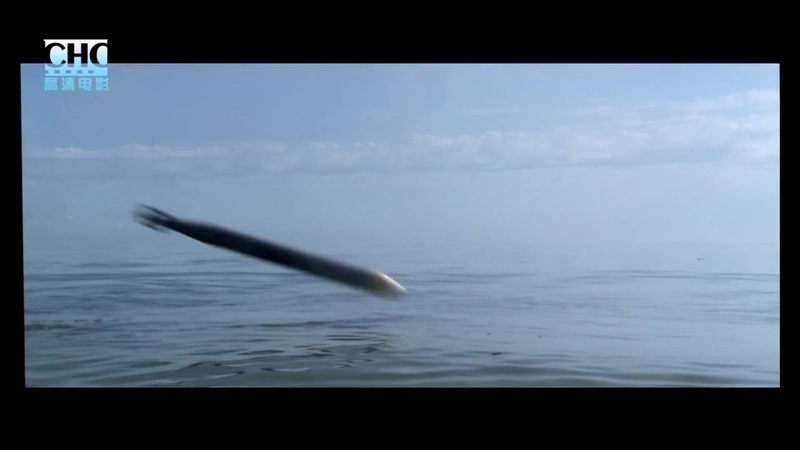 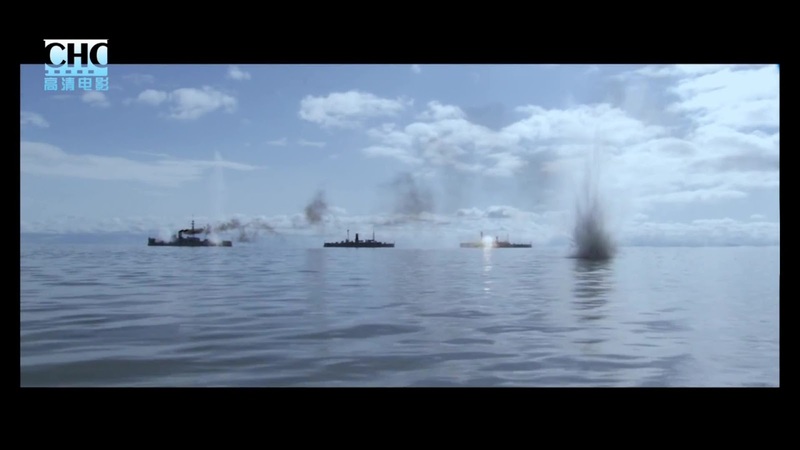 According to Wikipedia the naval battle scenes were filmed on a fresh water lake in Inner Mongolia. 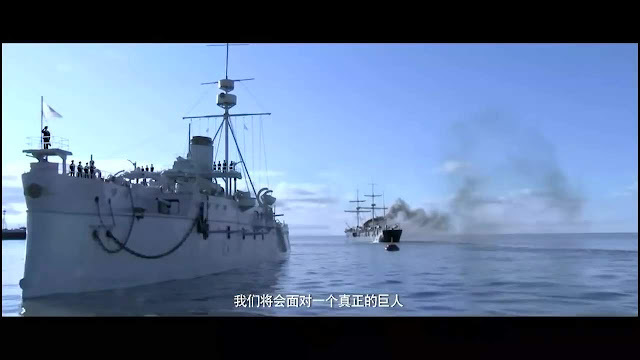 It must be large enough that you can't see the land on other side as the horizon in the shots look convincingly at sea. 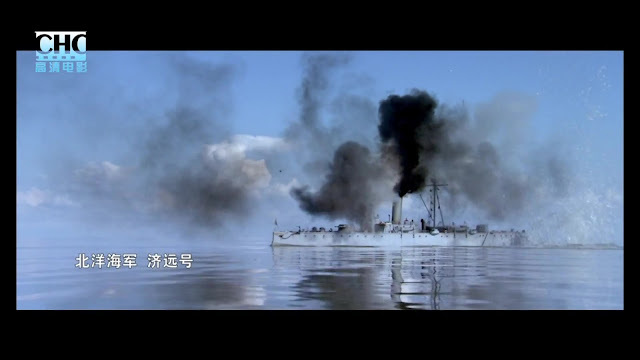 The special effects are credited to the director's, (Feng Xiaoning) own special effects studio. 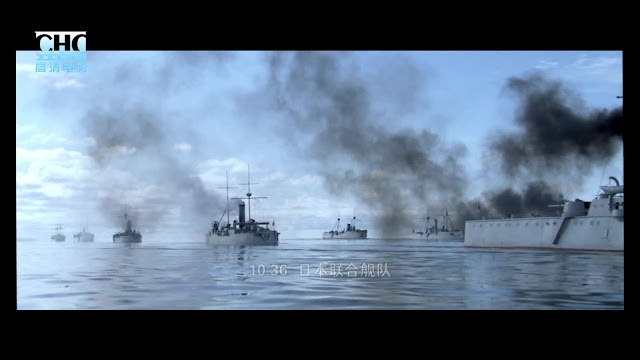 There is a massive amount of miniature work on show here and it is very effectively staged and photographed. 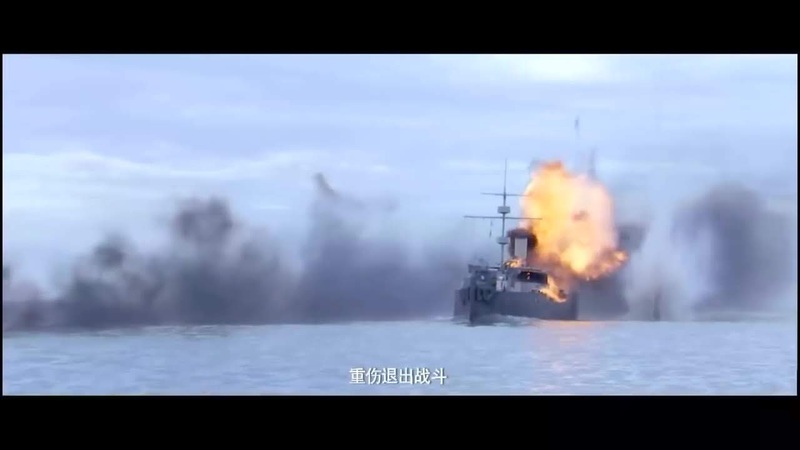 The pyrotechnics are also very well done. 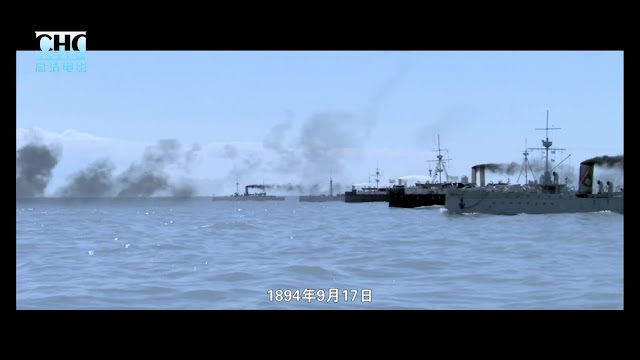 In execution and indeed the time period represented, it is similar to the work supervised by Derek Meddings for the movie Shout at the Devil. 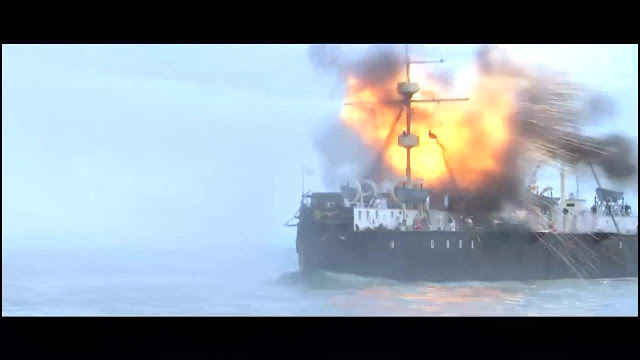 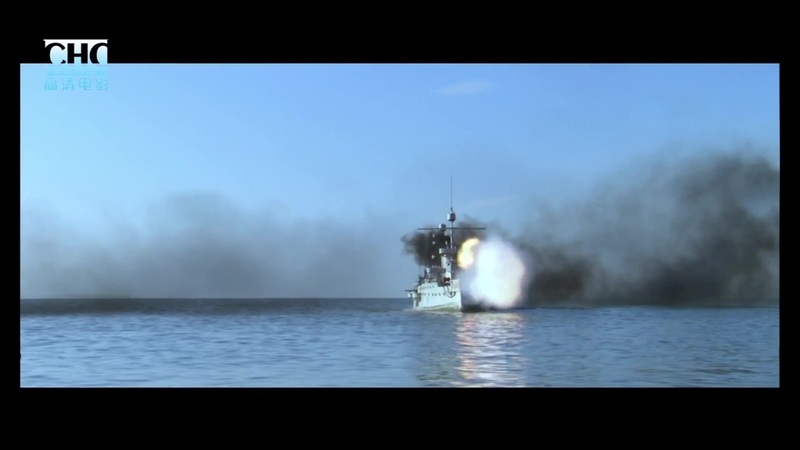 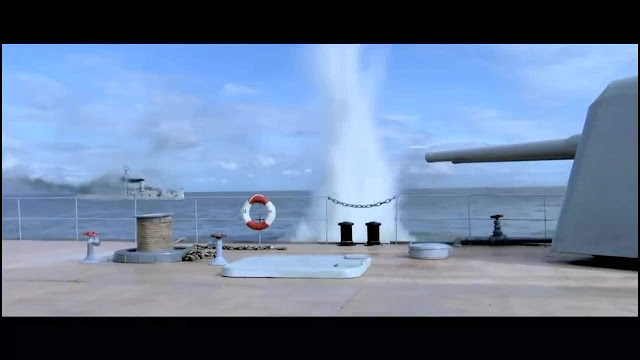 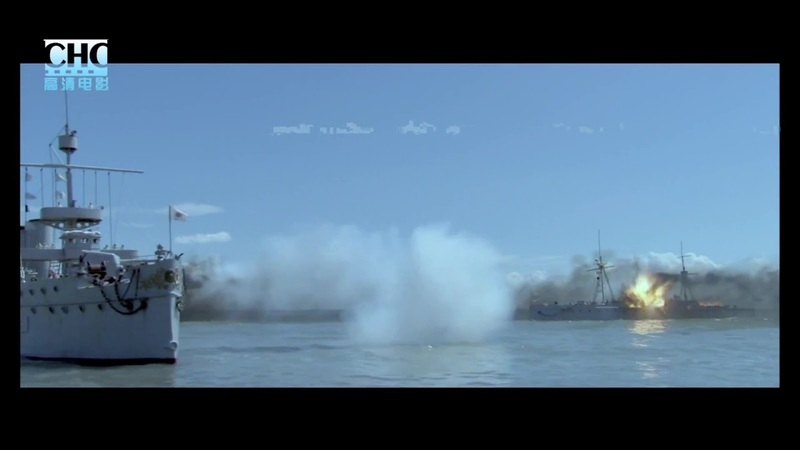 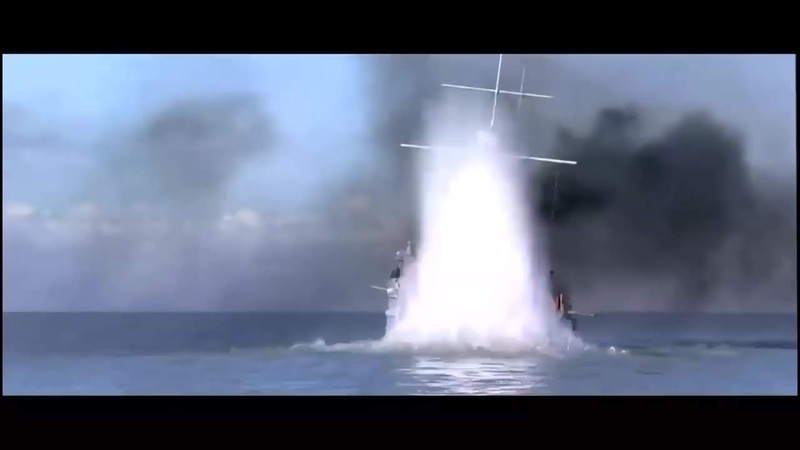 The black smoke from the funnels is extremely convincing and some of the decks are populated with miniature figures. 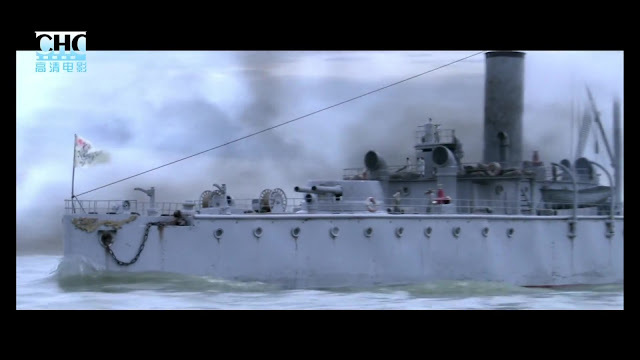 In many shots live actors are composited onto the miniature decks which brings the models to life. There is a man running carrying a shell which appears quite a few times. 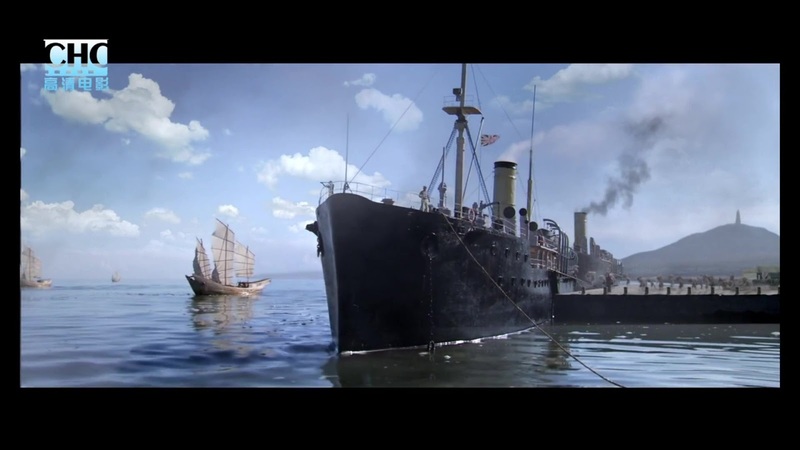 Occasionally the digital compositing work is a little obvious but the miniature work is uniformly excellent. I would very much like to find out more about the shooting of the miniatures and particularly to see some behind the scenes photos of the shooting. 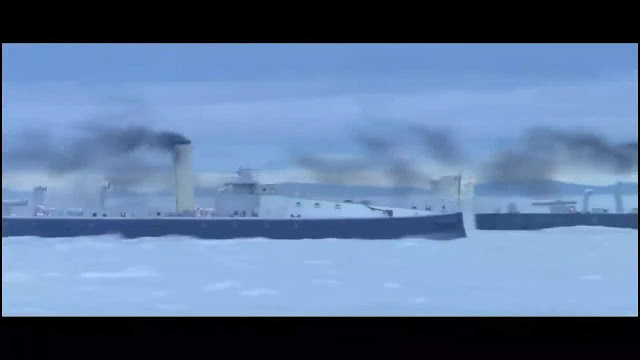 I suspect the models are quite large. Special features are unlikely to surface as unfortunately Chinese film producers rarely if ever release DVDs as they simply cannot compete with the pirates. 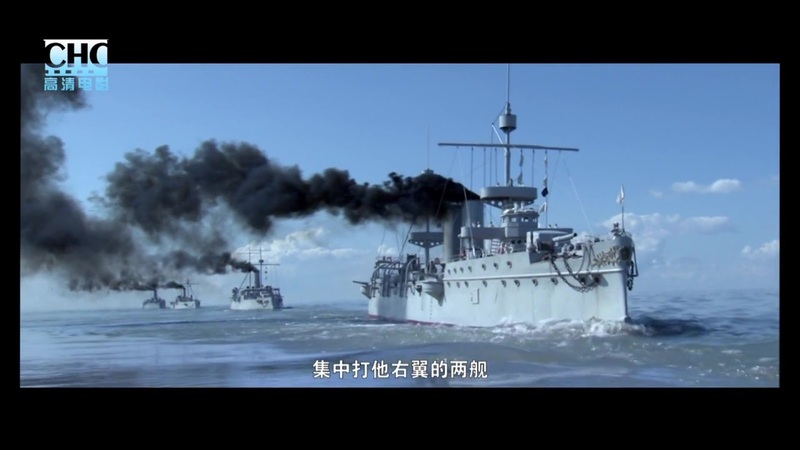 The whole movie can be found In HD on YouTube, of course it is all in Chinese except for some British naval characters who speak English. 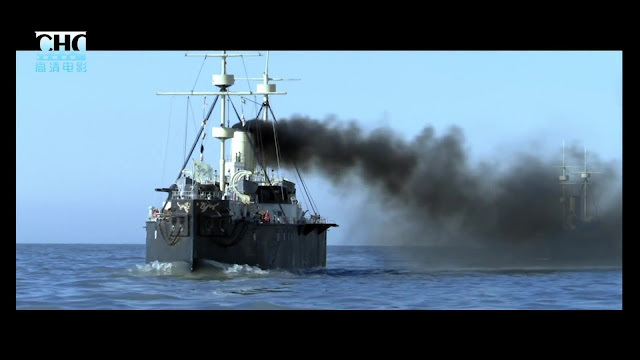 Thanks due to readers Andy Hall, Joe Rosendo and also Roger Todd for flagging this title.